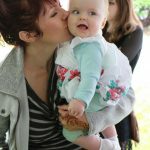 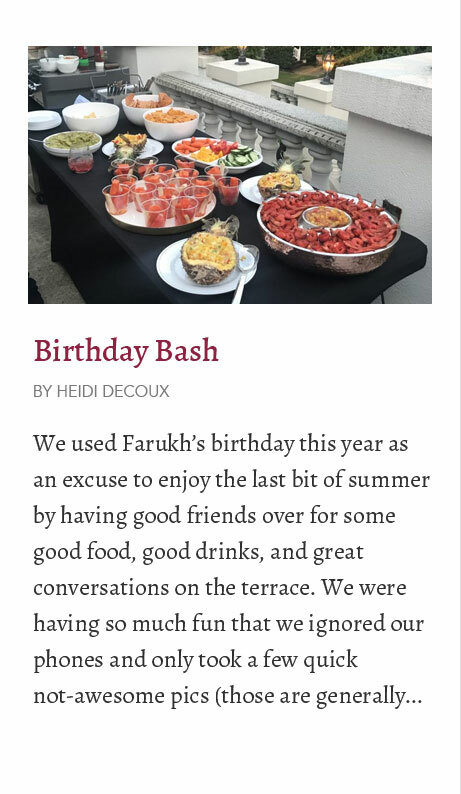 It’s our 2-year anniversary (yay! 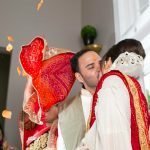 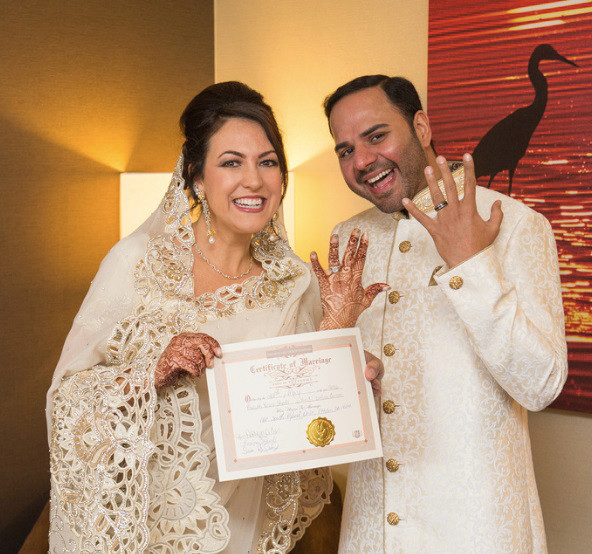 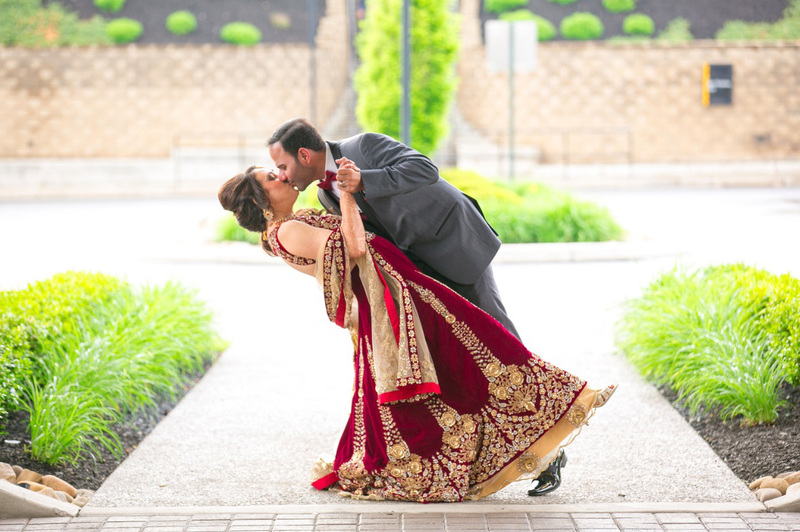 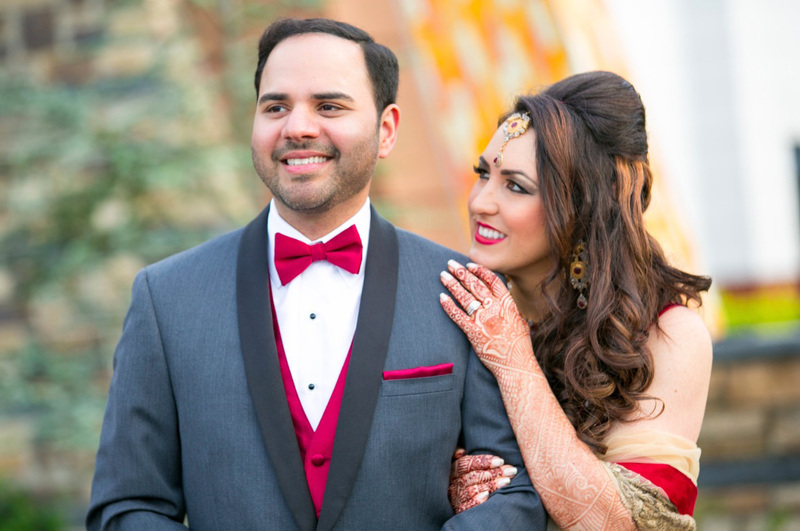 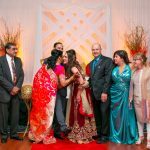 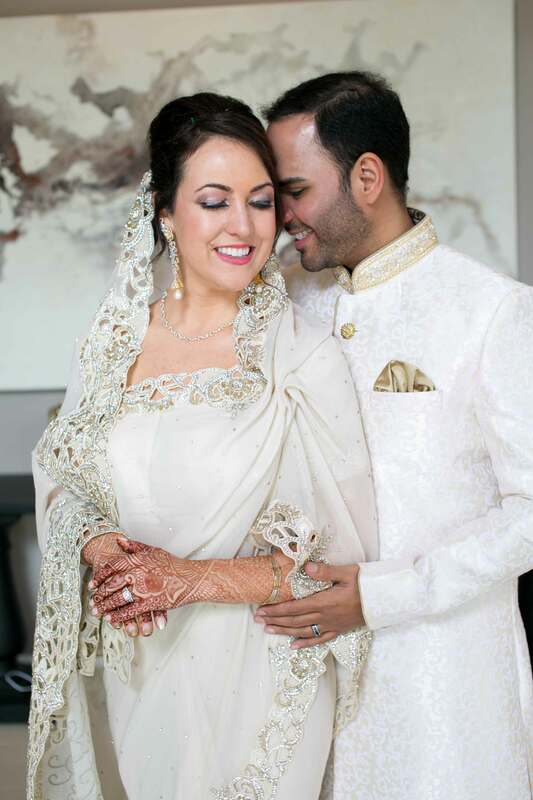 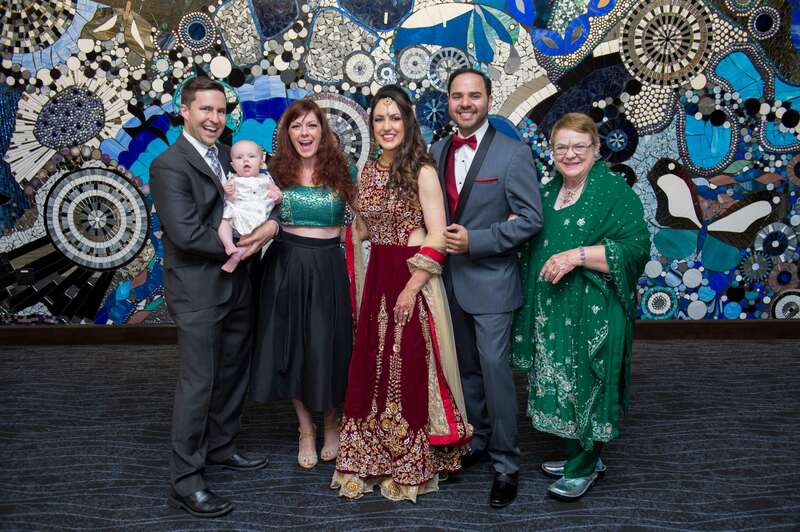 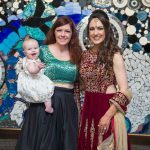 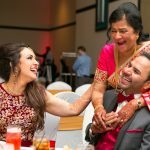 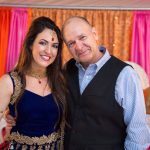 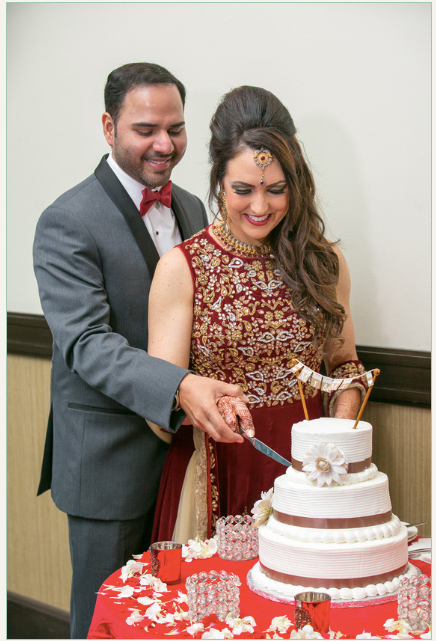 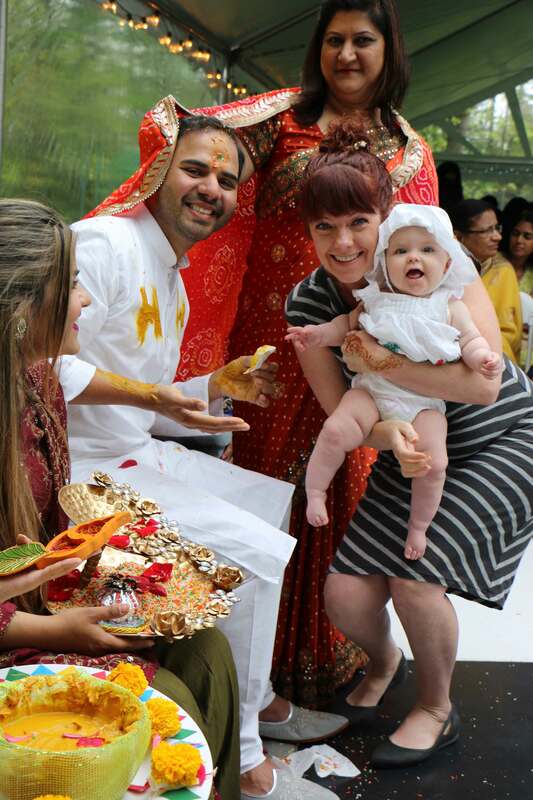 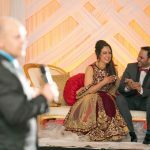 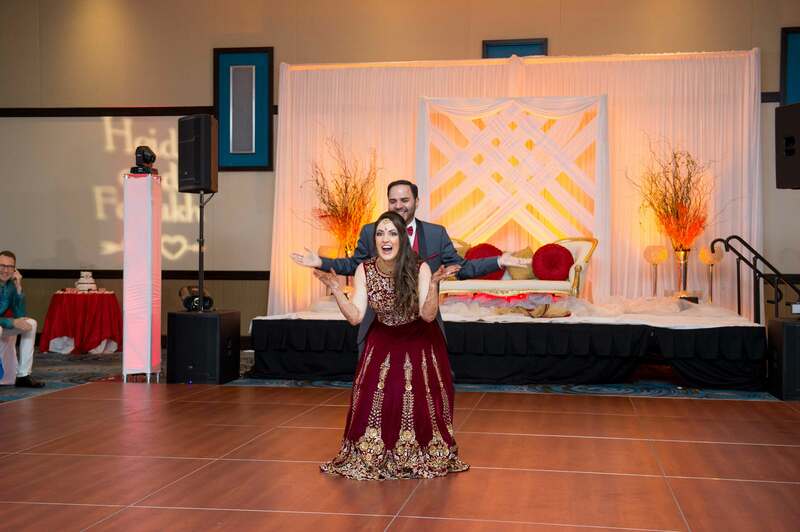 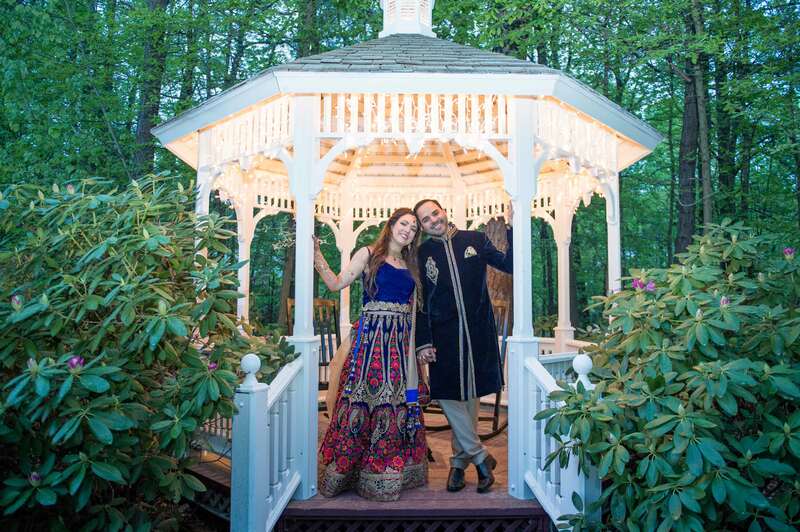 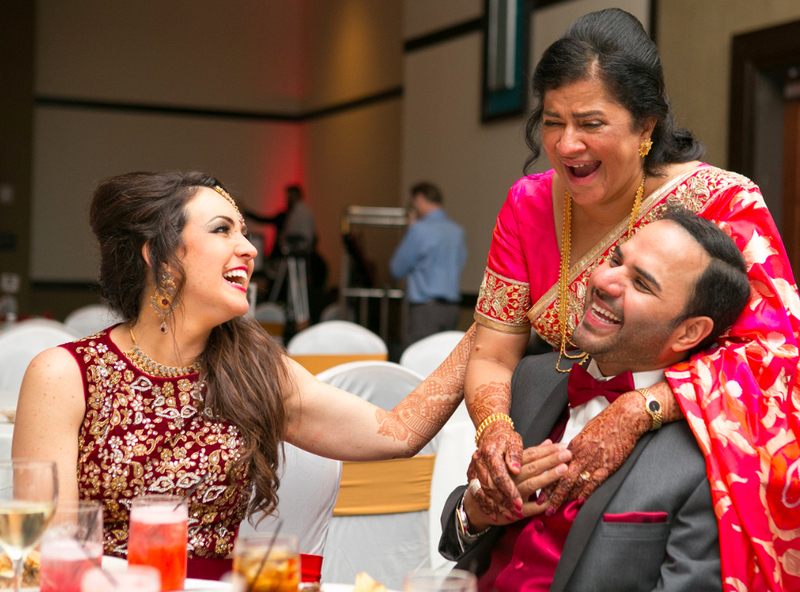 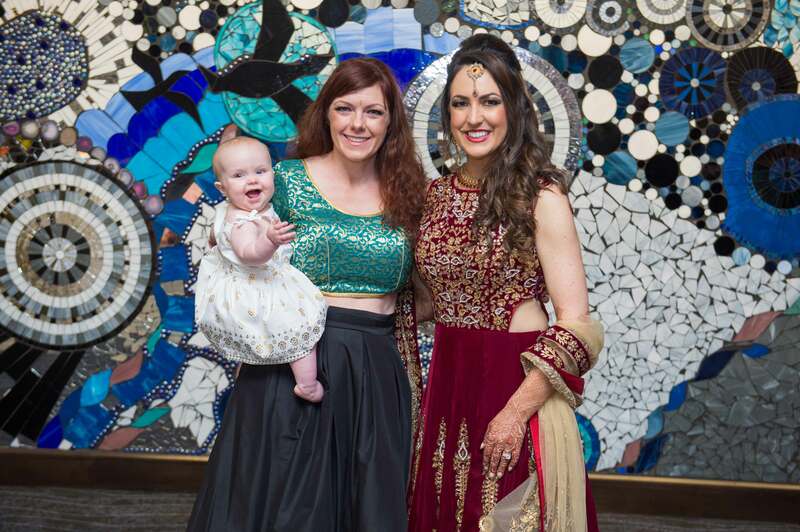 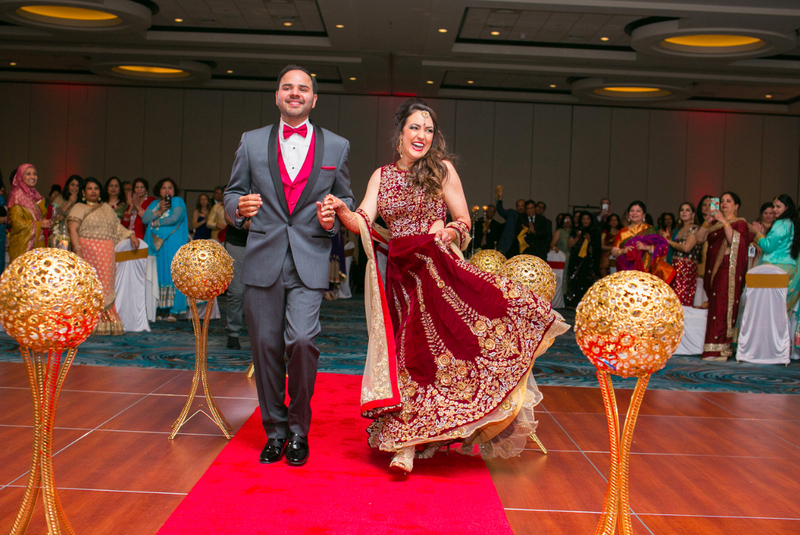 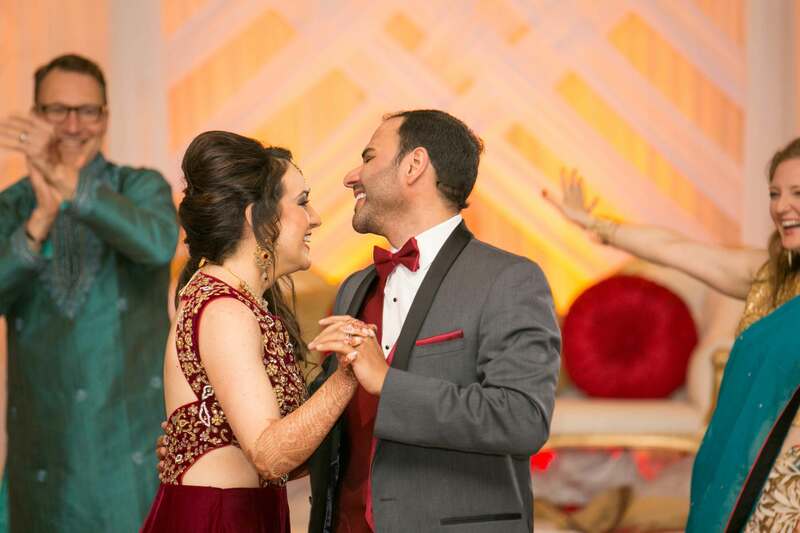 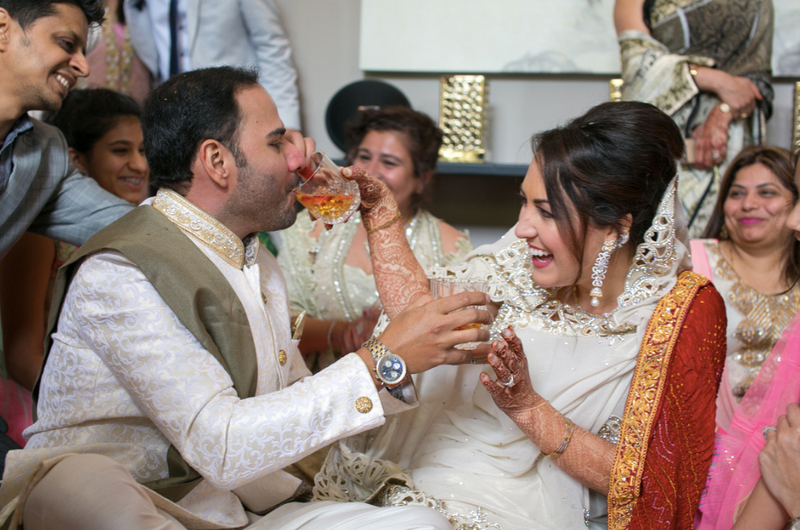 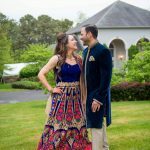 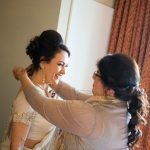 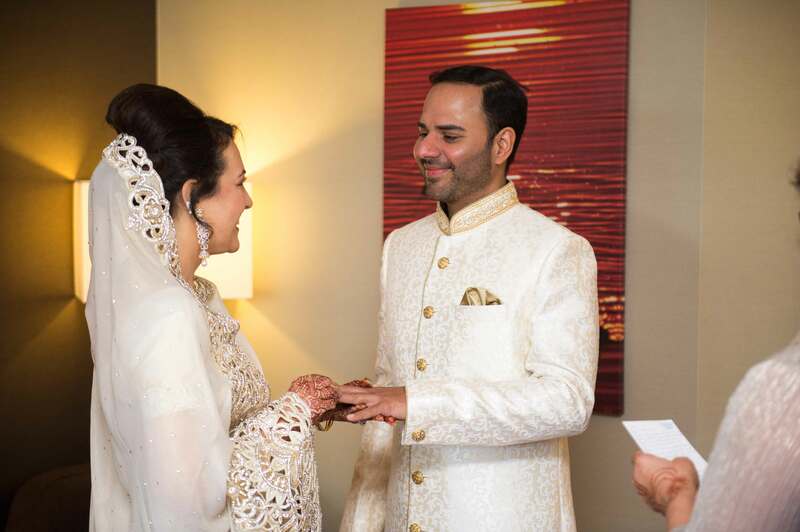 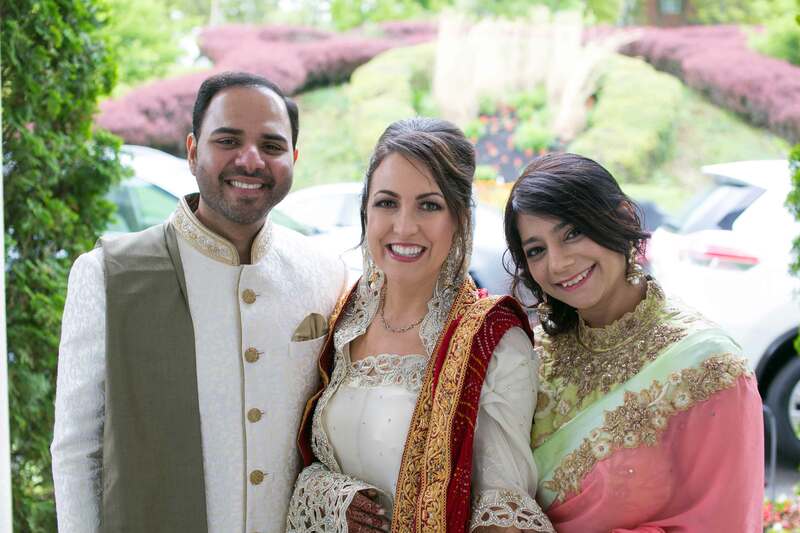 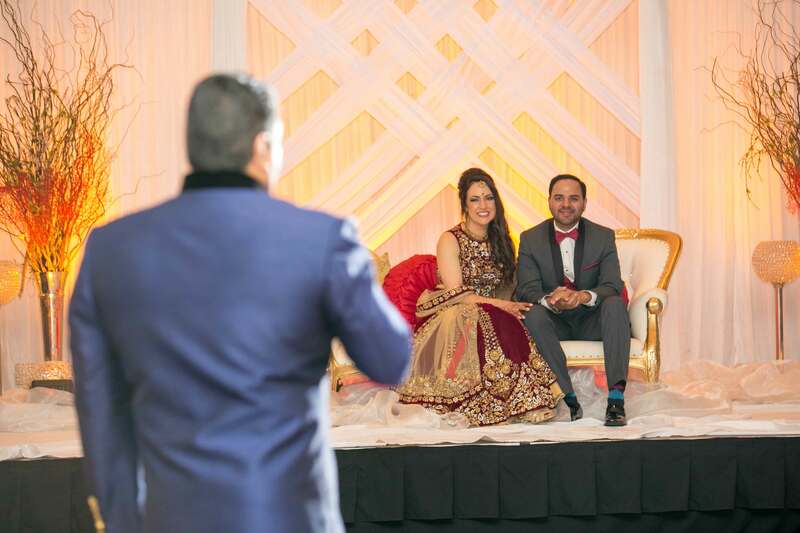 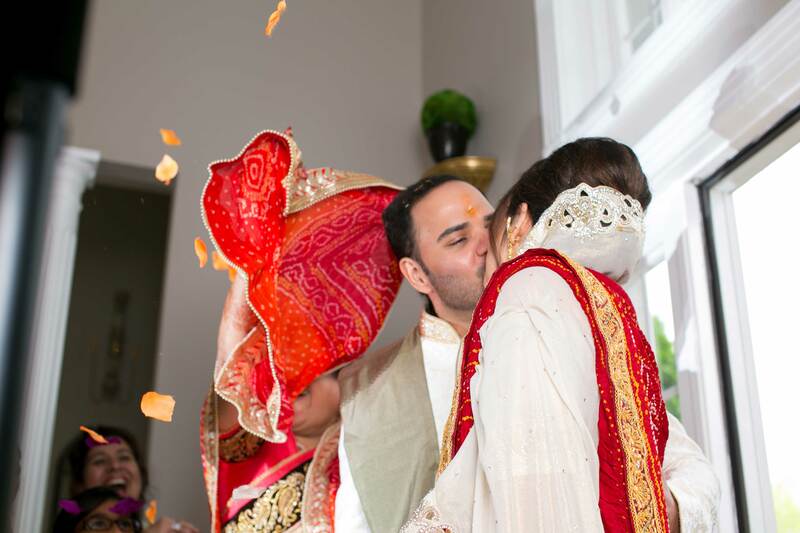 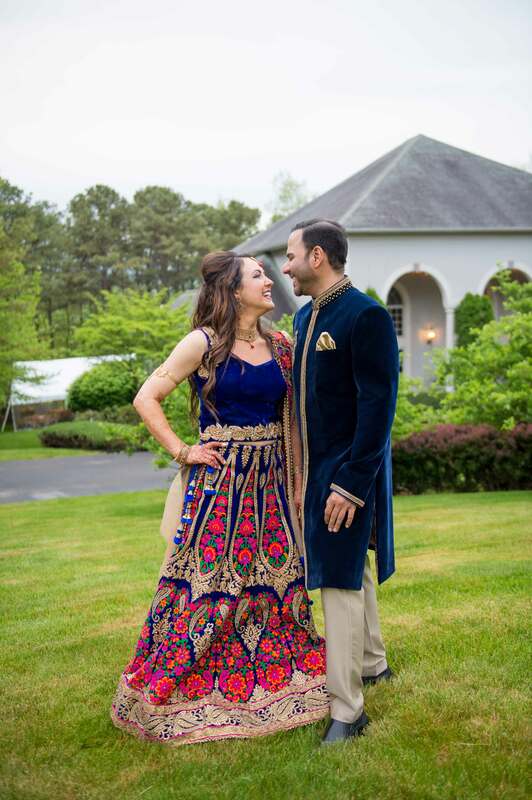 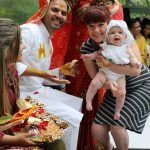 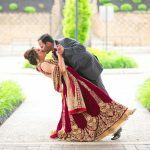 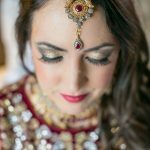 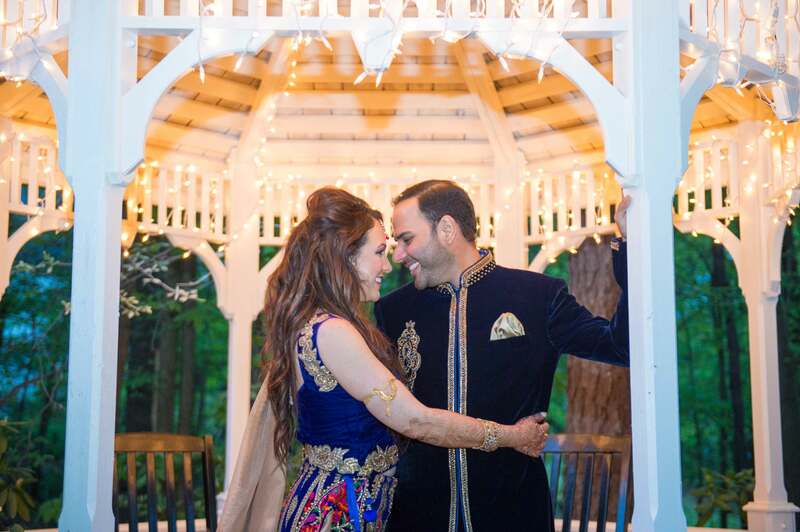 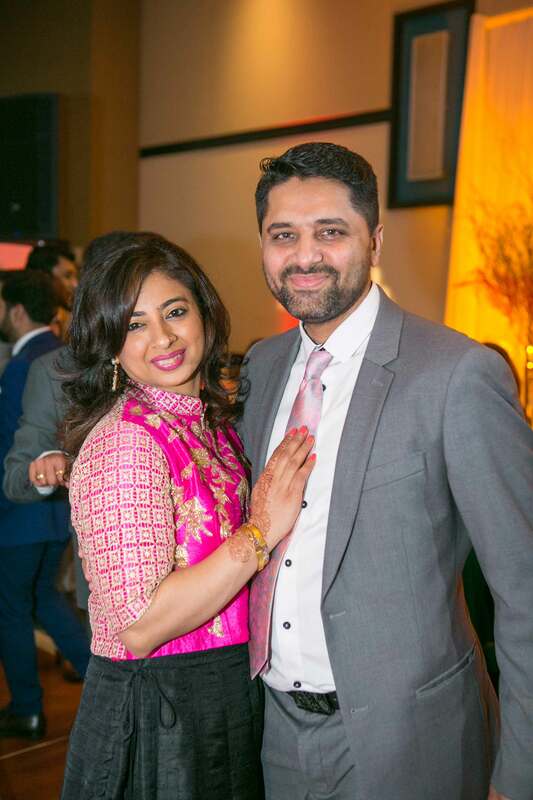 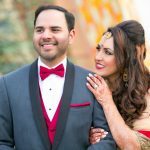 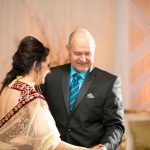 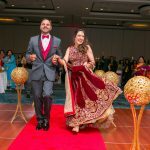 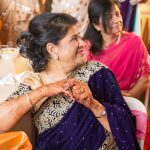 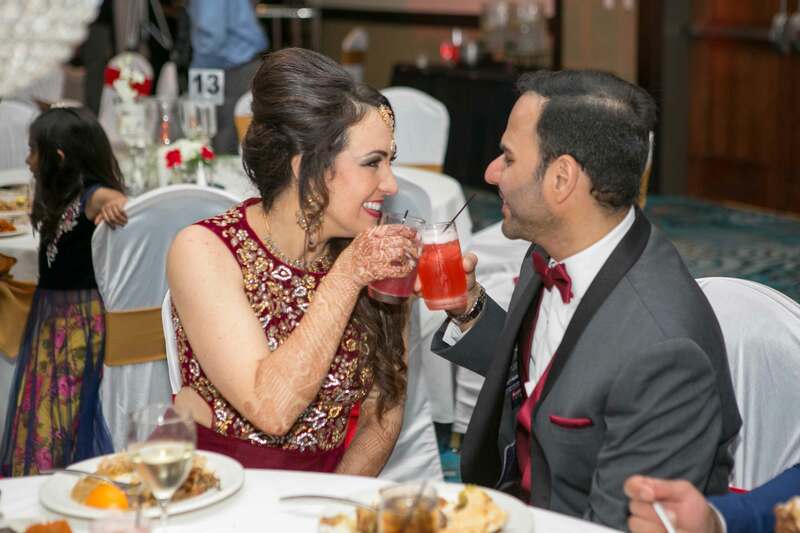 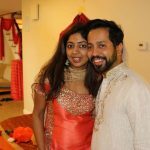 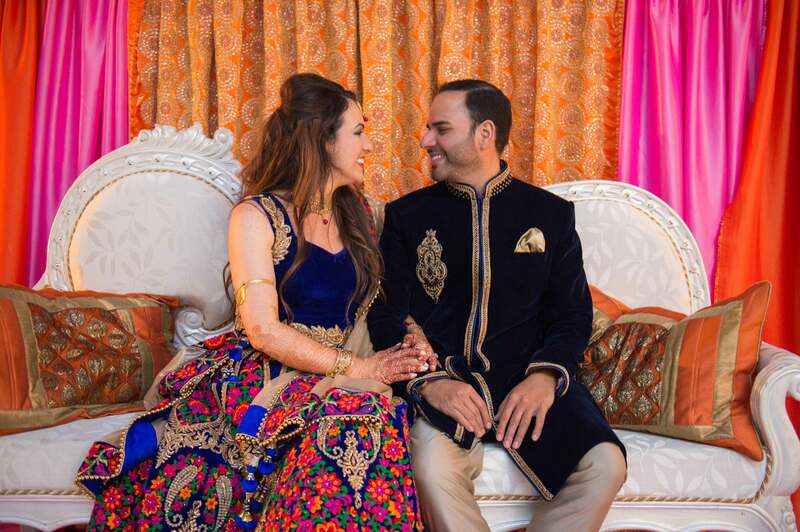 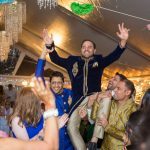 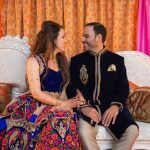 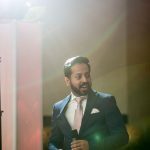 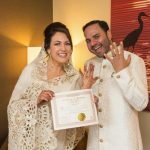 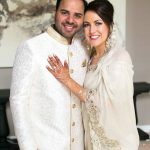 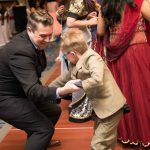 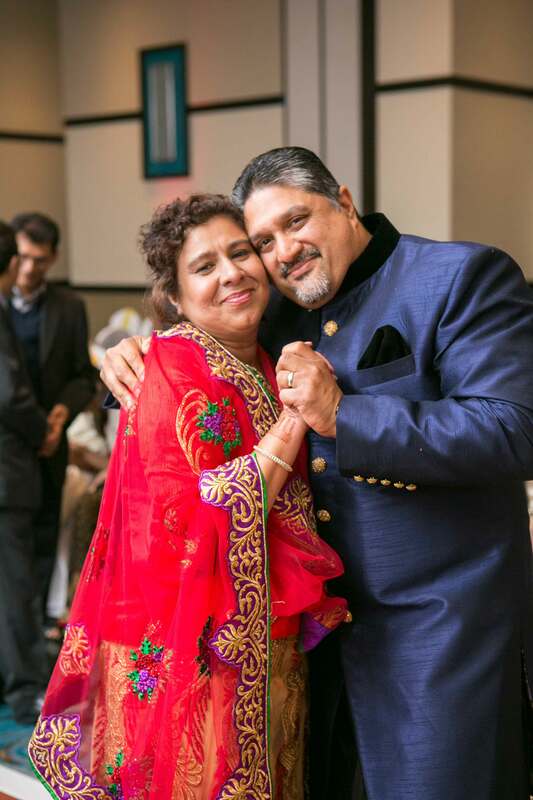 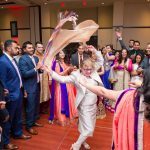 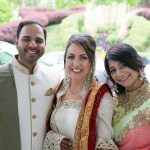 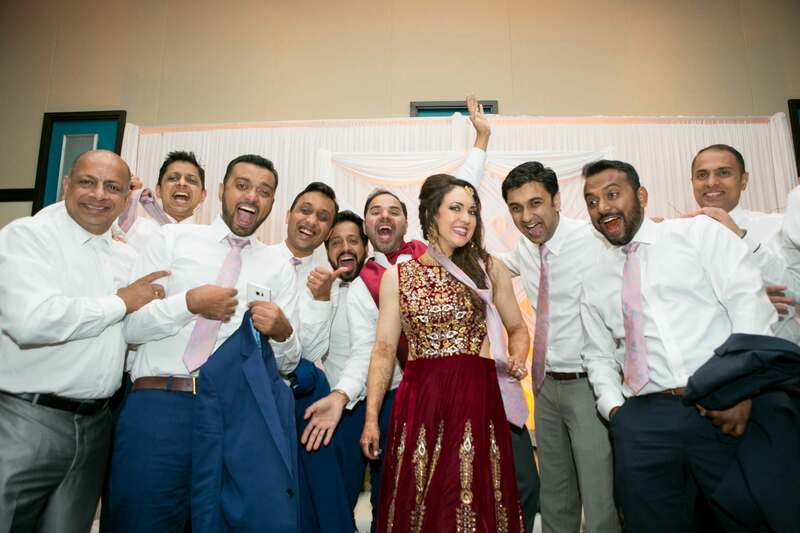 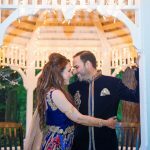 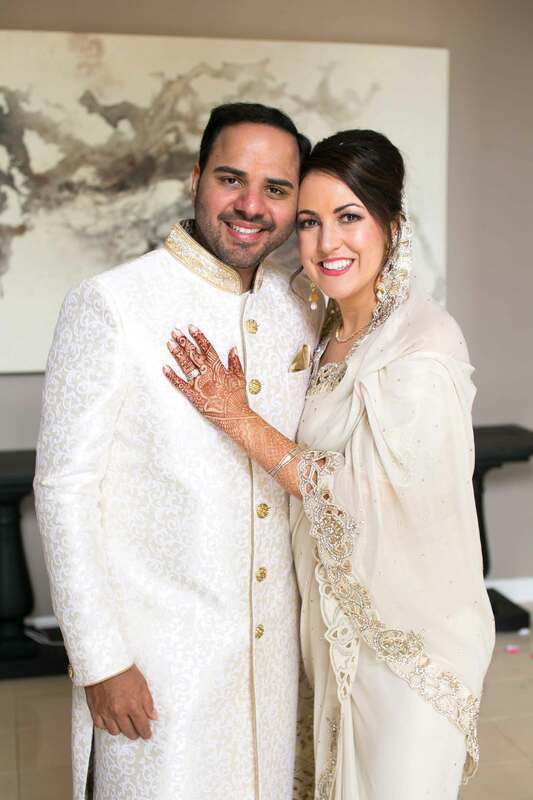 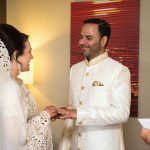 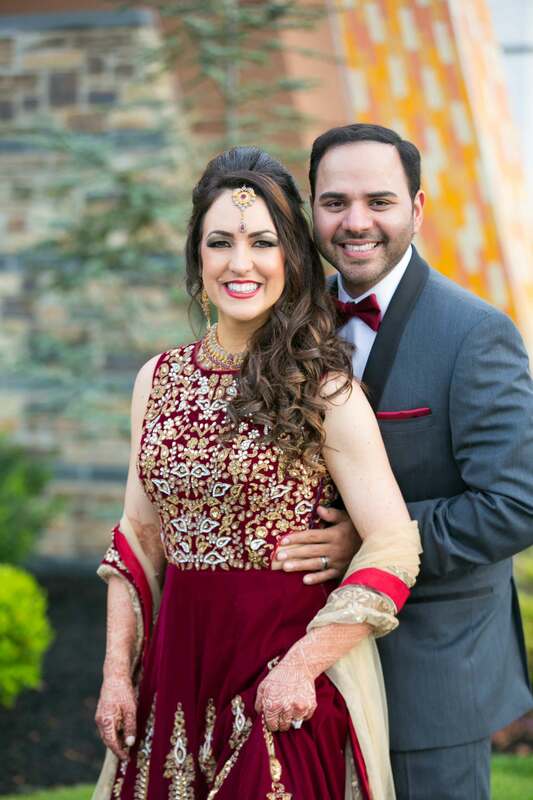 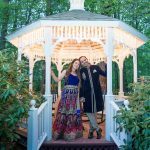 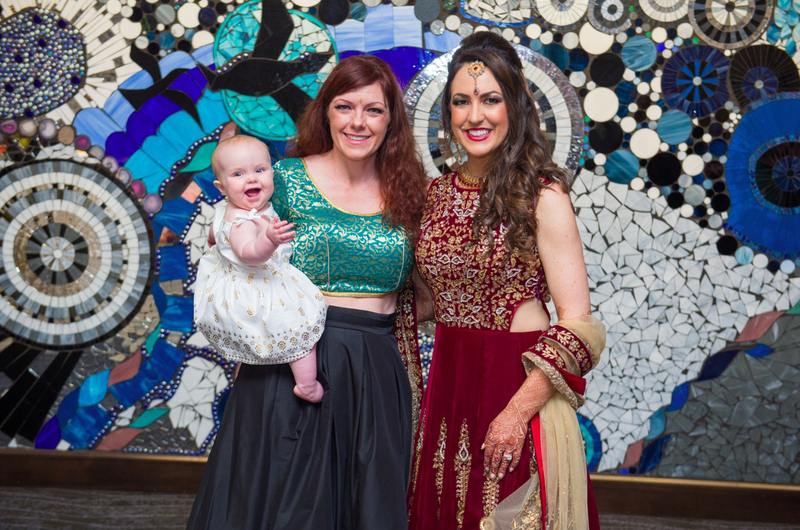 I love you baby) and our wedding photographer/videographer just sent us the highlight reel video from our 3-day BIG FAT Indian Wedding! 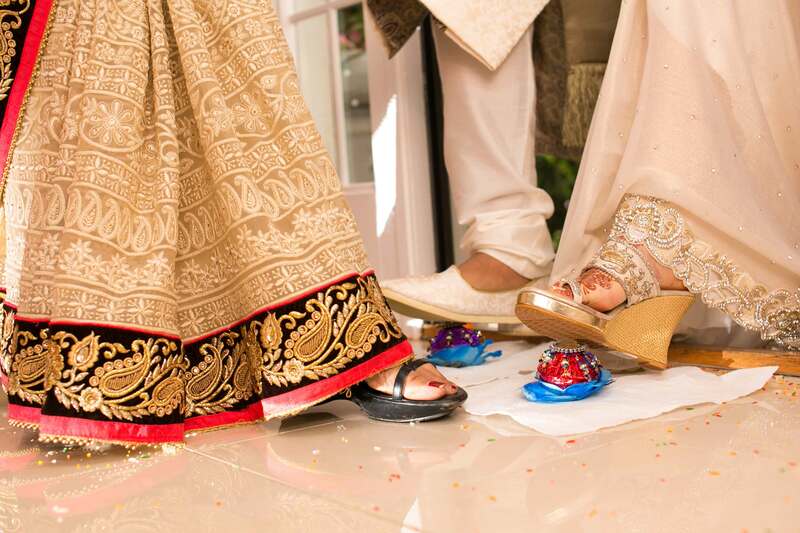 This baby could win an award for CHEESIEST wedding videos EVER. 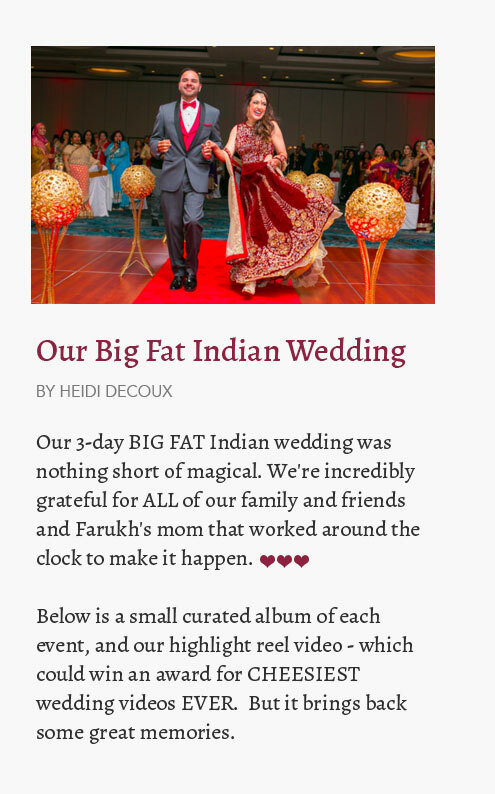 Farukh and I were laughing so hard we had tears streaming down our faces. 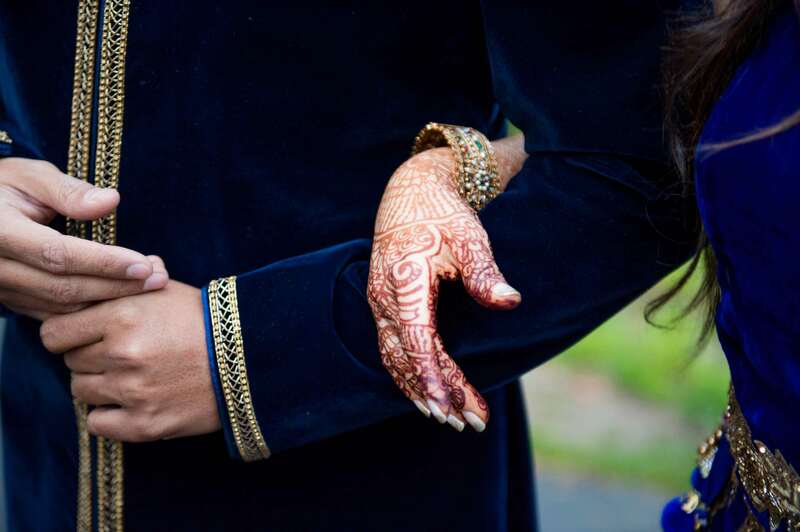 It could easily be a trailer for an overly dramatic Bollywood romance film. 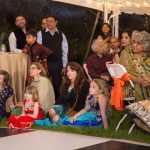 Below is a small curated album of each event. 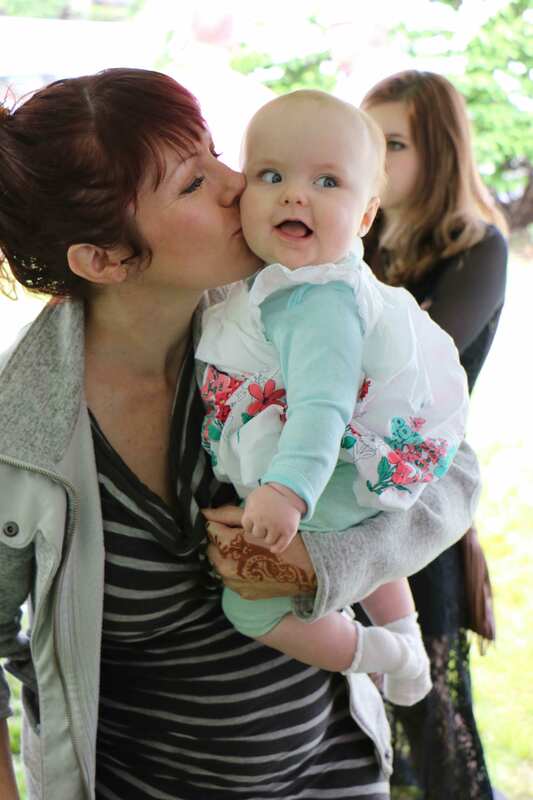 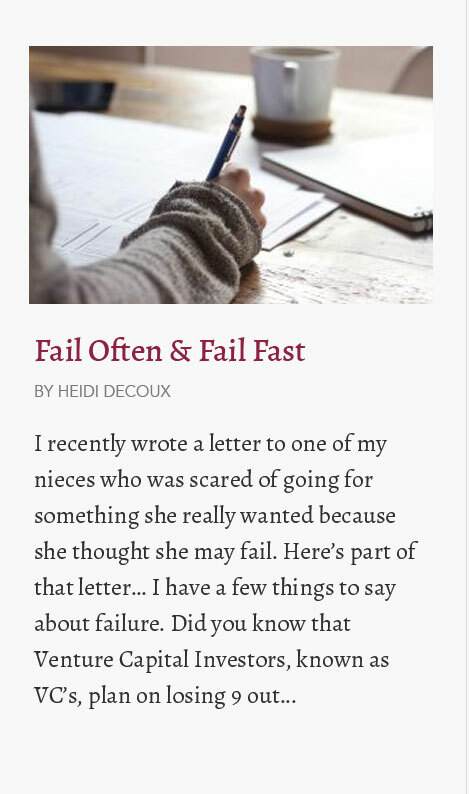 You can click on photos to enlarge them. 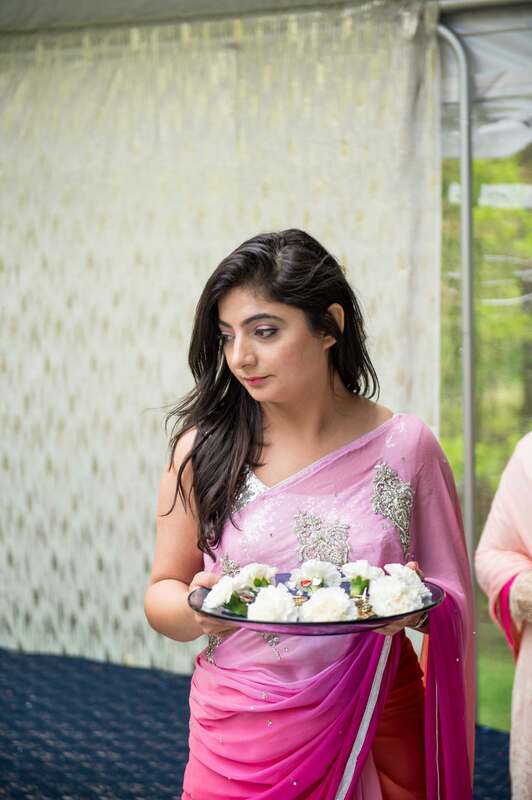 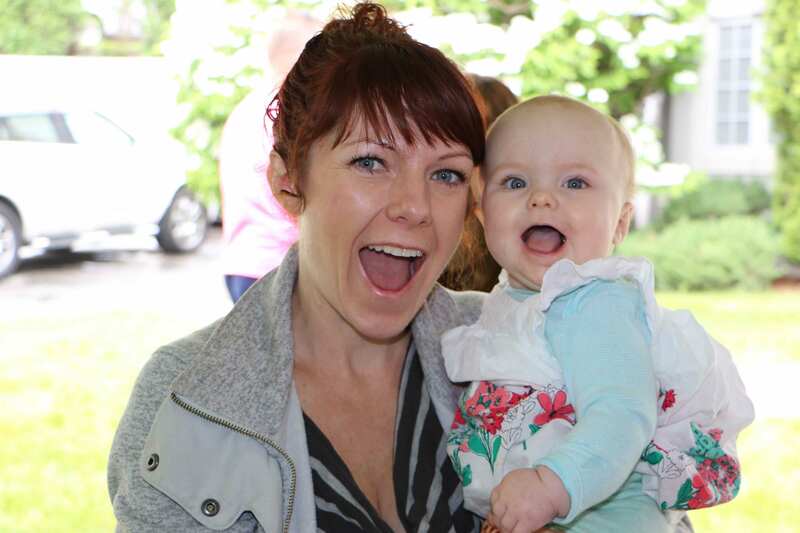 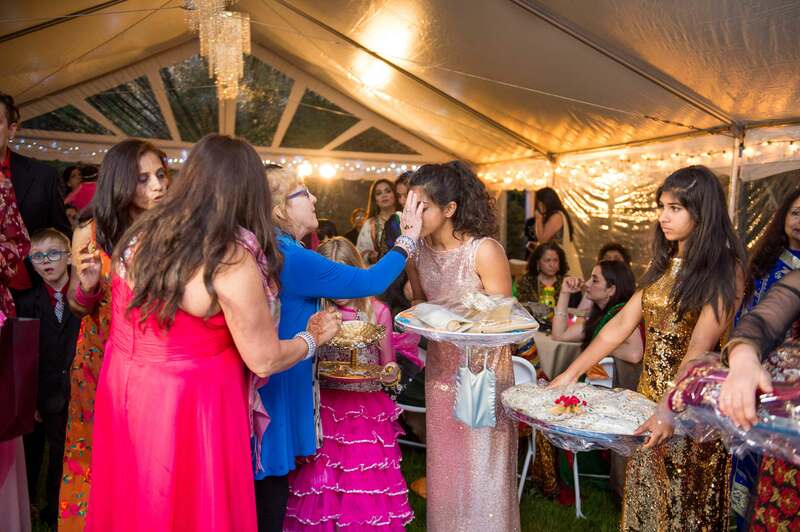 For family and friends that were part of the festivities, if you want access to a much larger curated album, email me and I’ll send you the Dropbox link to it. 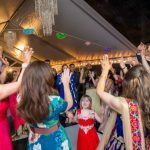 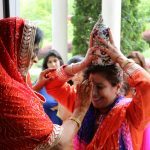 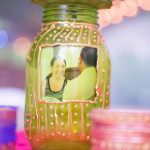 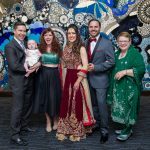 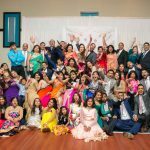 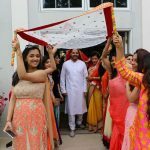 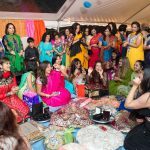 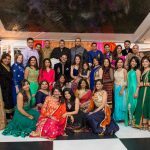 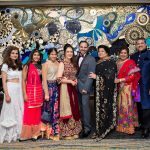 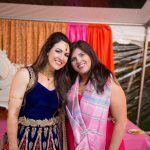 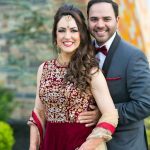 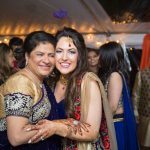 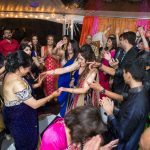 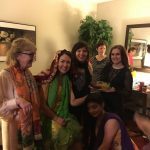 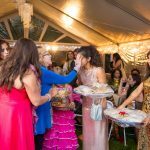 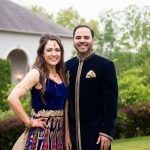 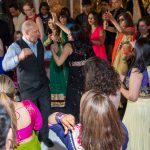 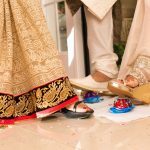 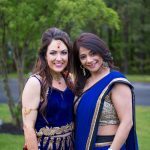 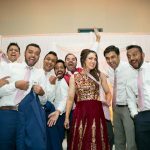 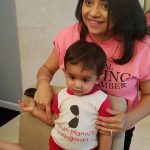 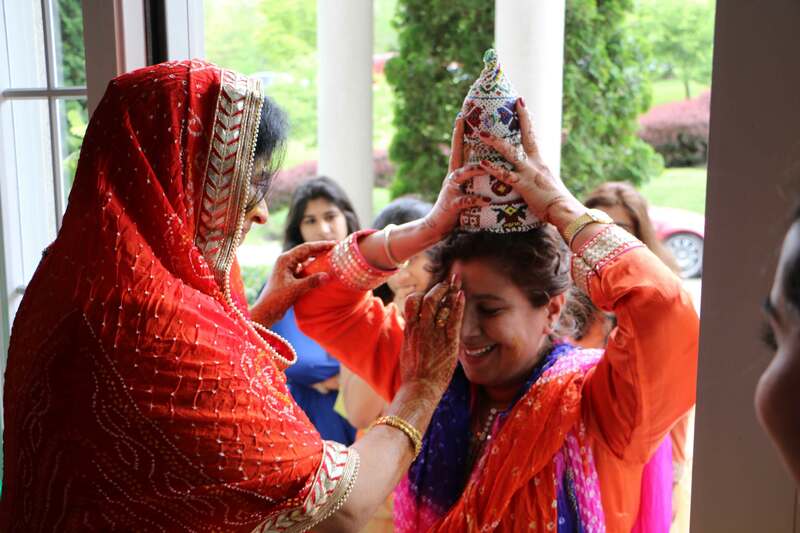 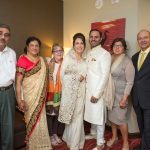 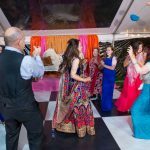 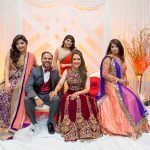 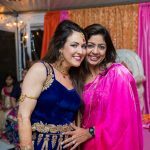 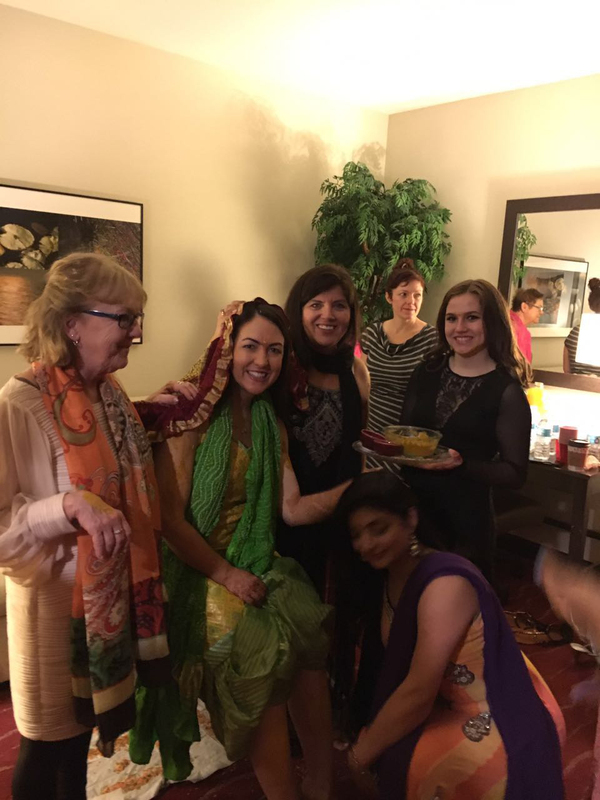 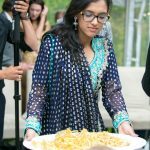 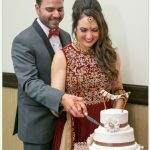 We hosted the Mendi party on Friday night May 20th, 2016 in the downstairs of our home. 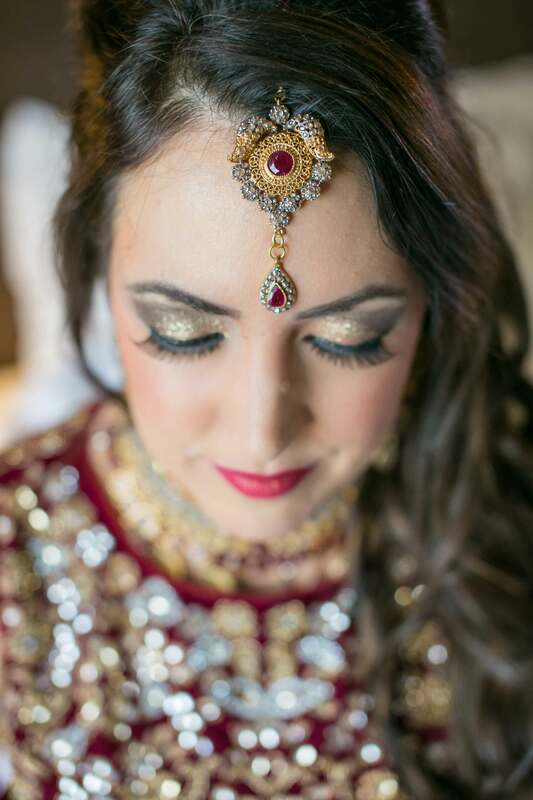 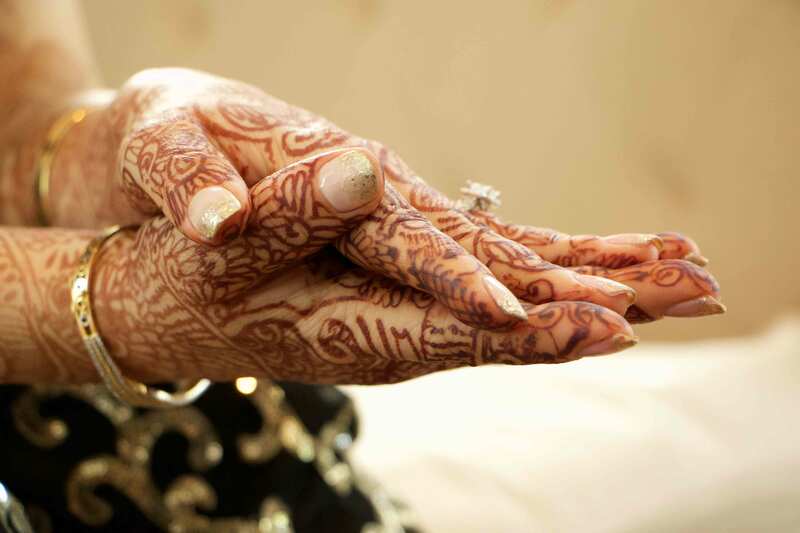 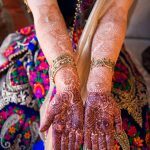 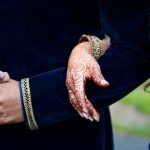 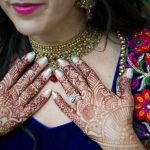 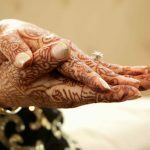 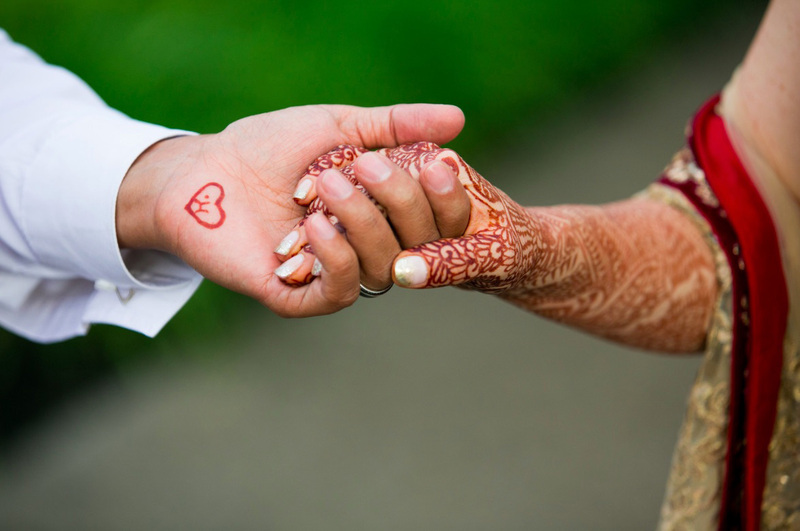 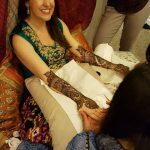 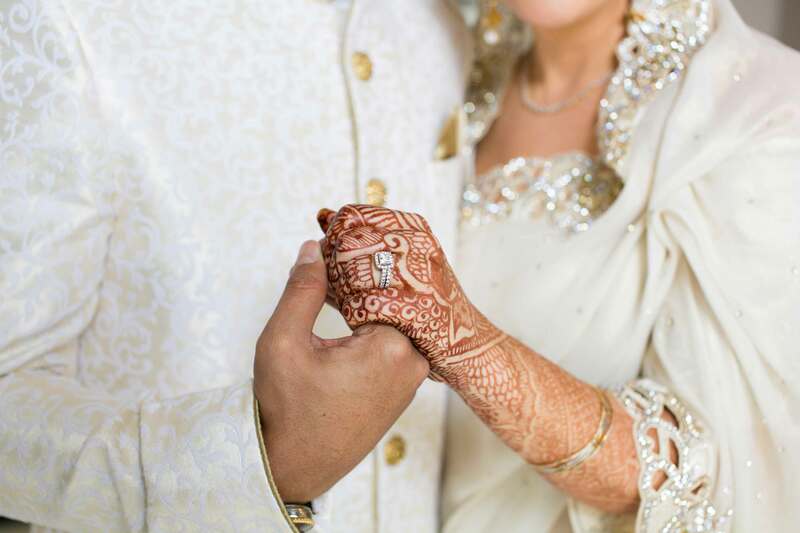 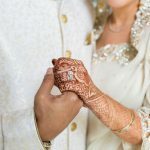 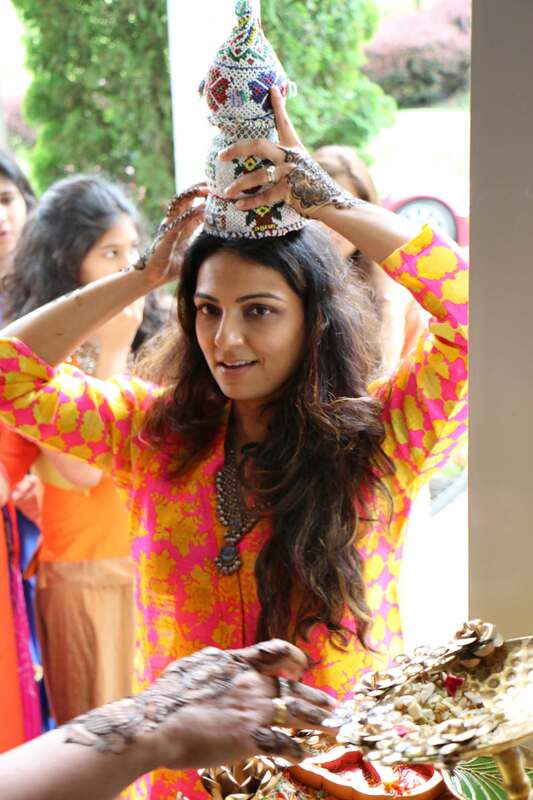 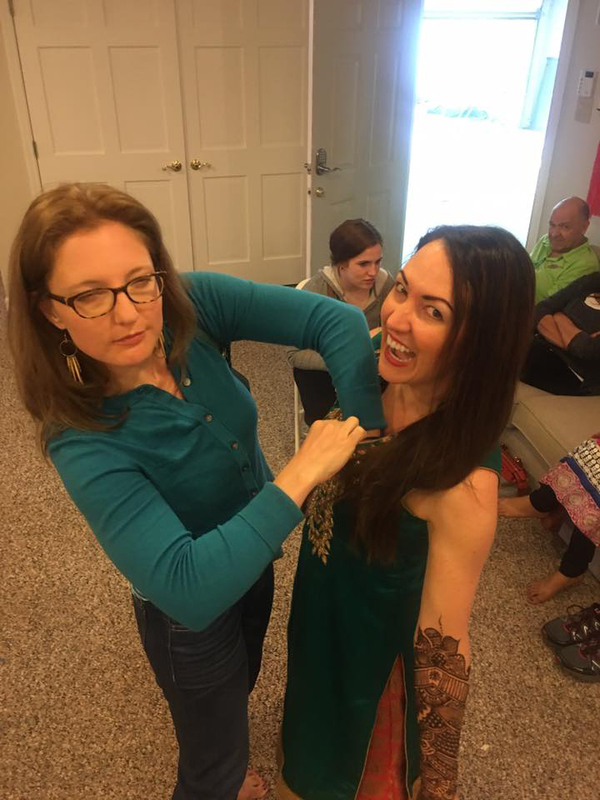 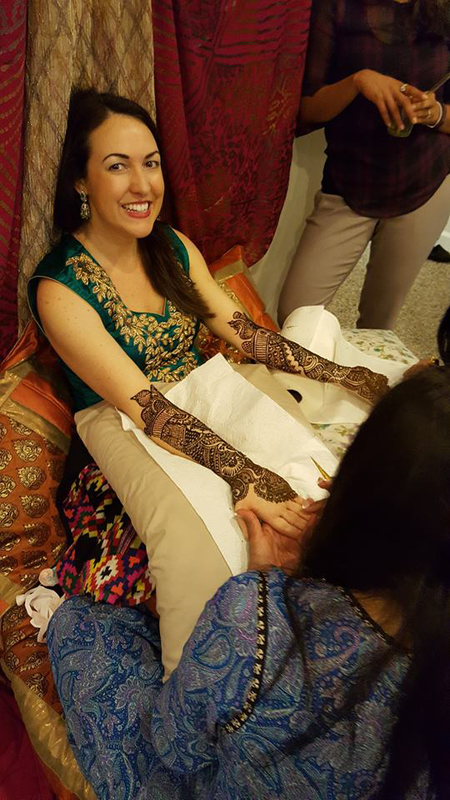 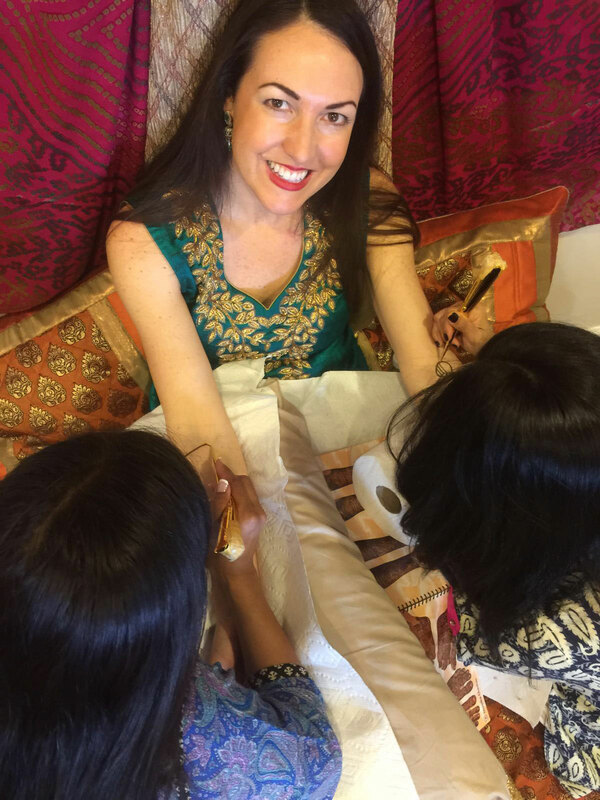 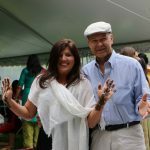 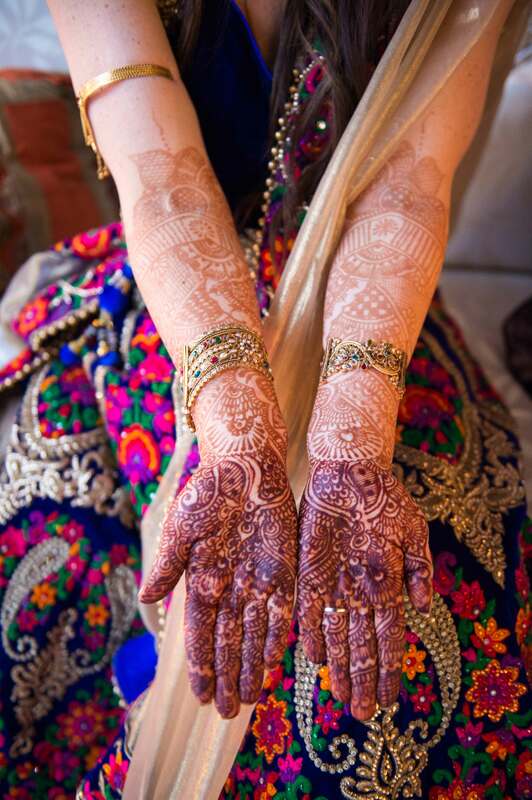 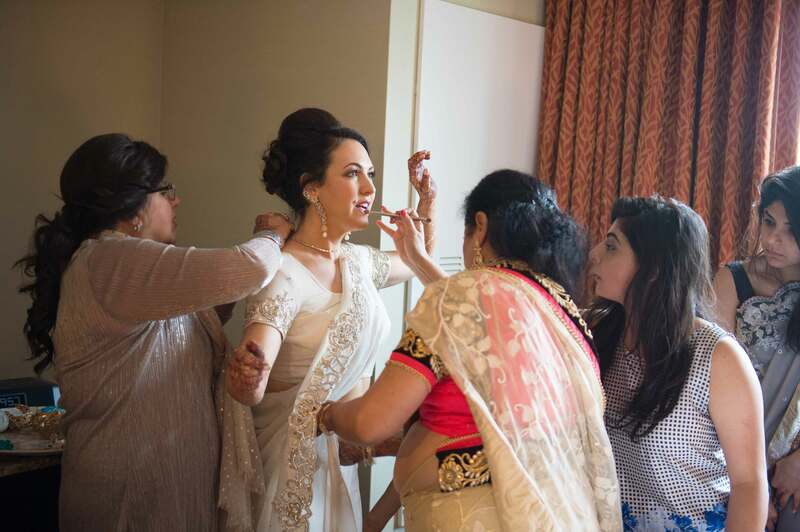 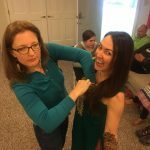 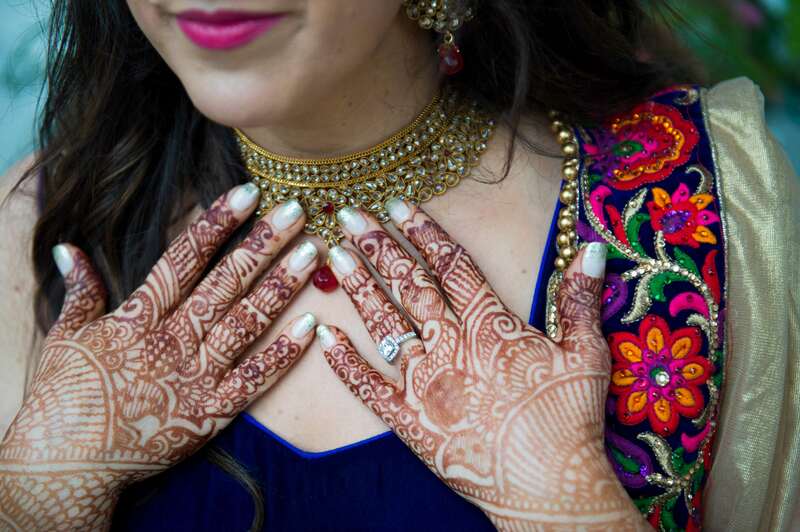 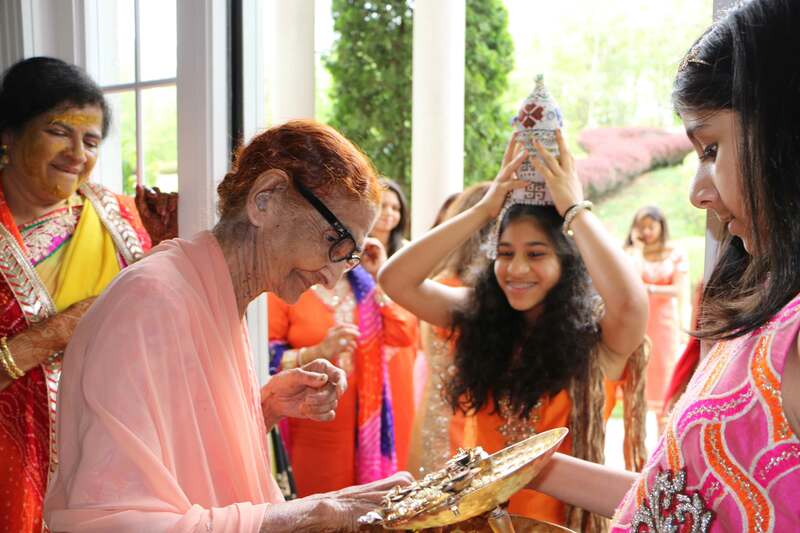 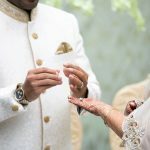 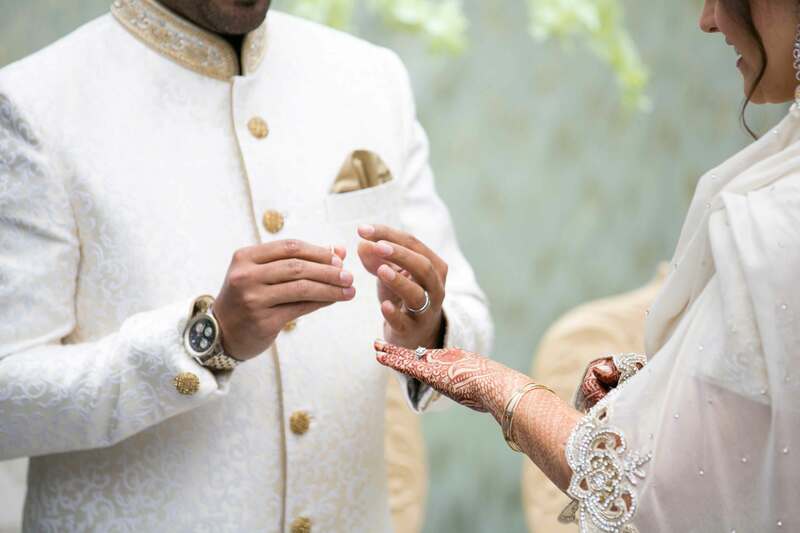 This is the event where the bride, wedding party, and special guests get henna. 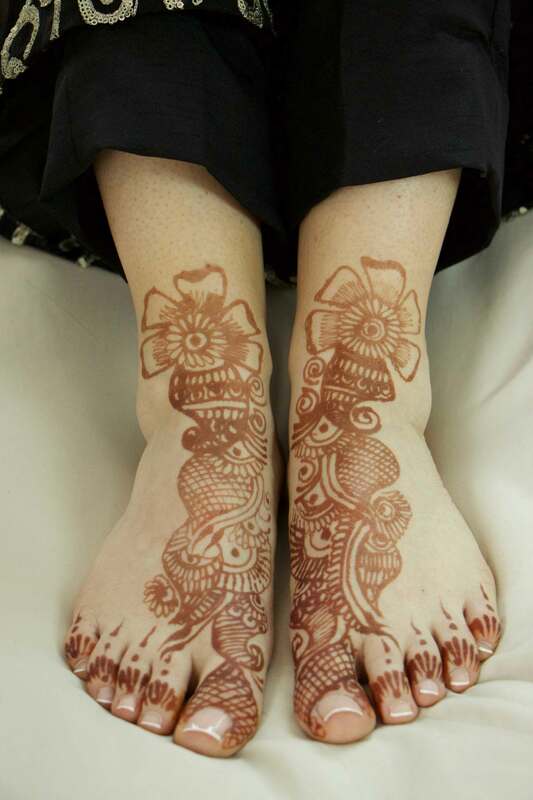 My henna took almost 5 hours! 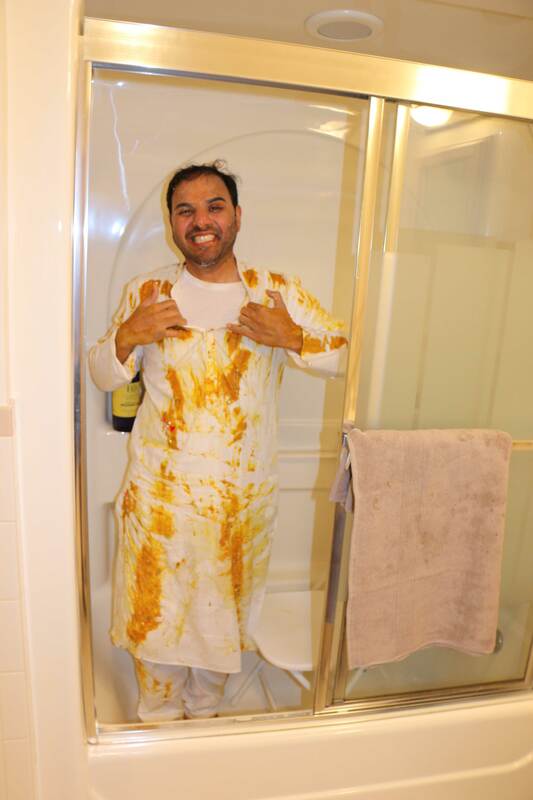 Going to the bathroom during that five hours was interesting, to say the least. 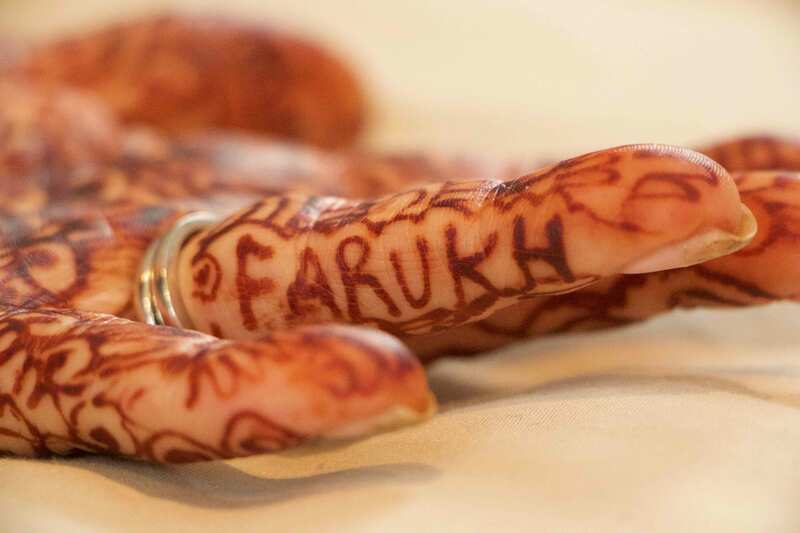 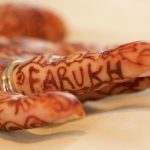 It’s customary to “hide” the grooms name in the bride’s henna, which you’ll see pictured below. 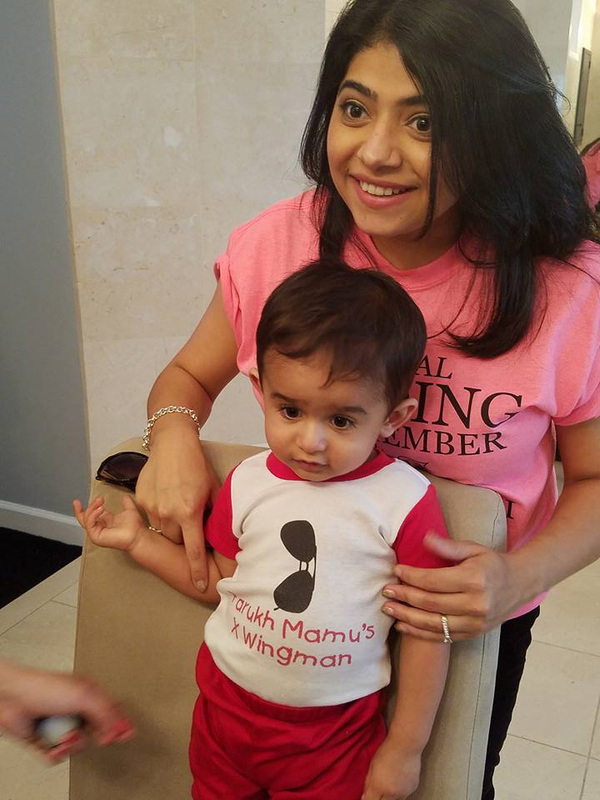 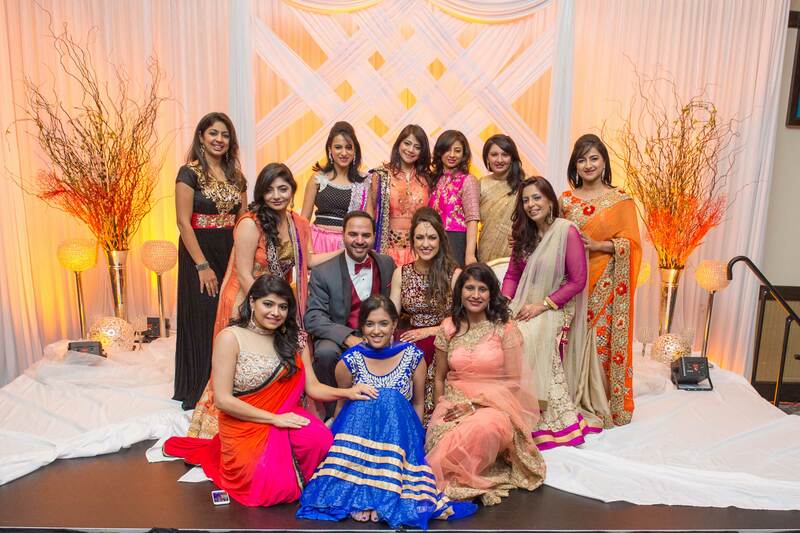 We hosted our individual Pithi’s on Saturday afternoon. 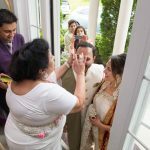 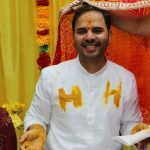 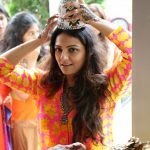 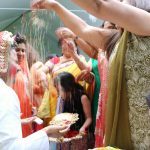 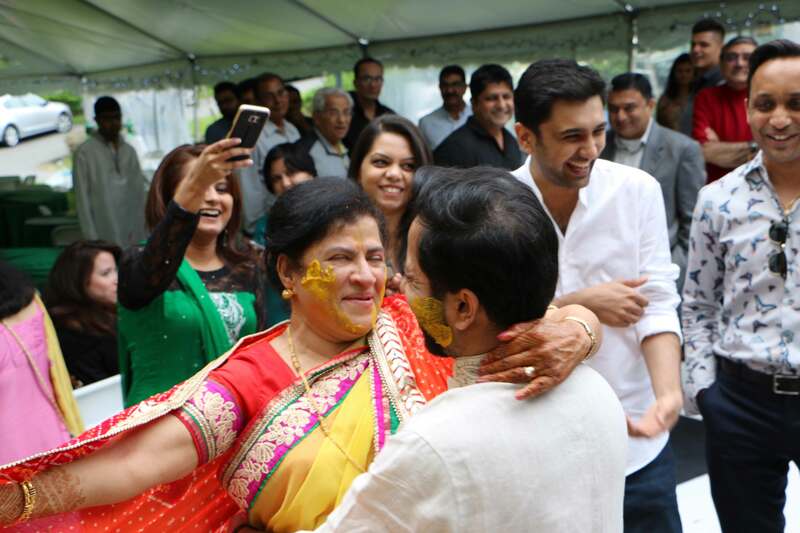 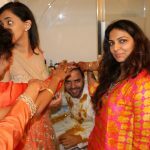 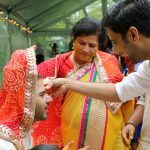 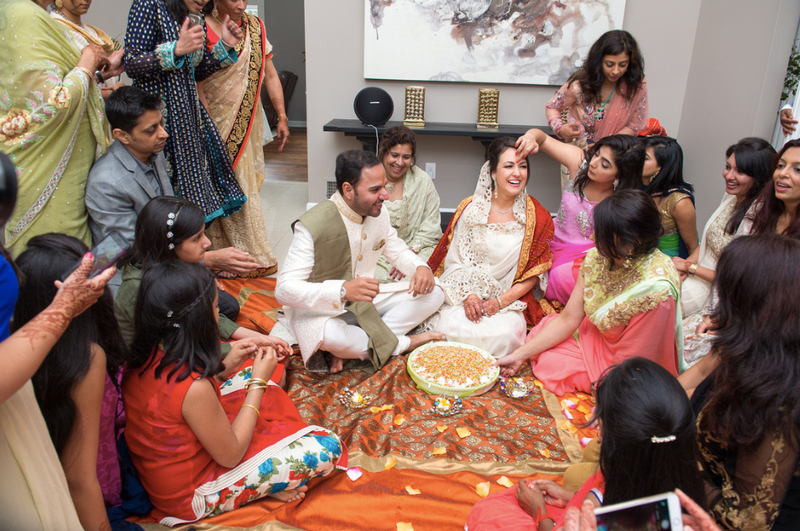 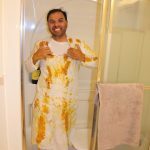 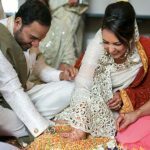 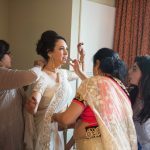 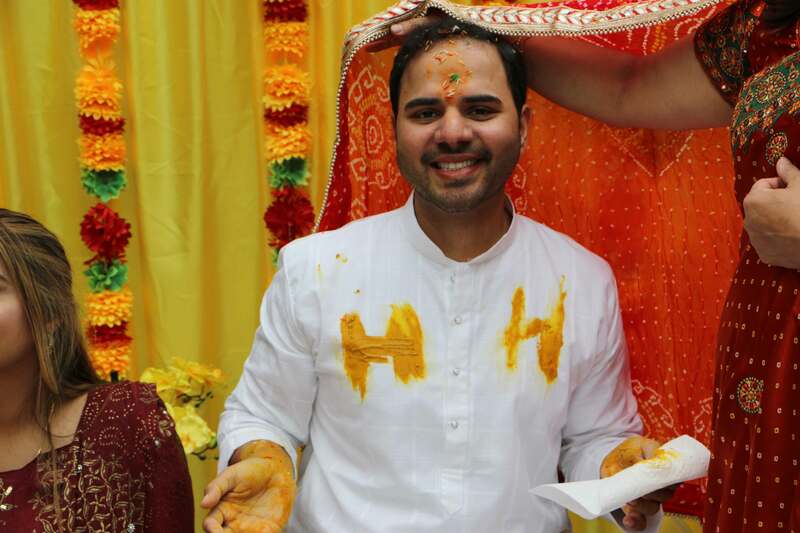 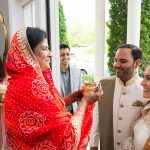 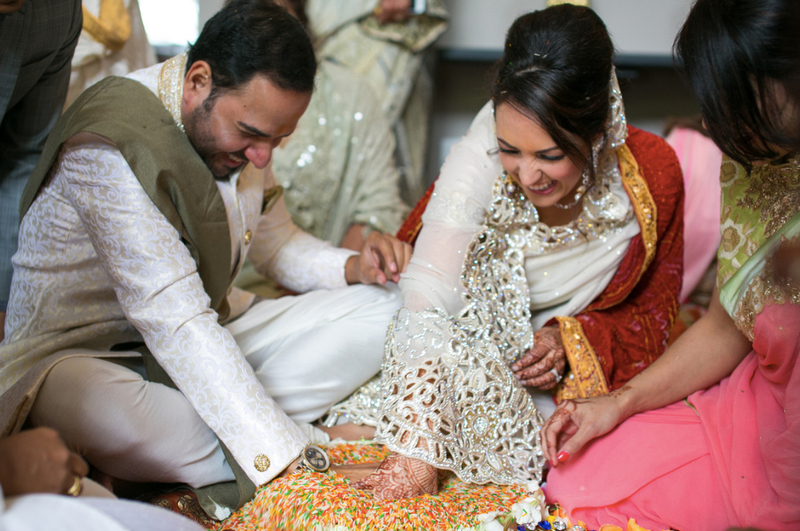 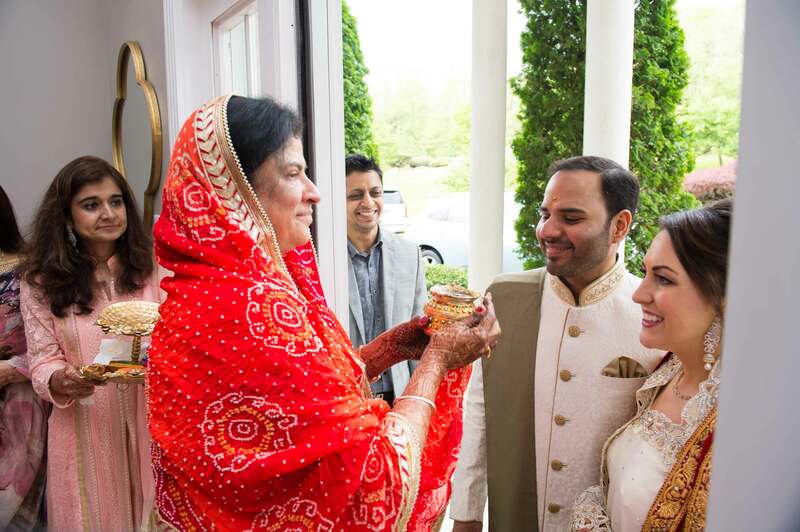 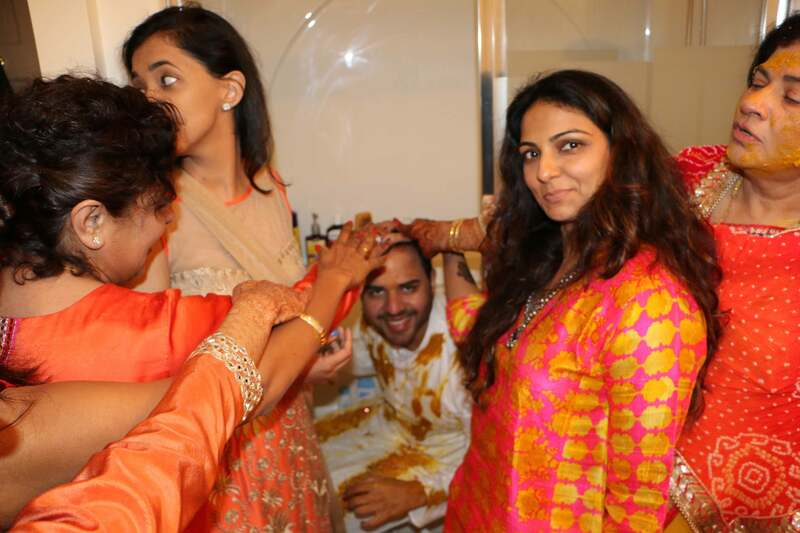 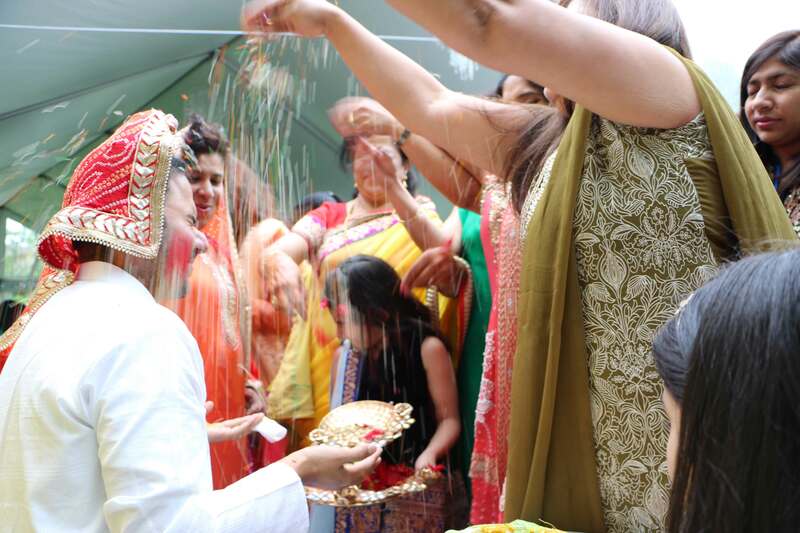 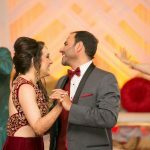 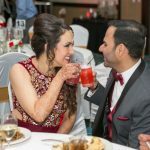 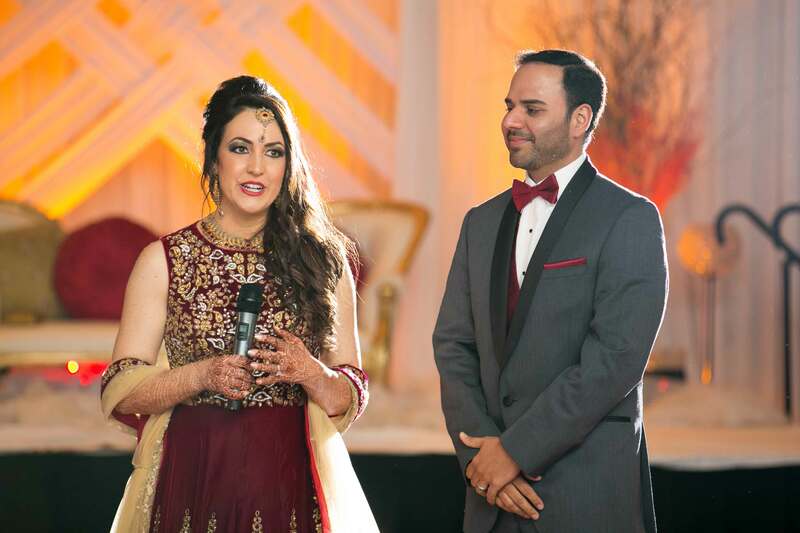 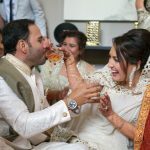 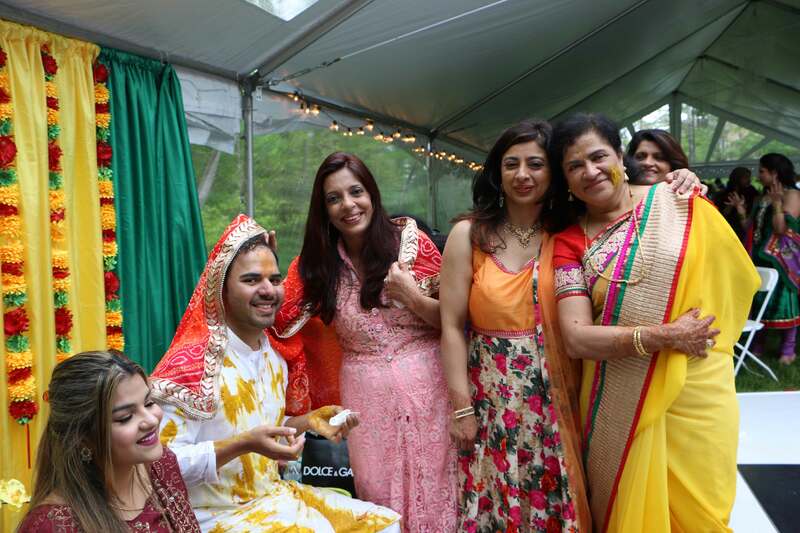 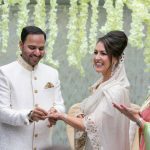 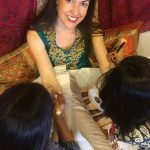 This is a good luck ceremony where friends and family put a turmeric and rose water paste on the bride and groom to help make their skin dewy and glowing and to wish them a long and happy marriage. 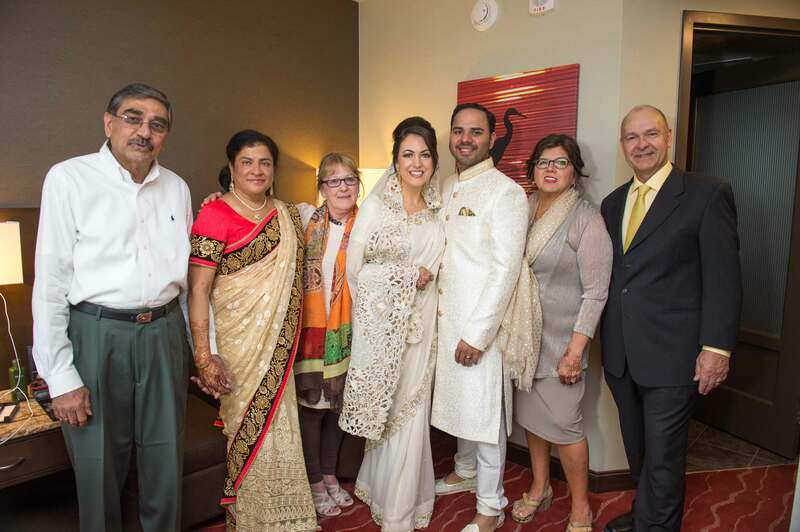 My Pithi was done in my hotel room and somehow we only have one photo of it. 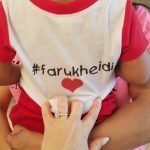 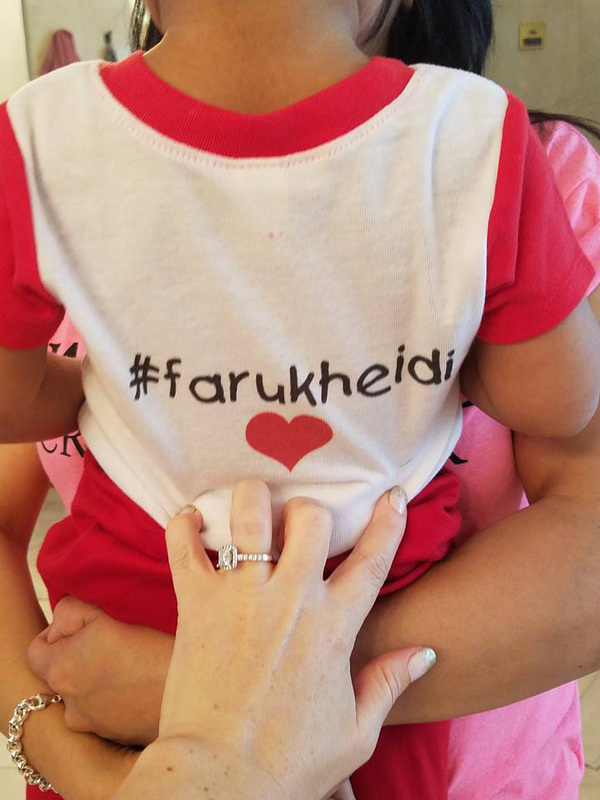 Farukh’s was done at our home. 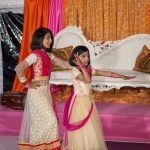 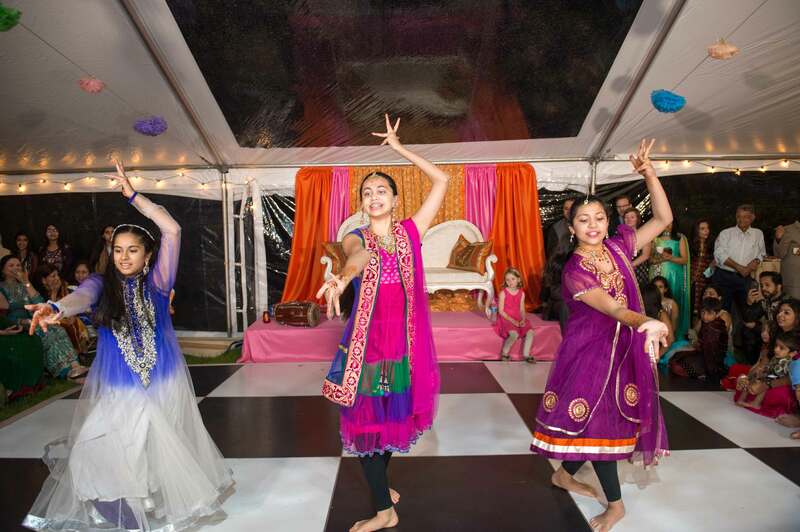 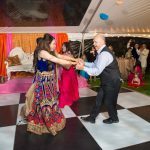 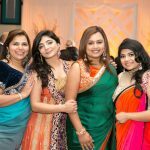 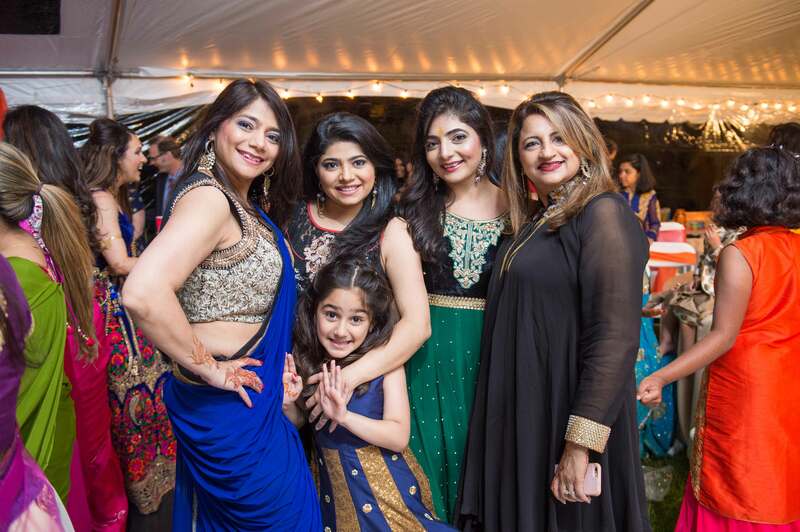 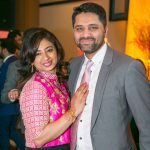 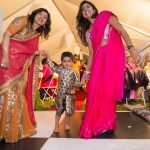 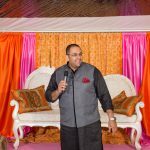 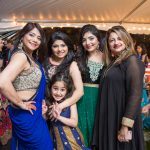 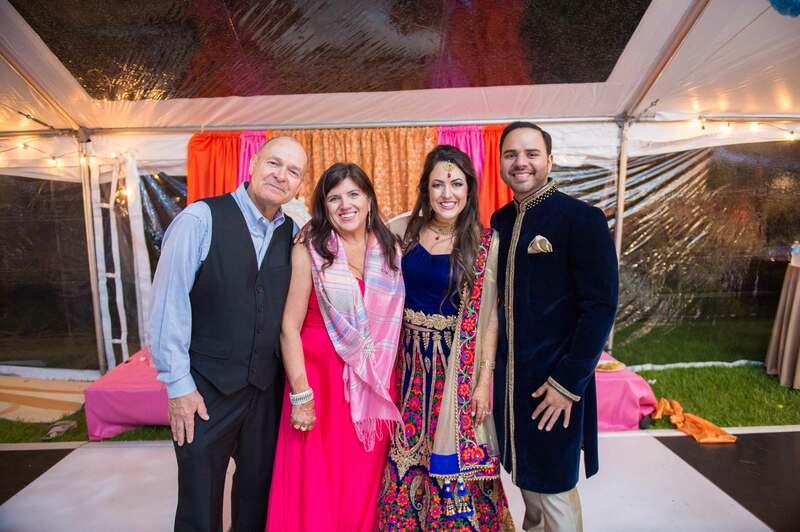 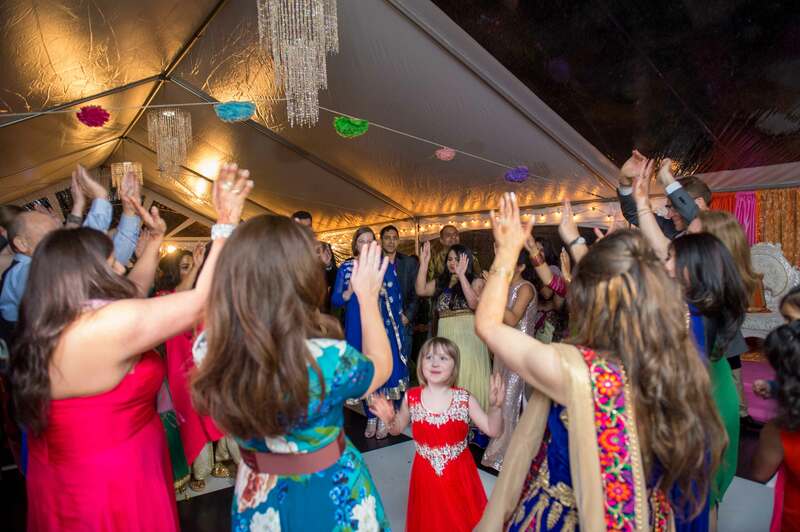 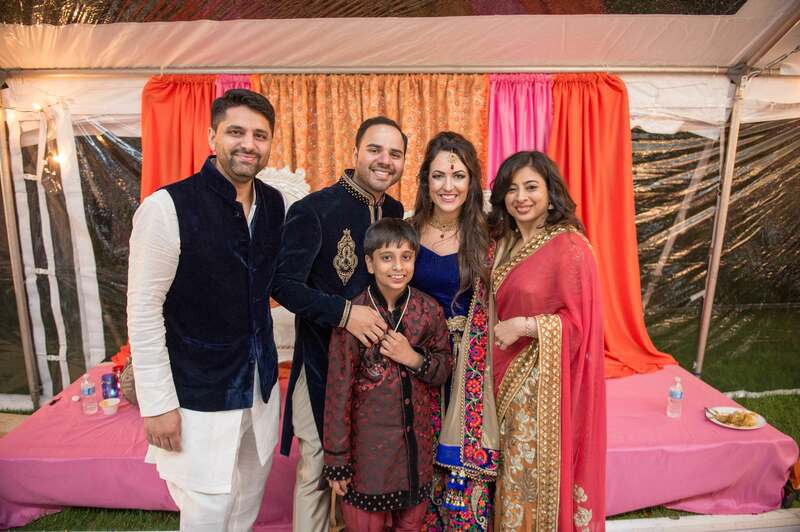 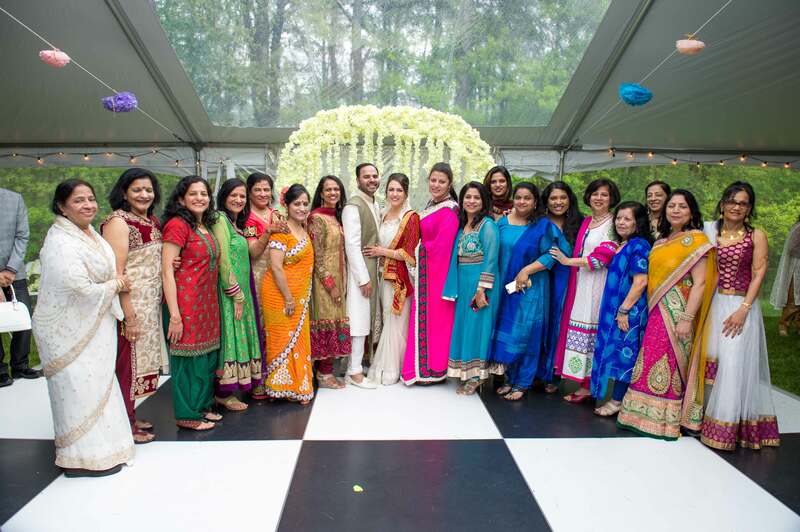 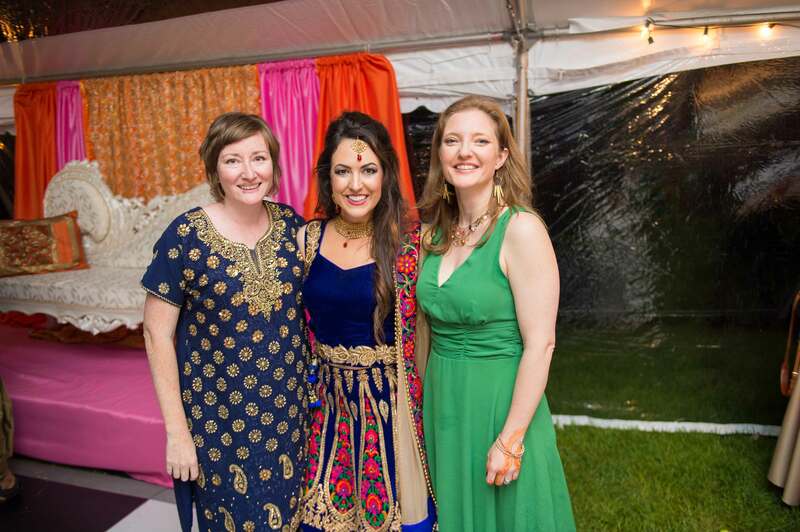 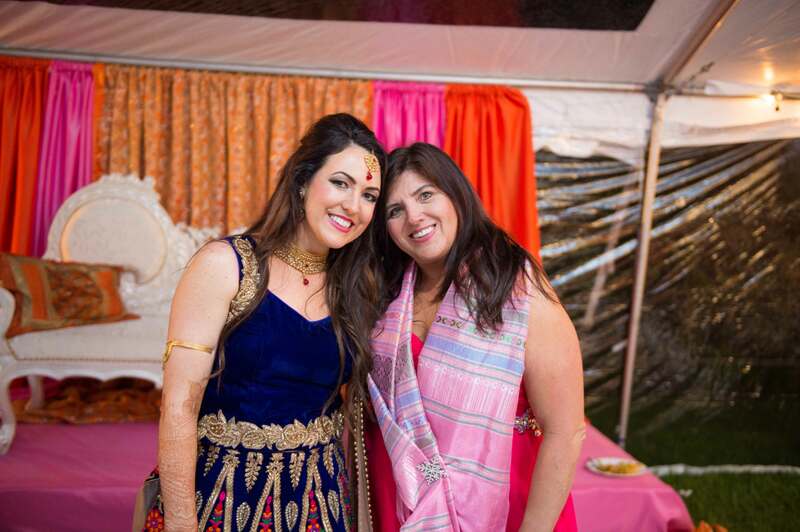 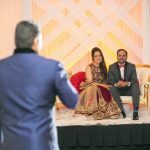 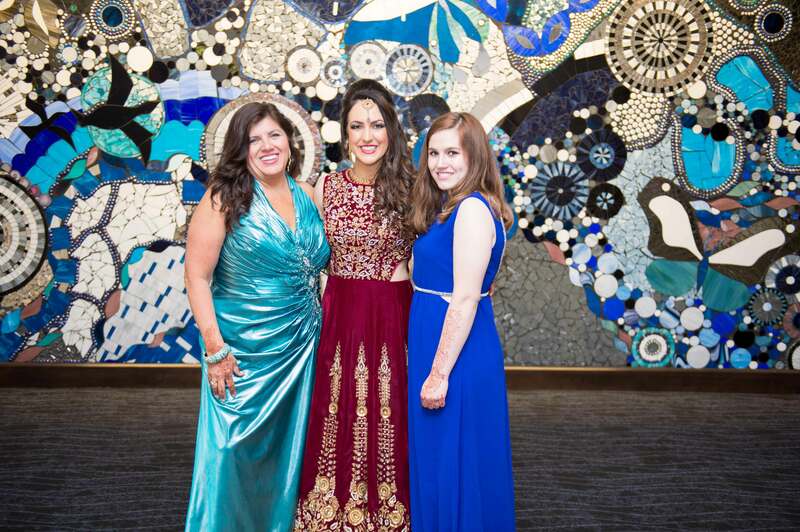 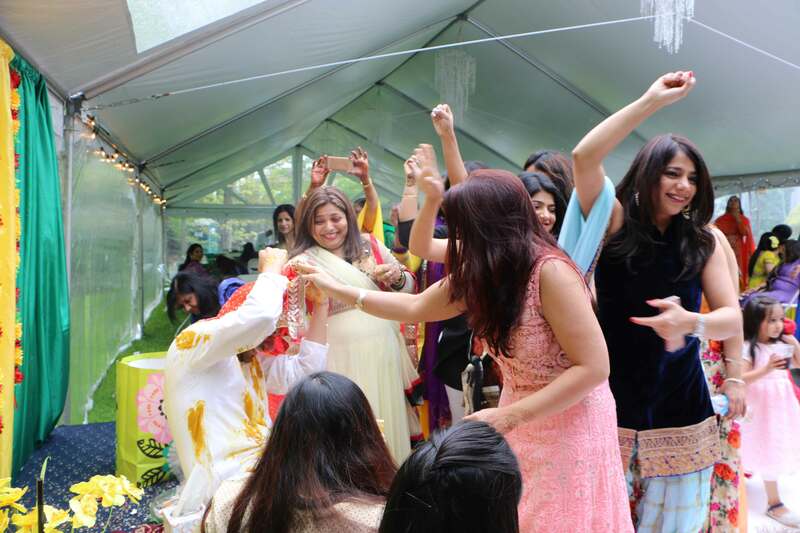 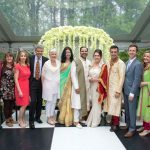 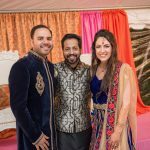 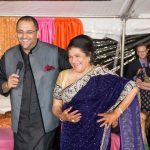 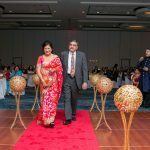 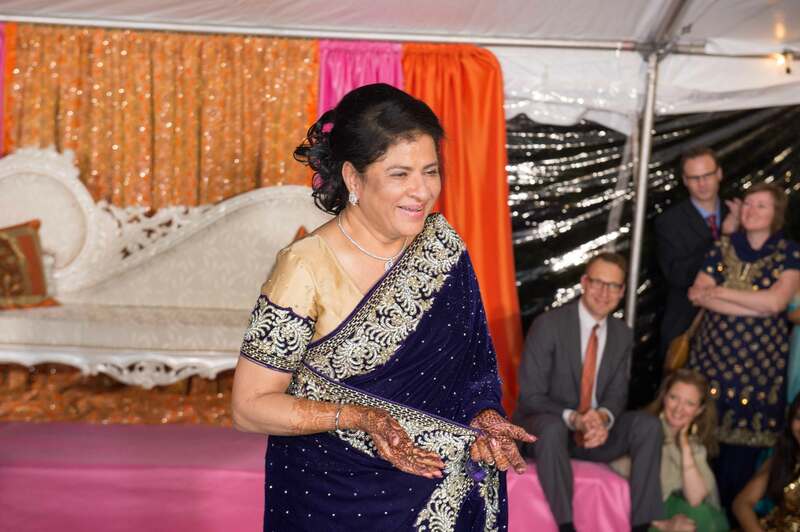 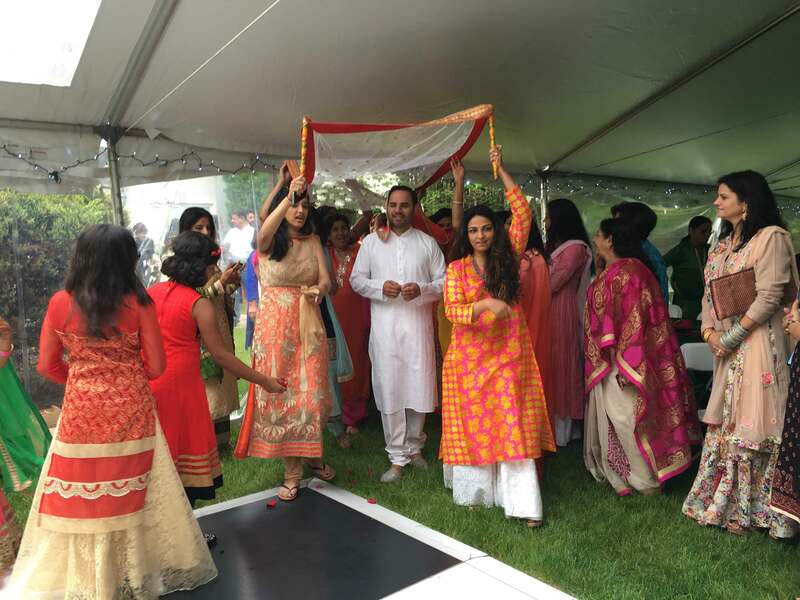 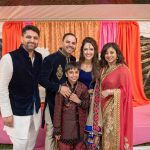 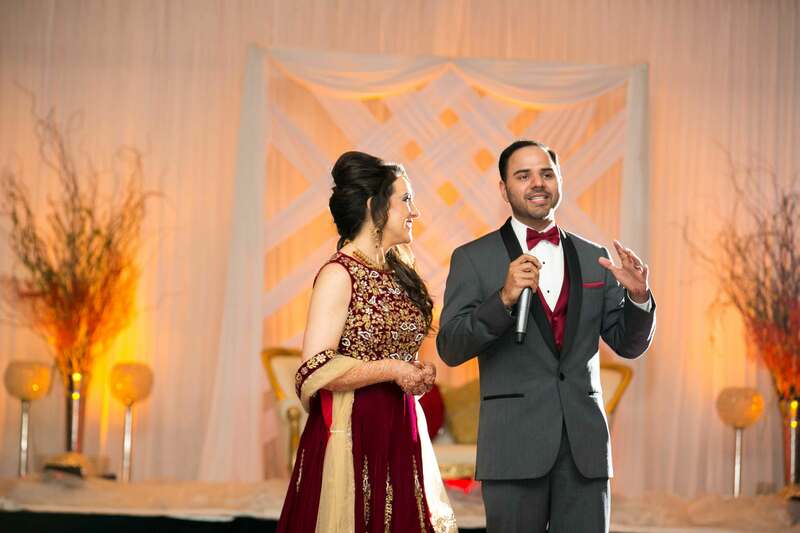 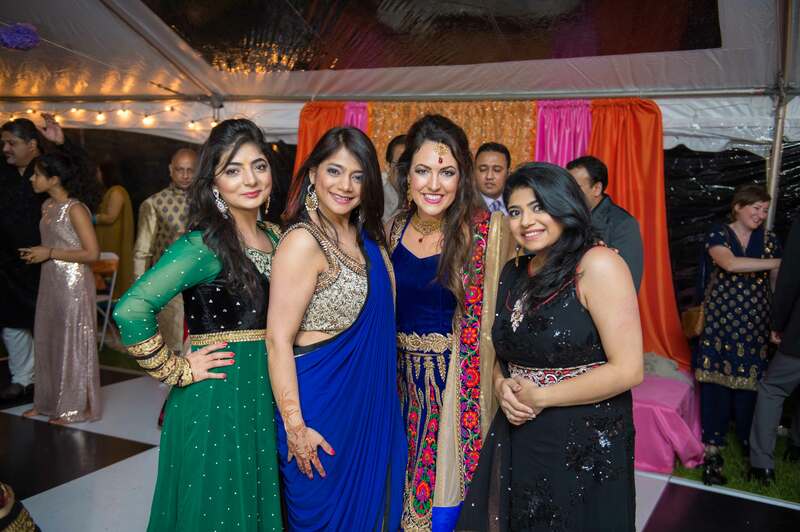 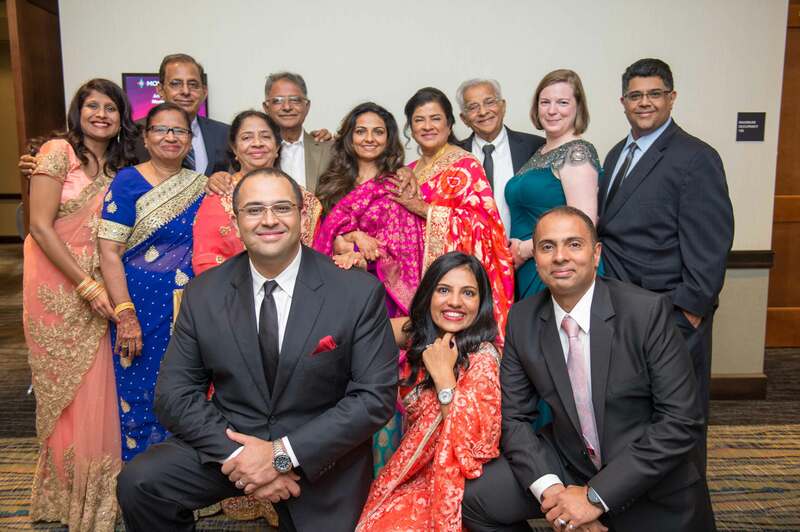 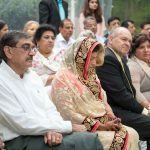 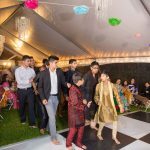 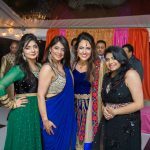 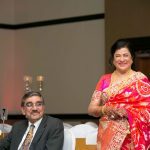 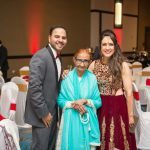 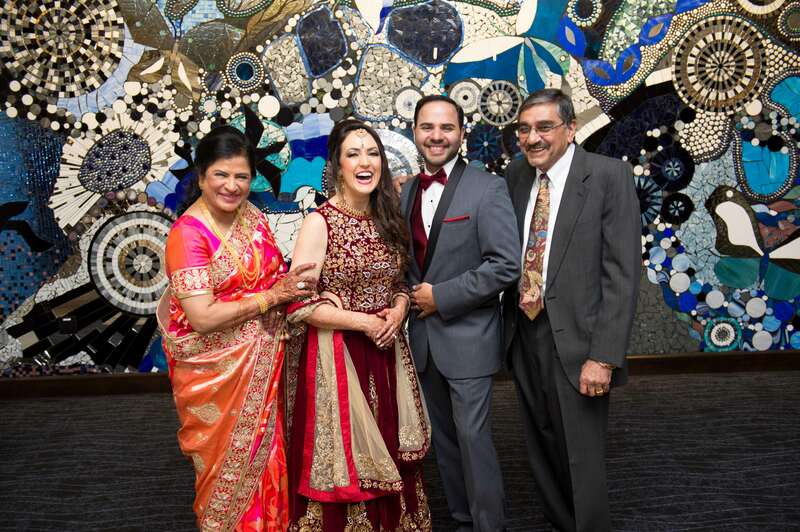 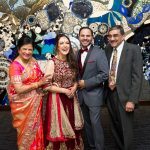 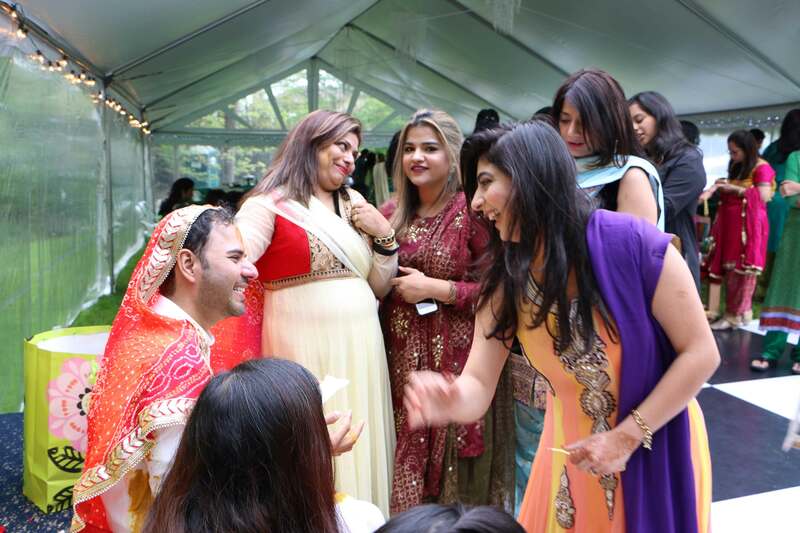 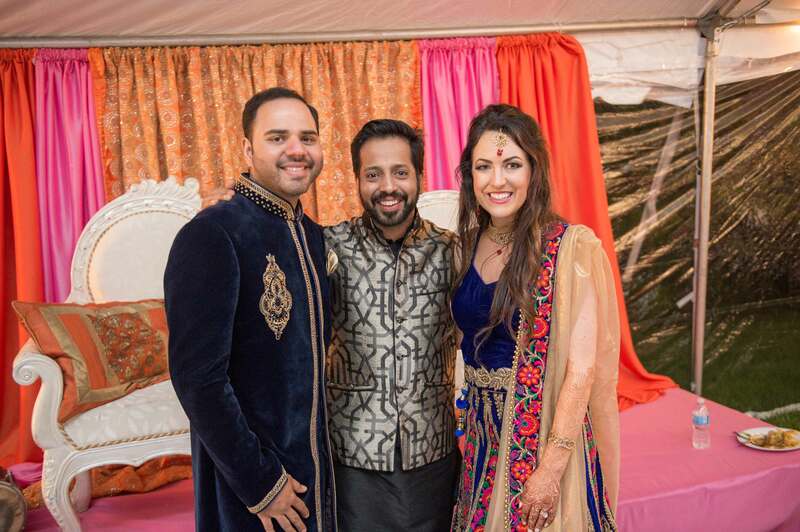 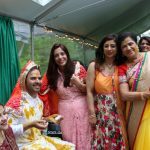 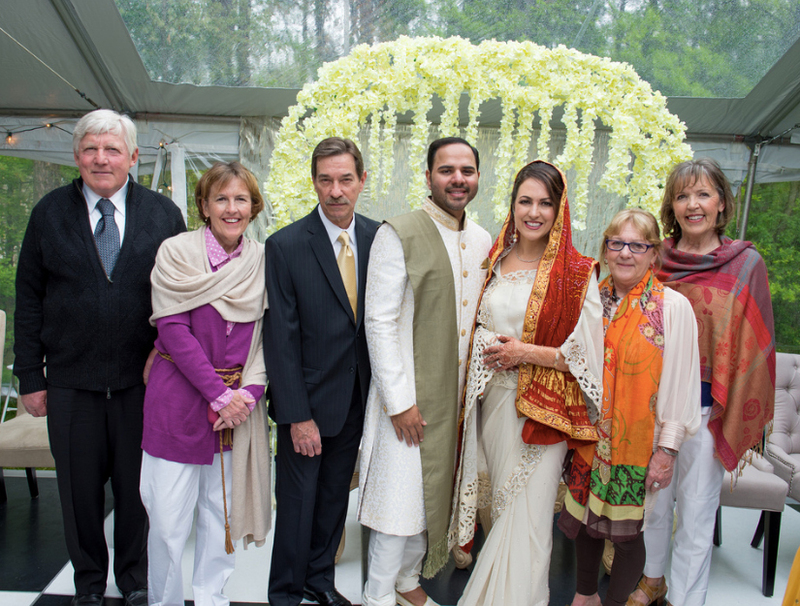 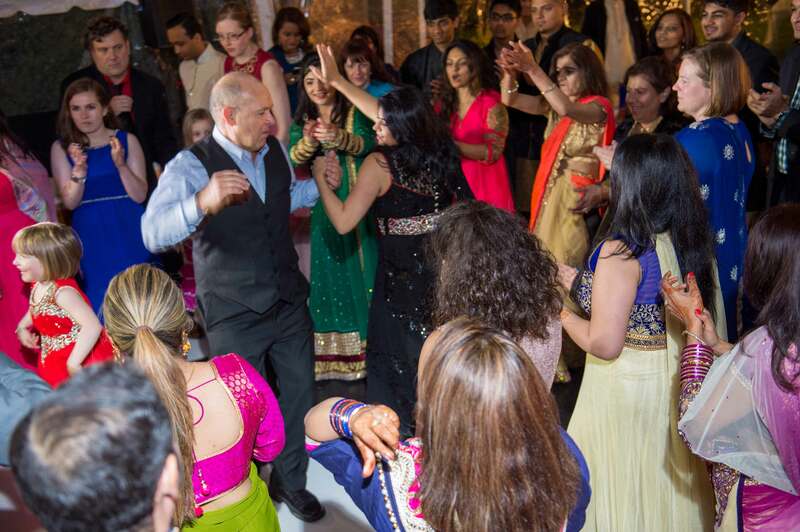 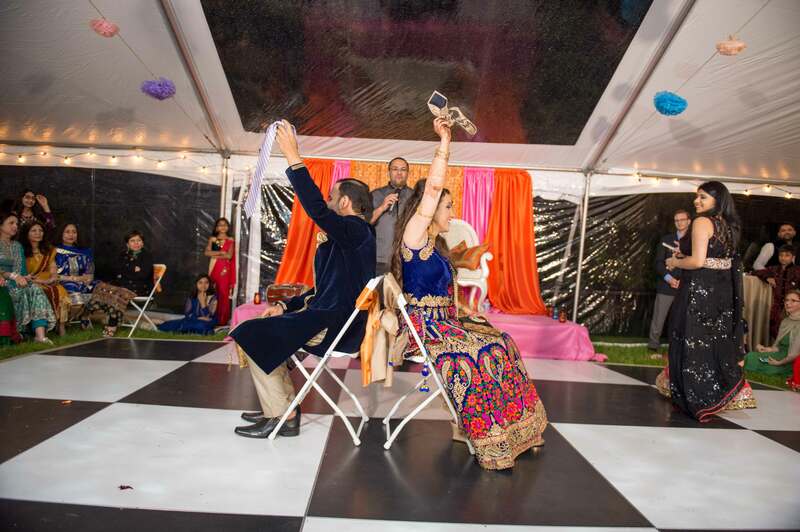 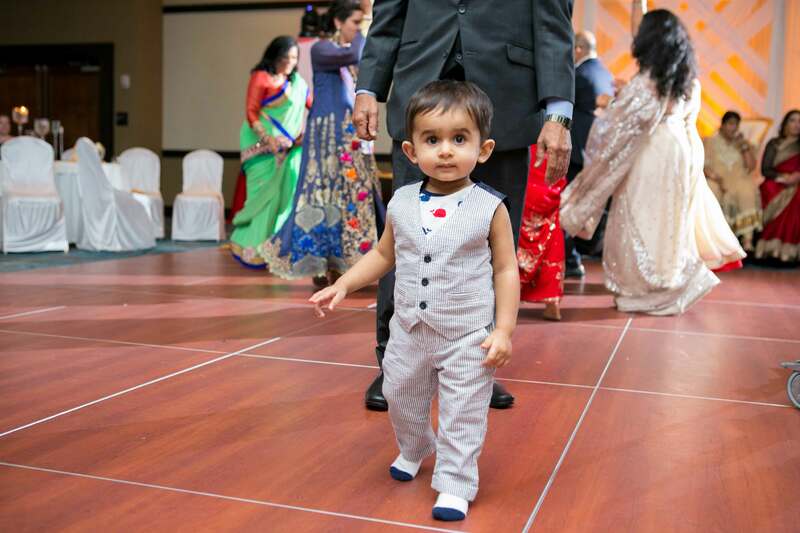 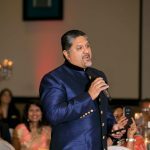 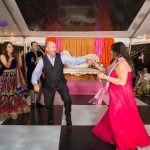 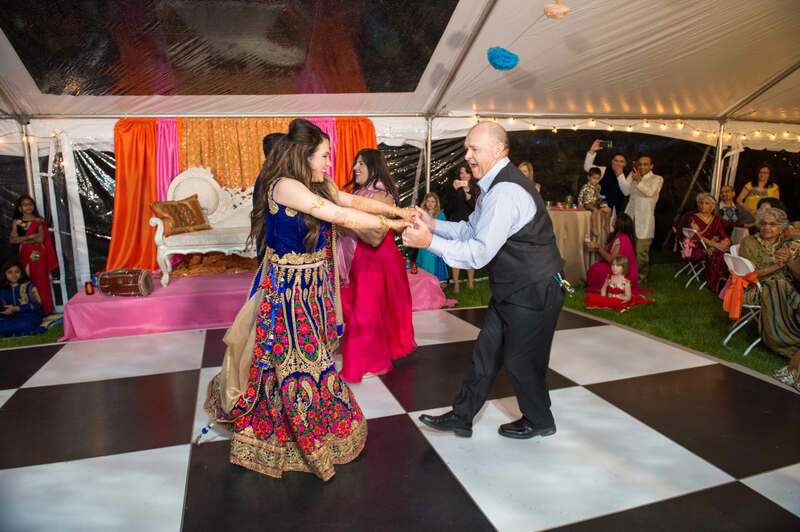 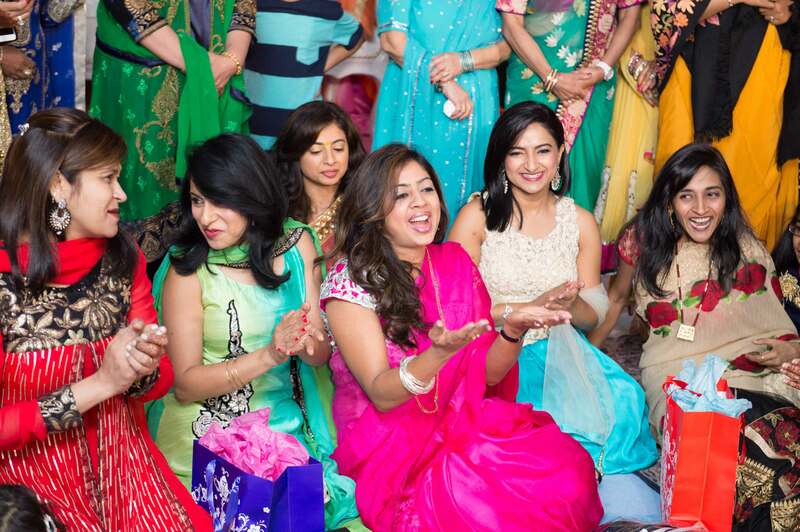 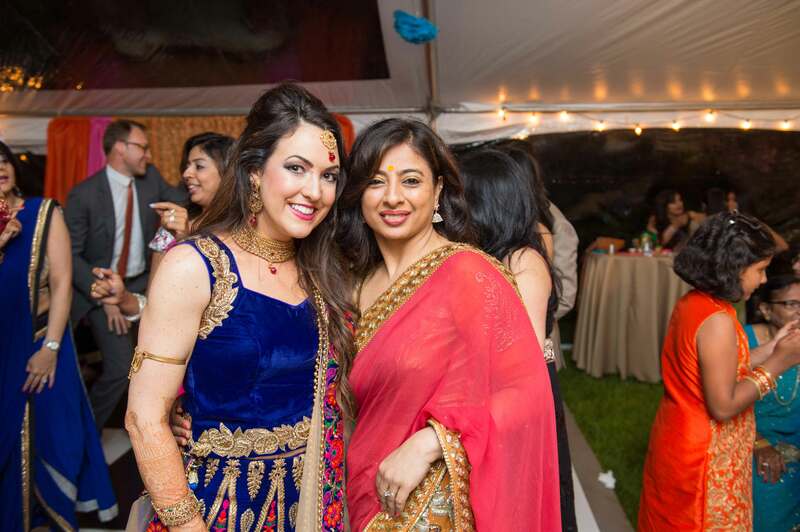 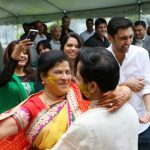 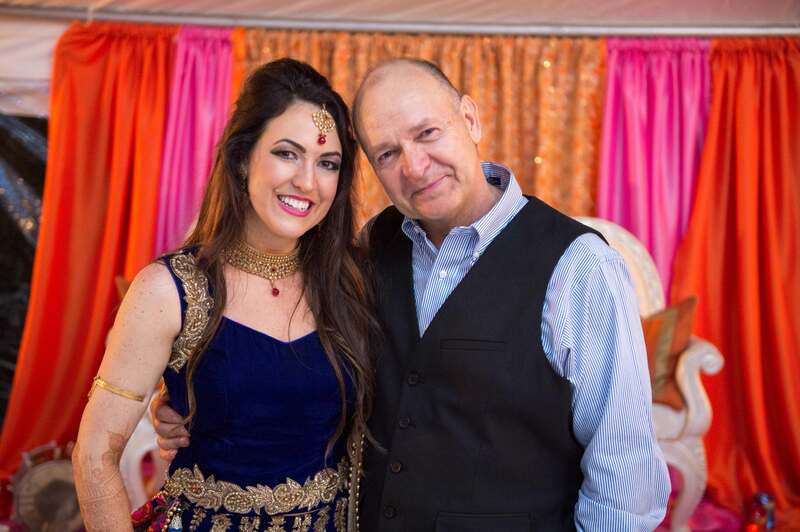 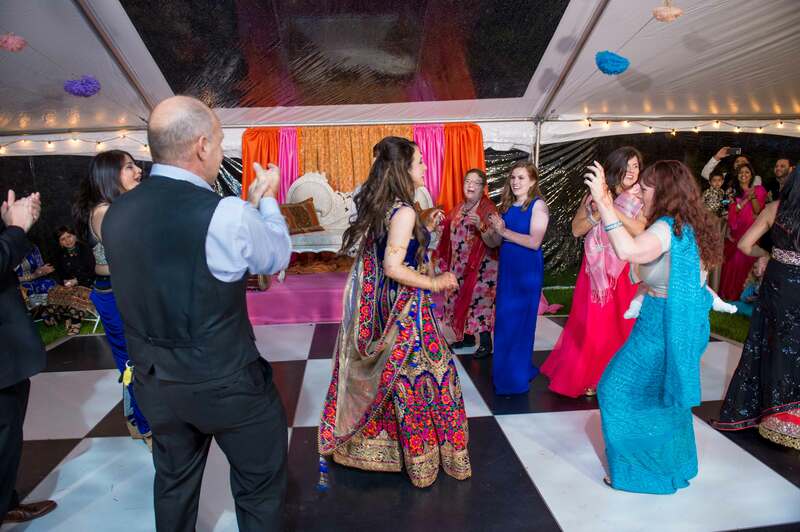 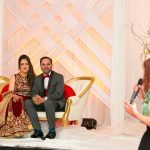 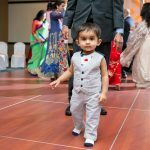 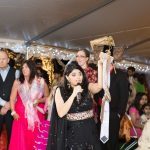 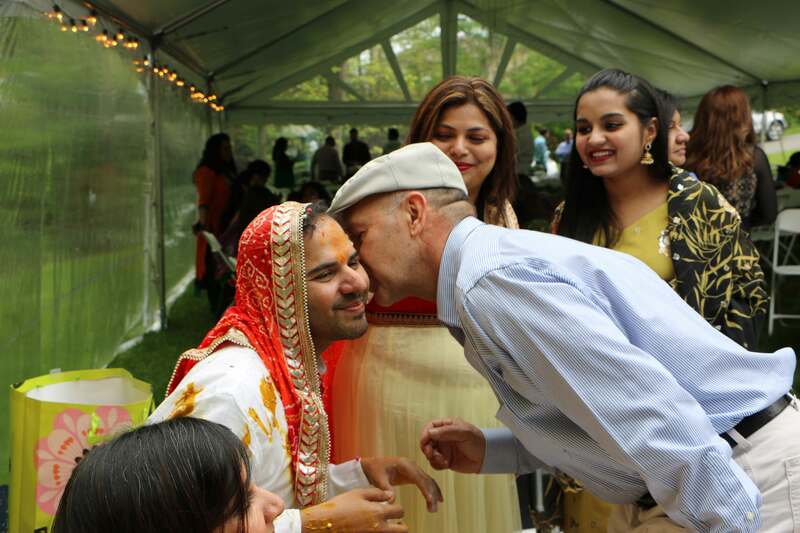 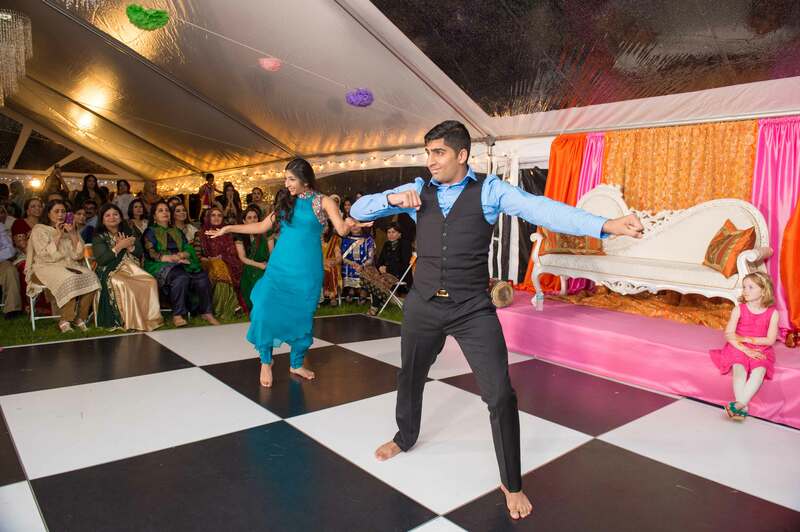 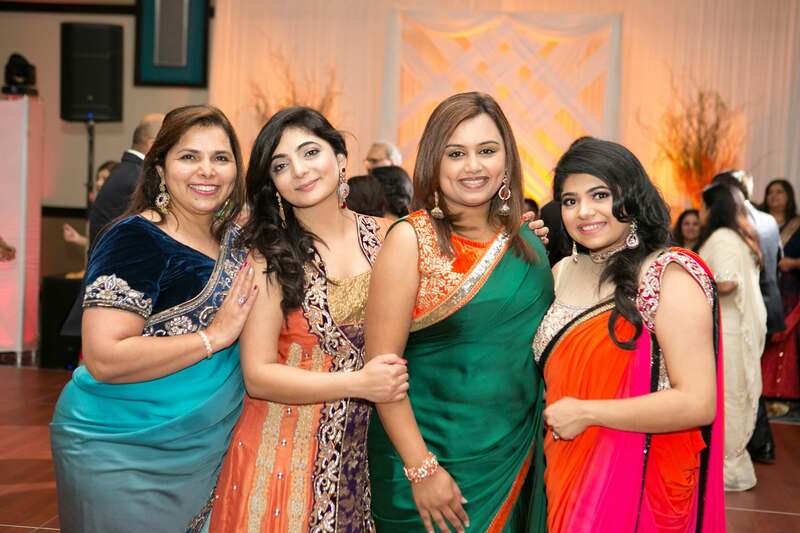 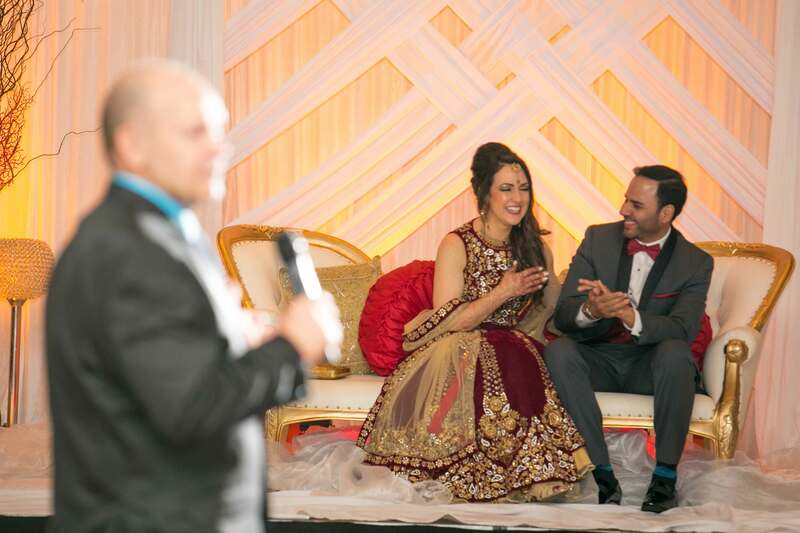 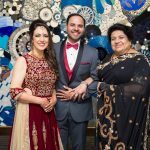 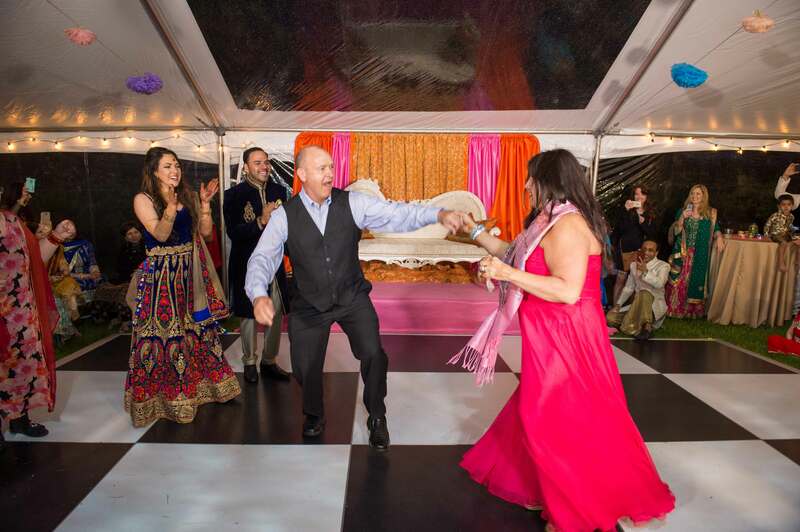 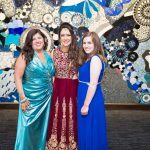 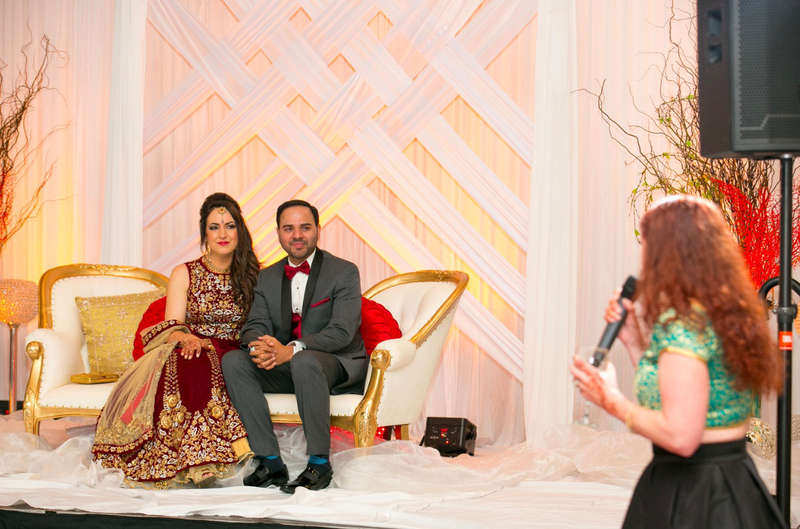 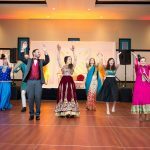 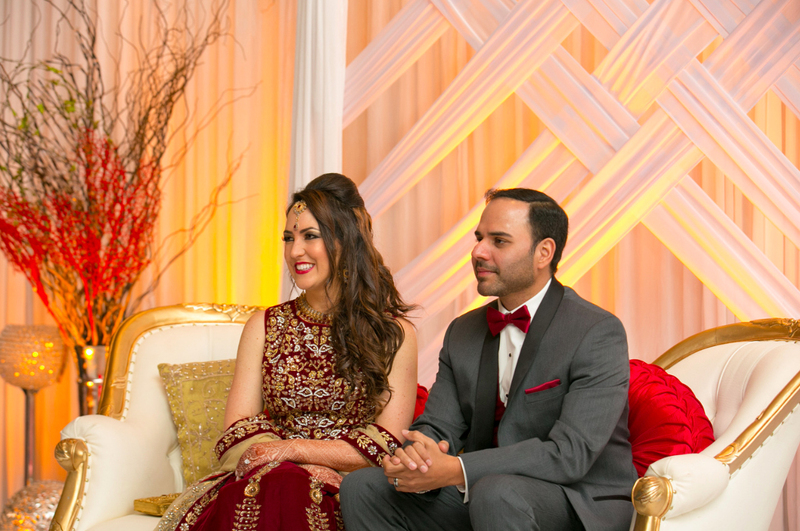 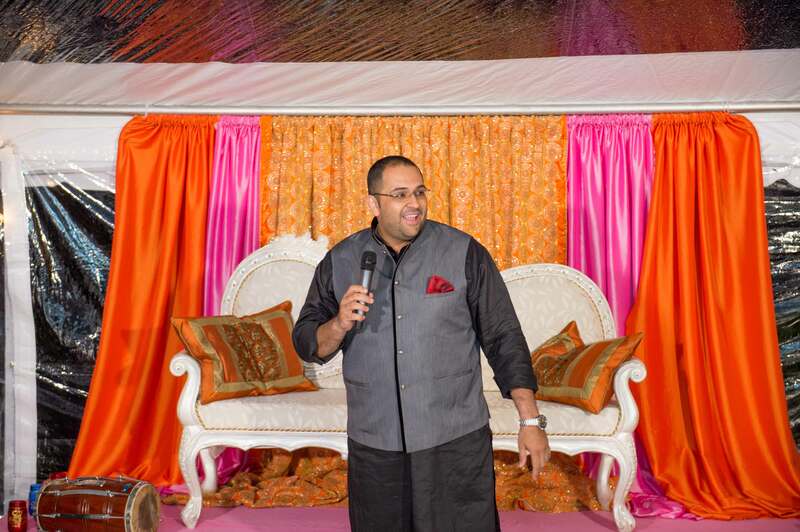 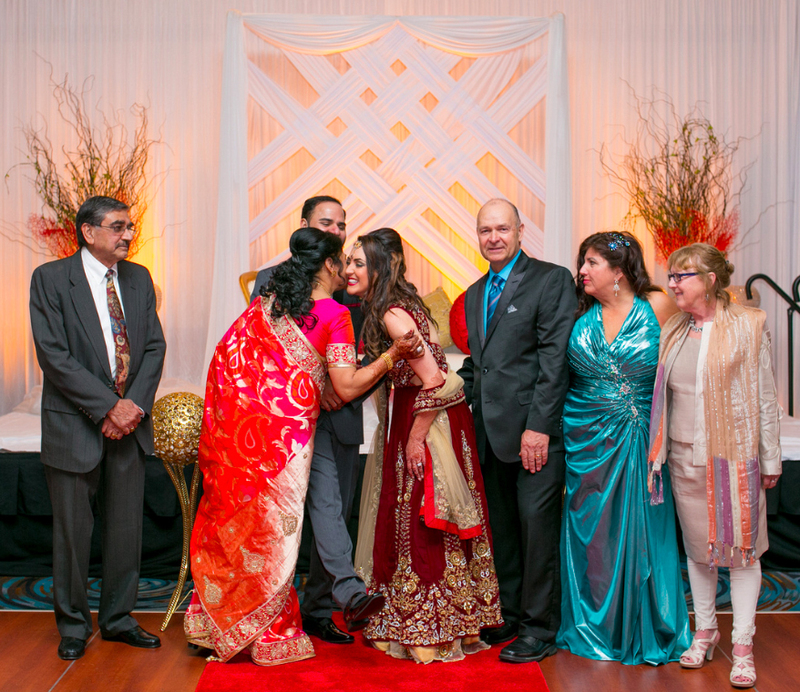 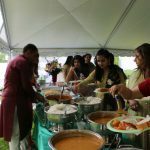 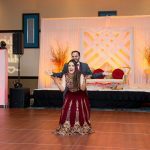 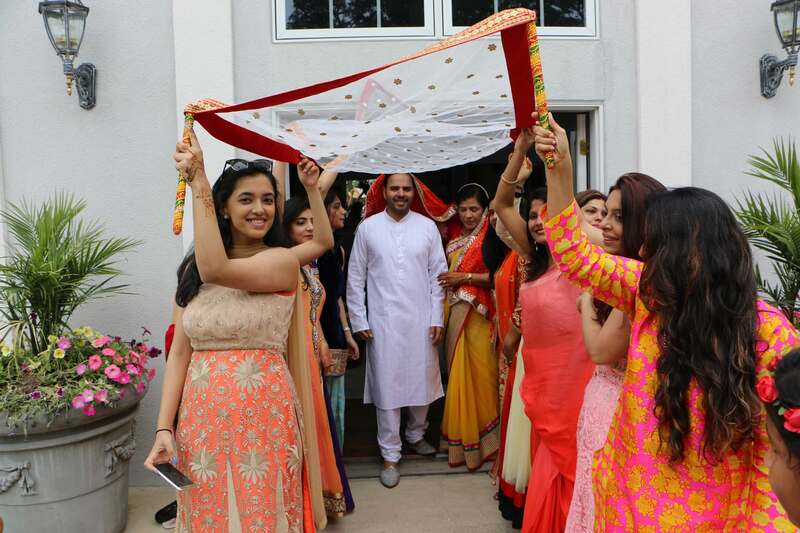 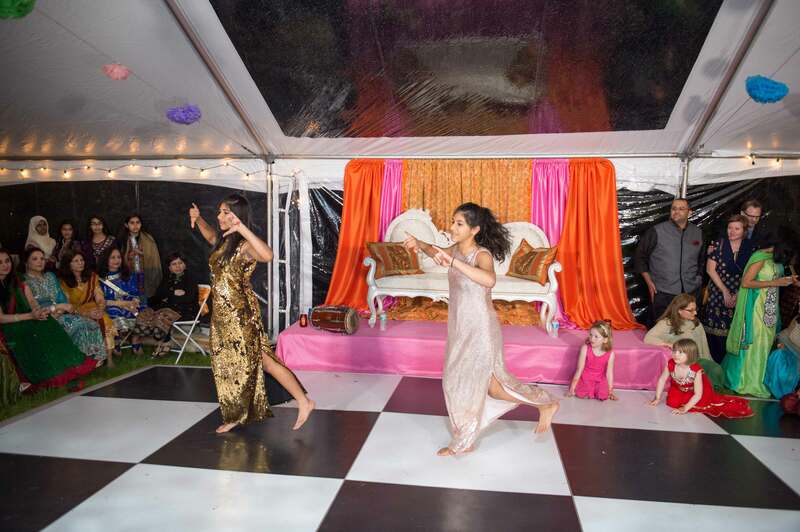 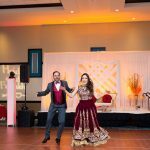 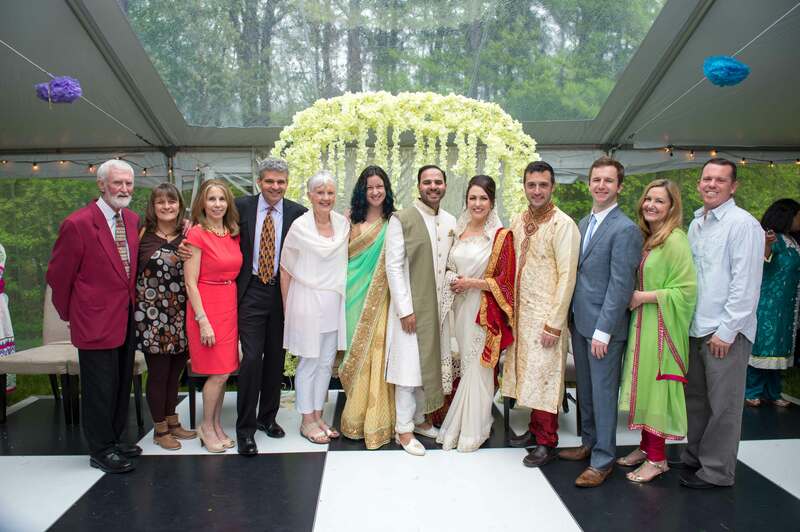 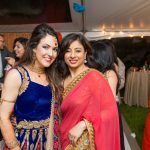 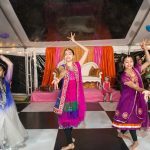 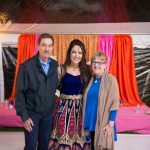 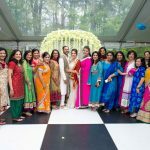 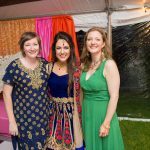 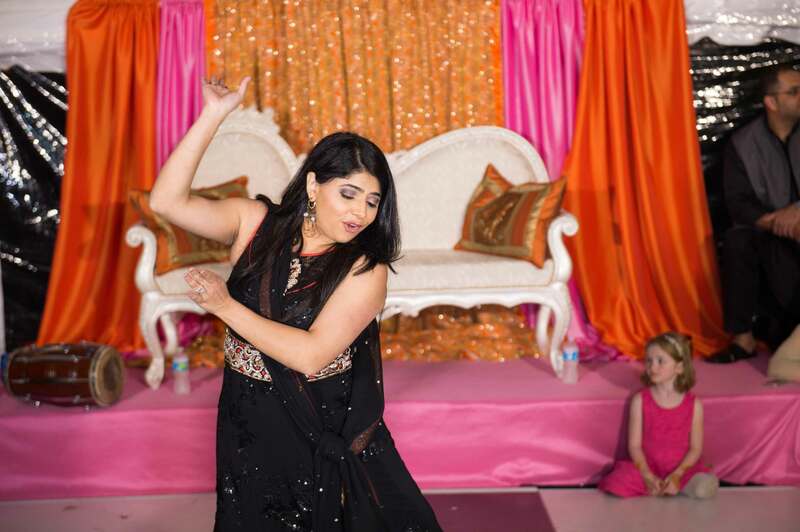 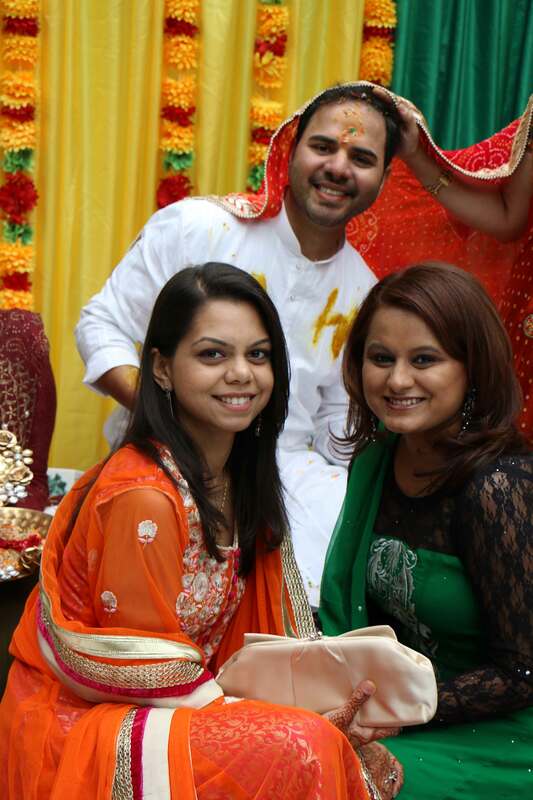 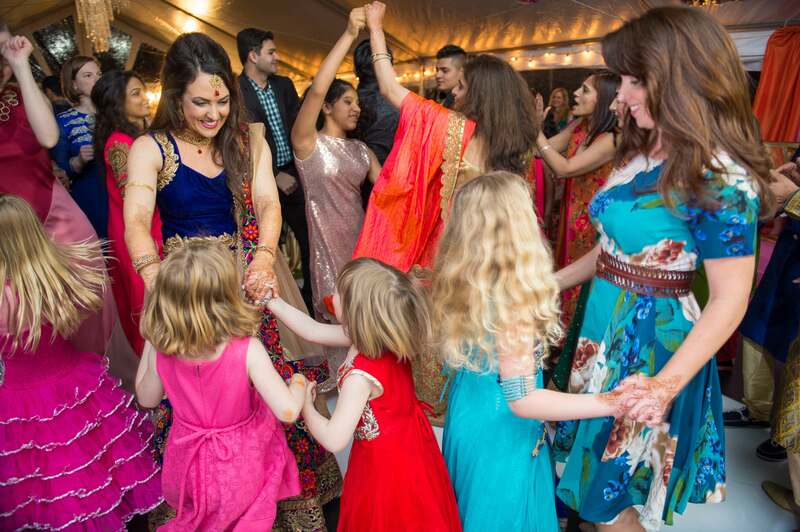 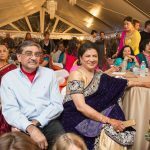 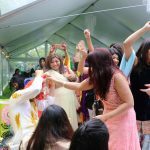 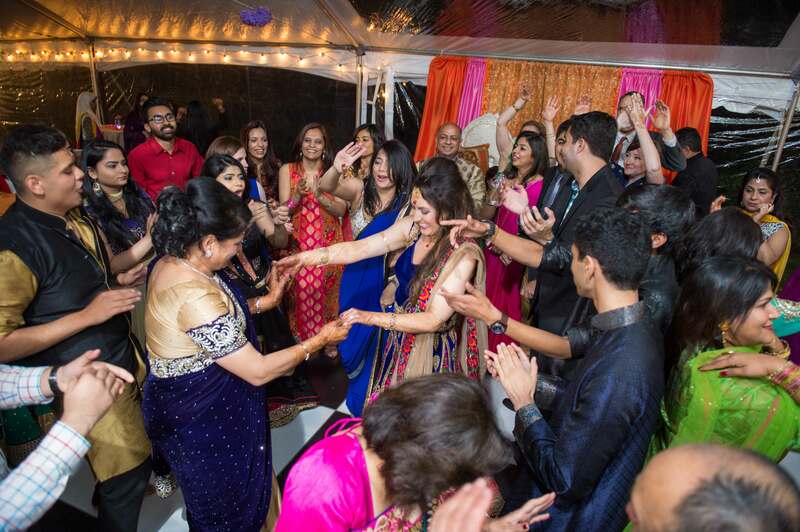 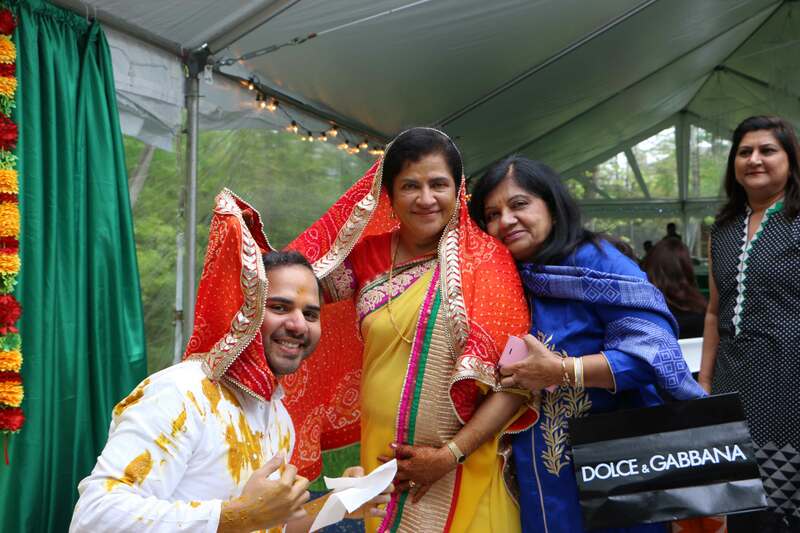 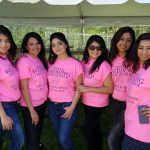 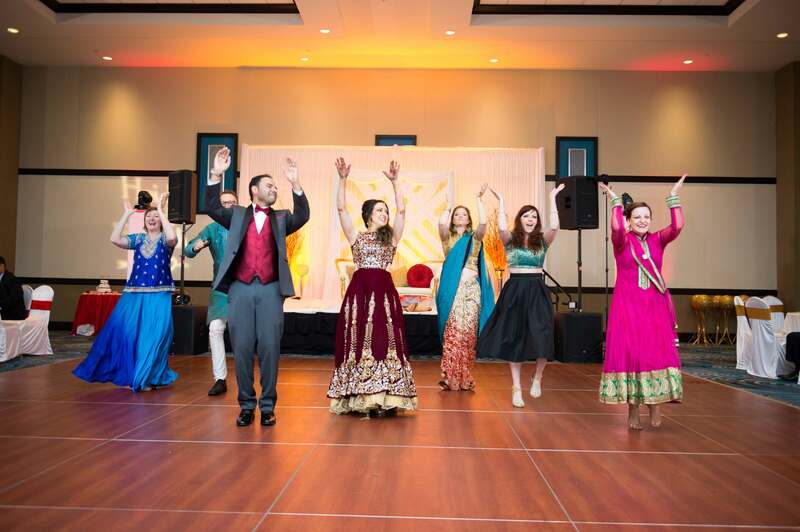 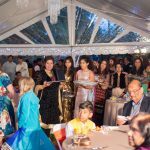 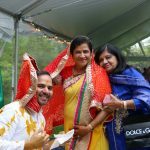 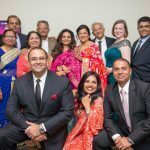 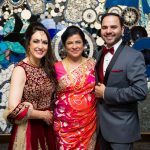 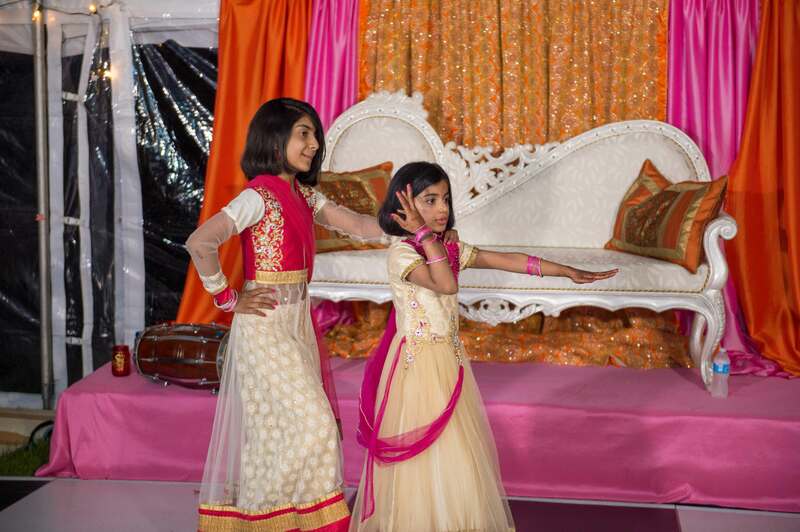 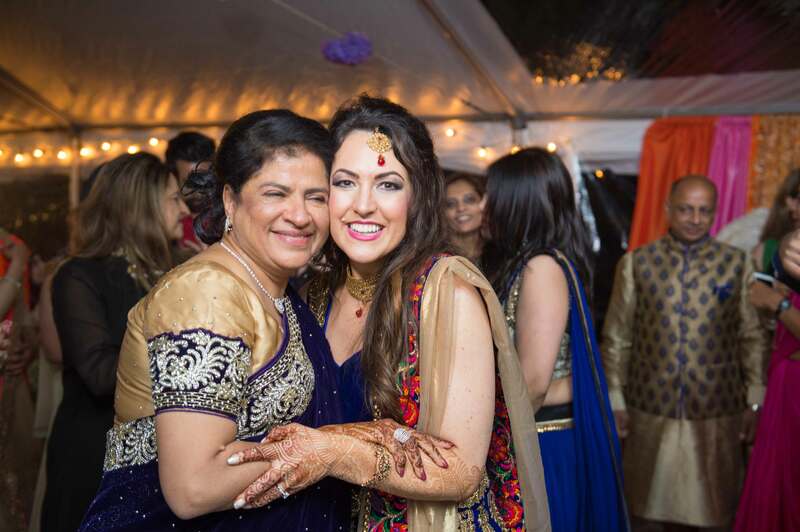 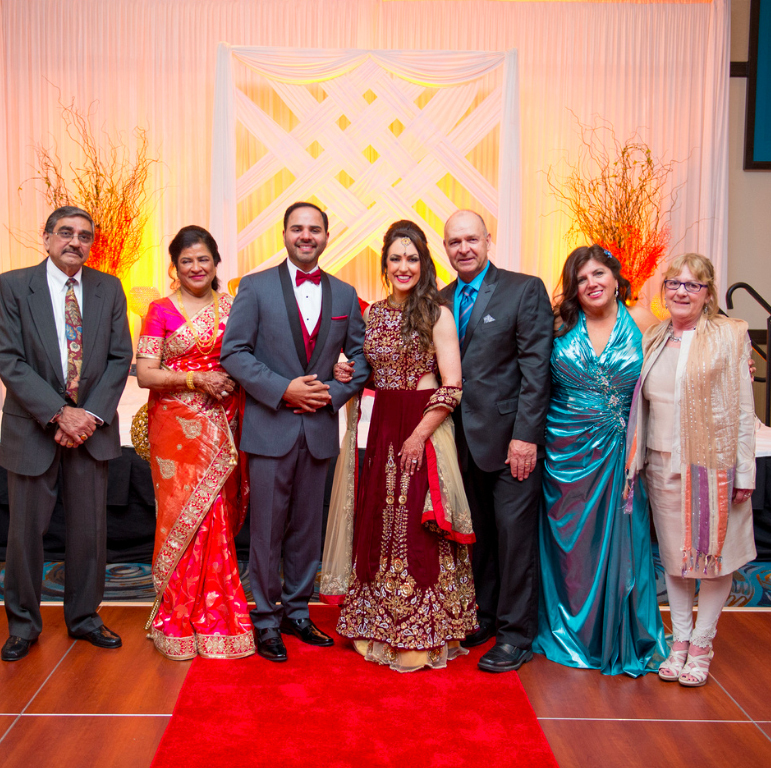 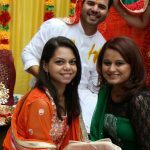 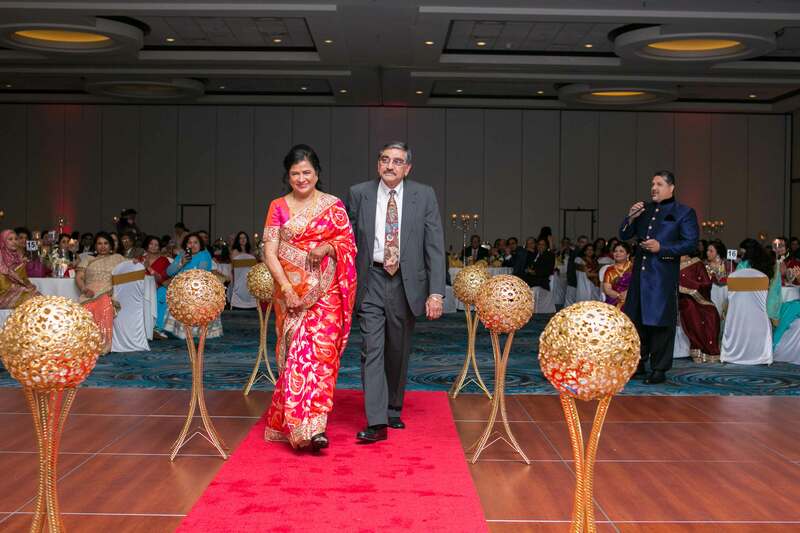 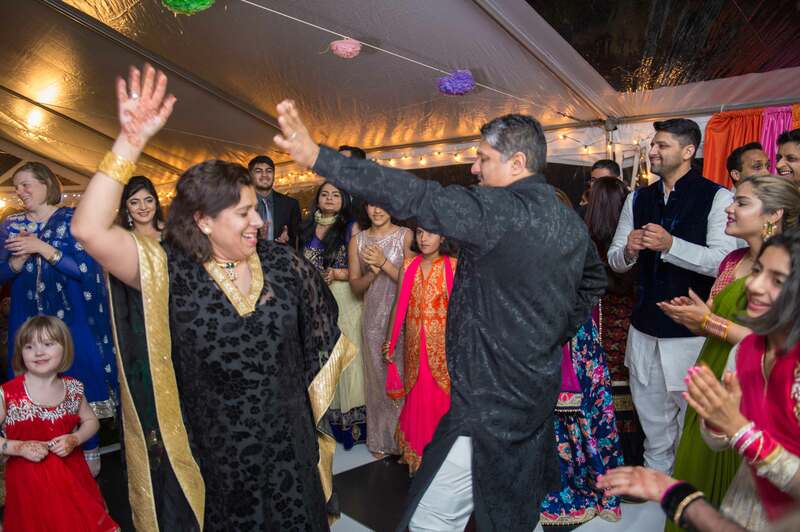 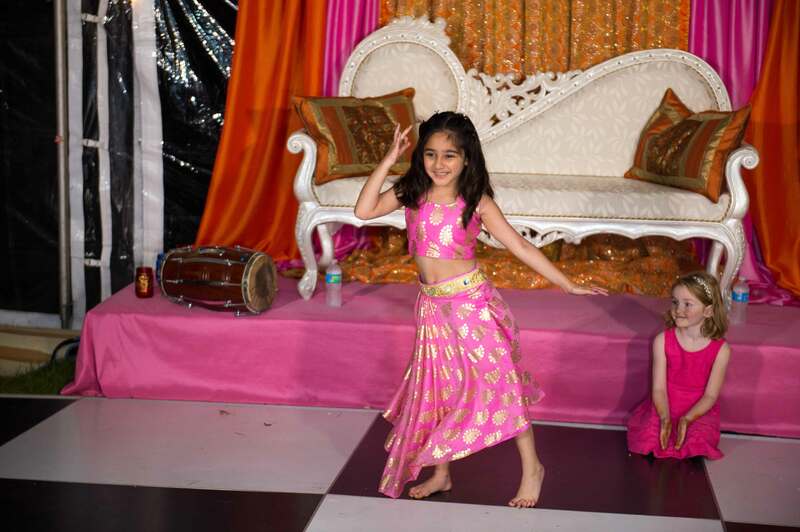 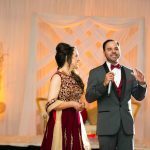 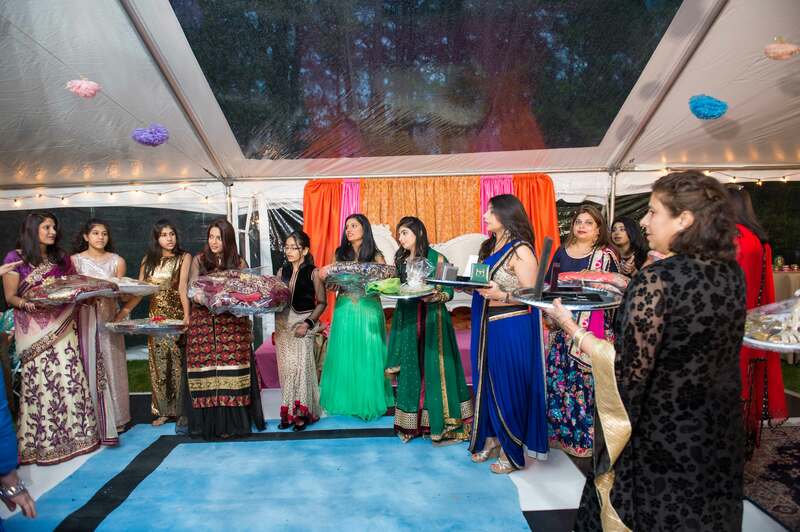 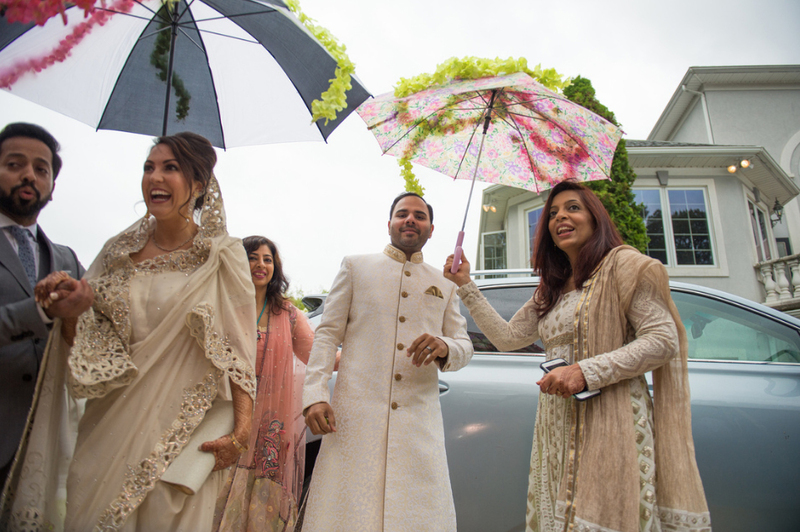 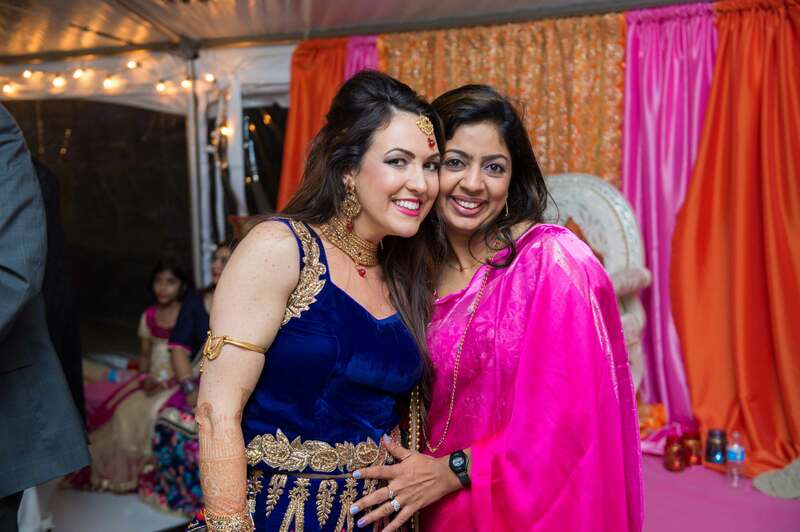 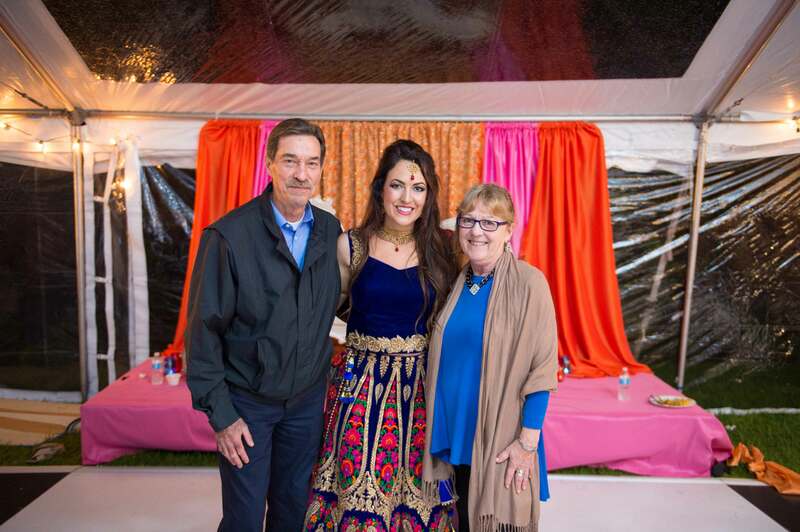 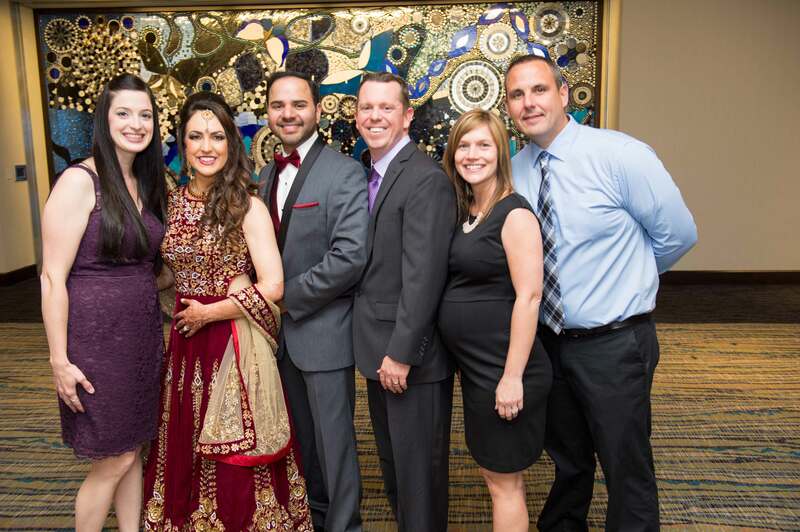 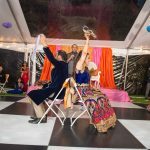 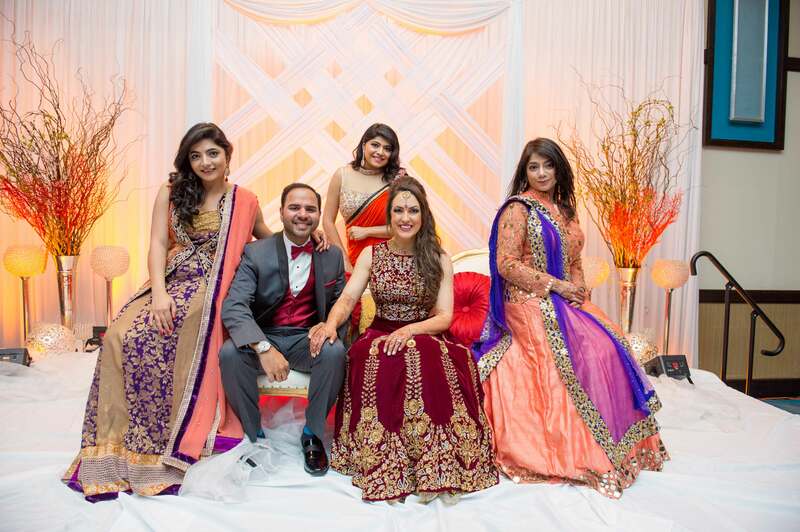 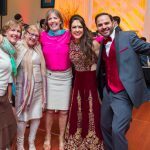 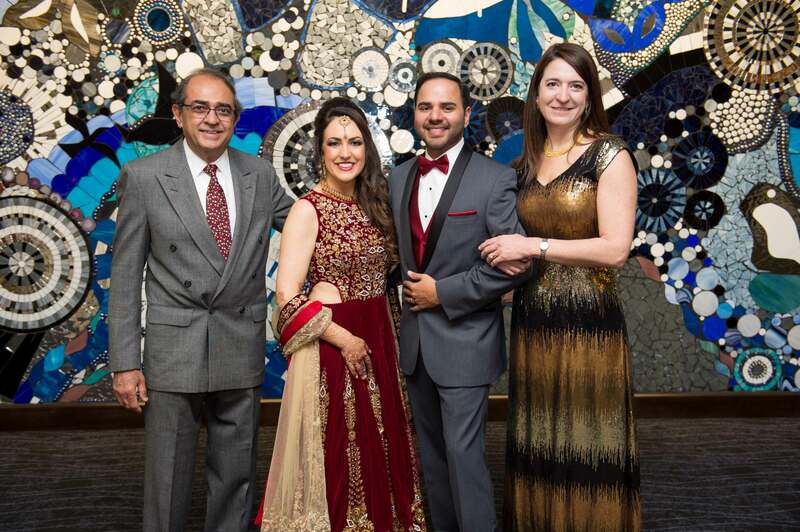 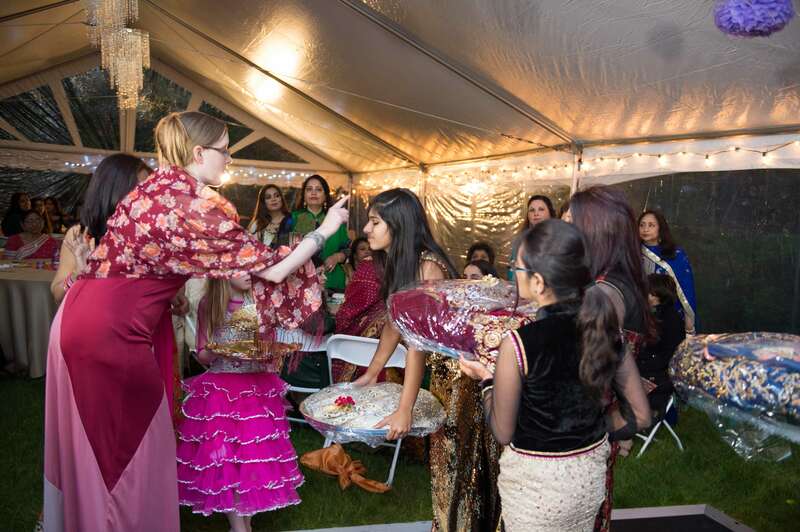 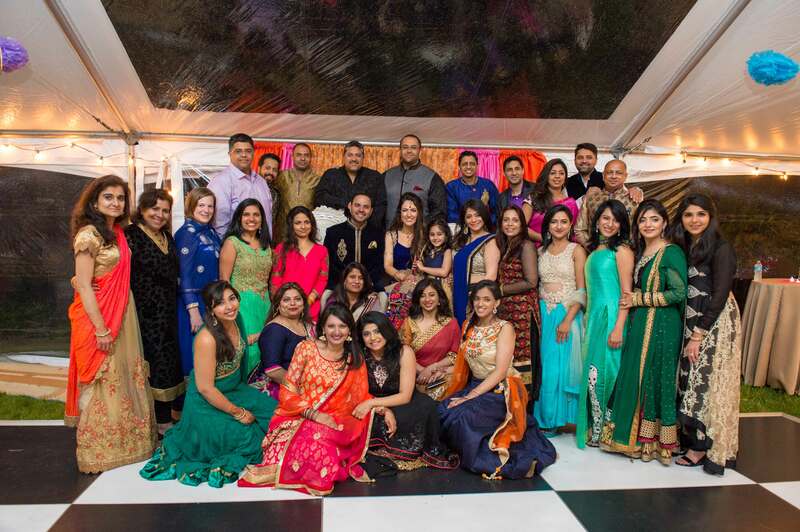 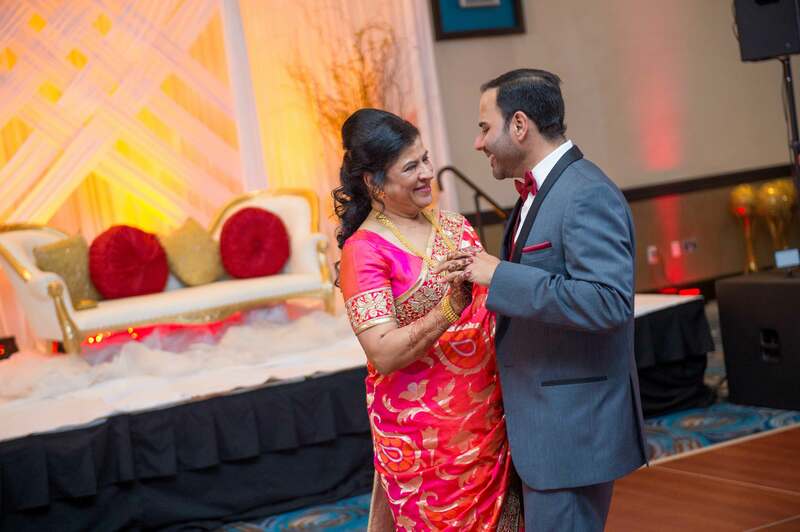 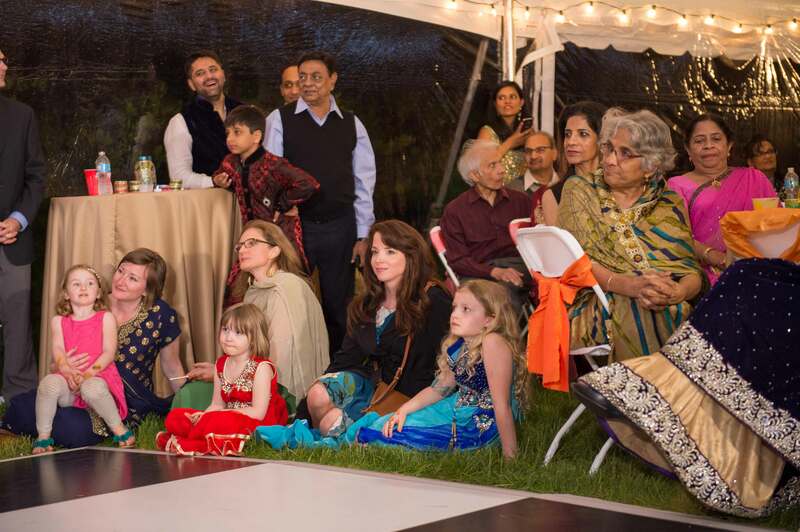 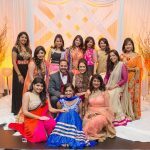 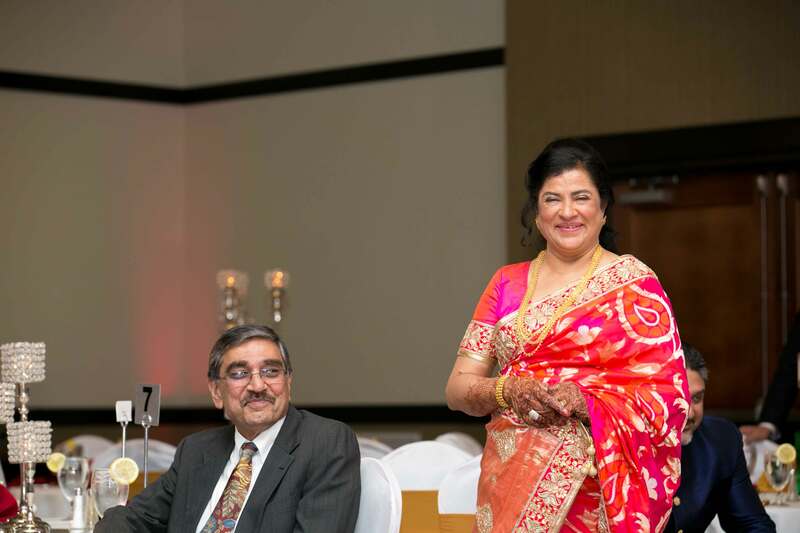 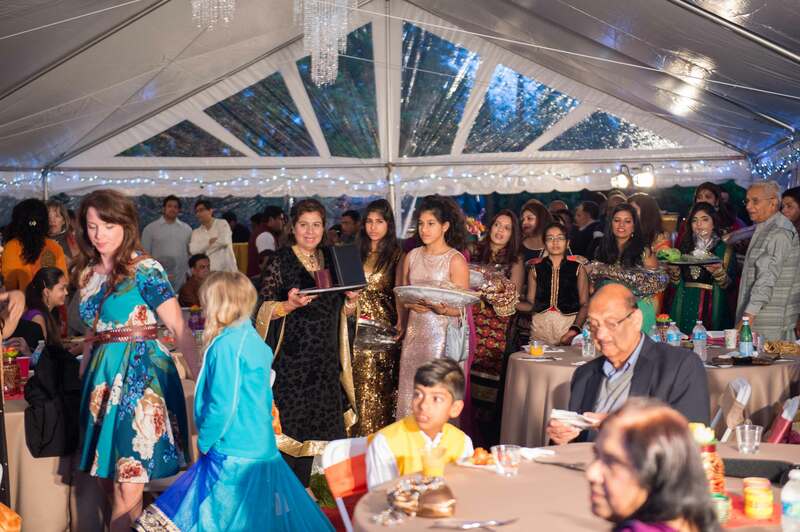 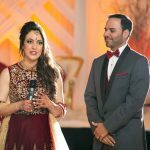 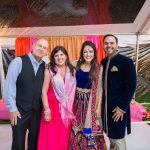 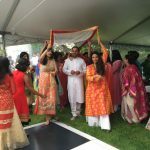 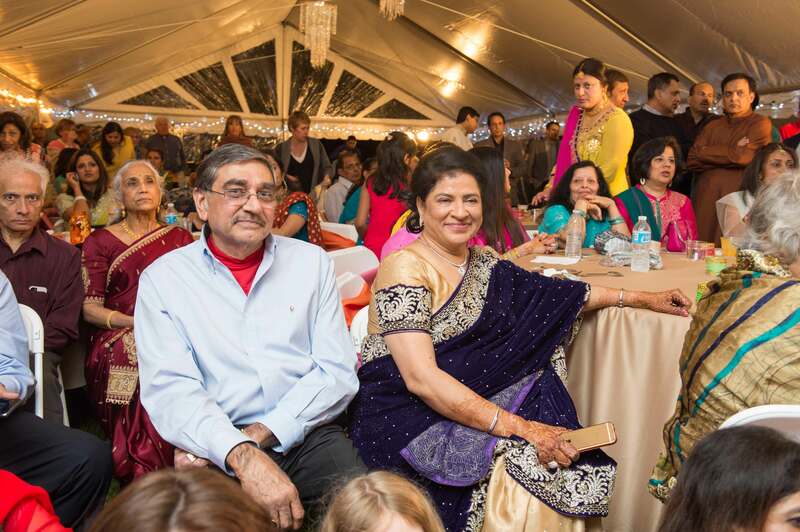 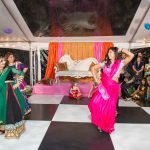 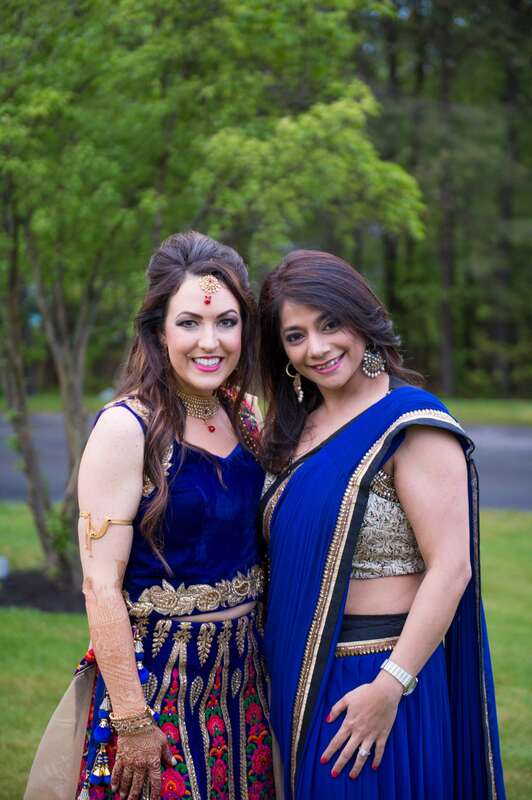 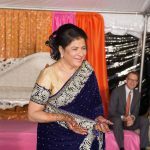 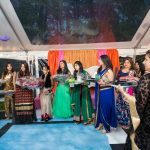 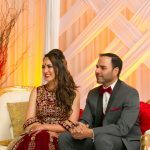 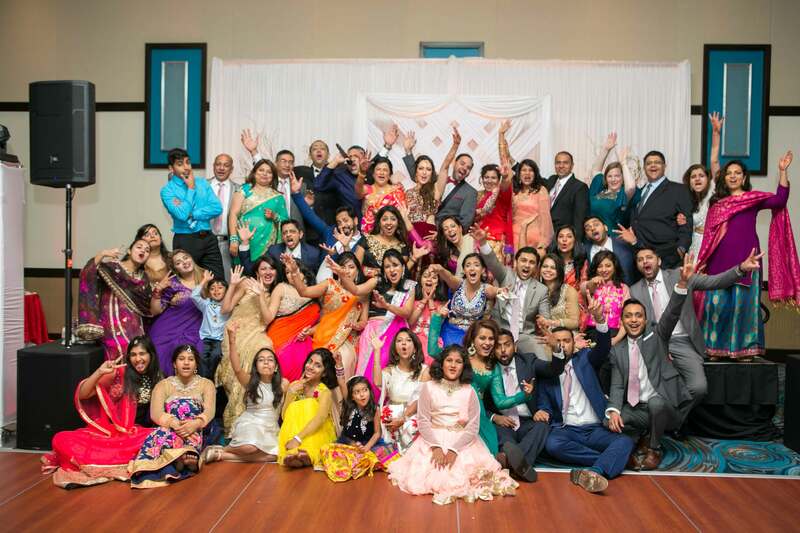 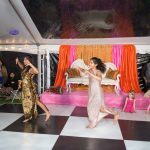 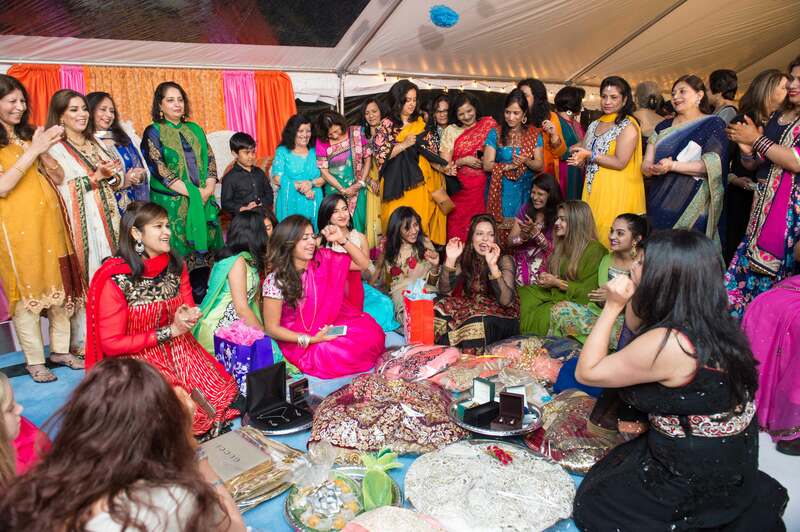 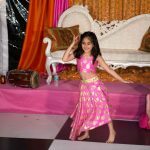 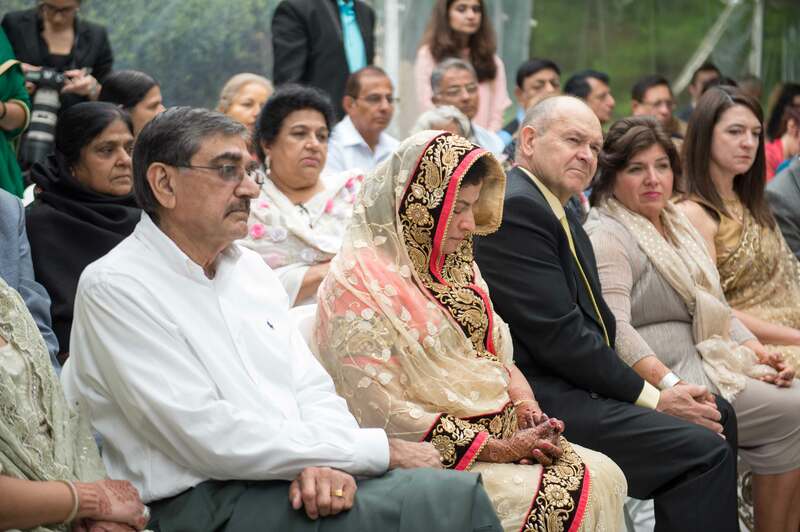 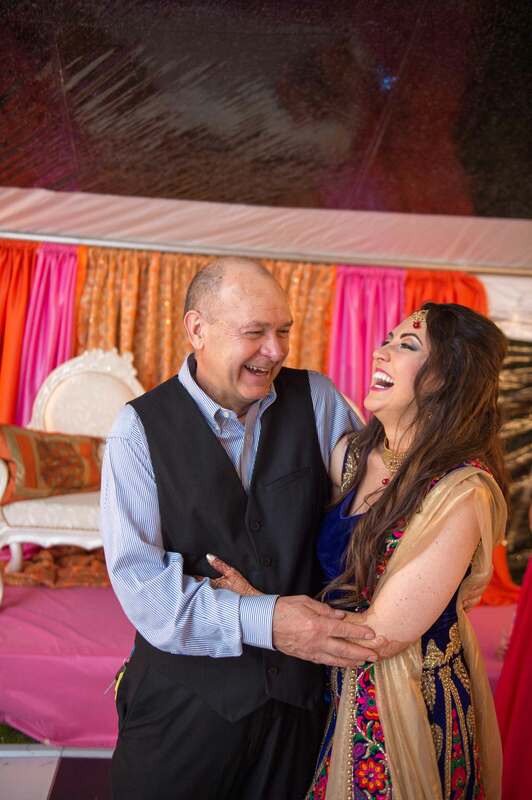 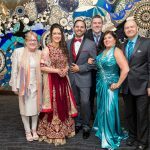 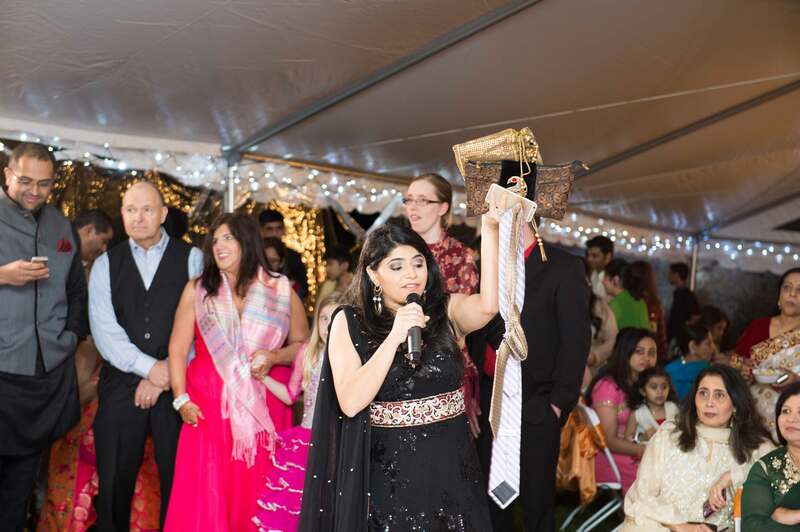 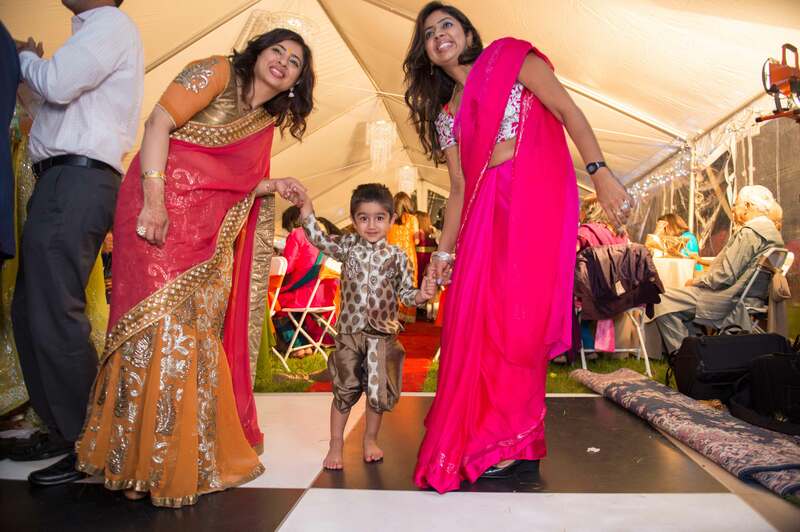 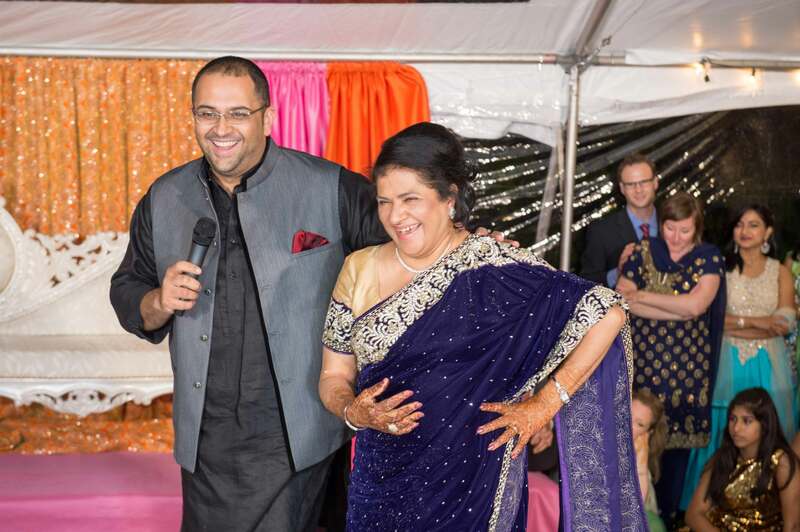 We hosted Sangeet in a big tent in our backyard on Saturday night May 21st. 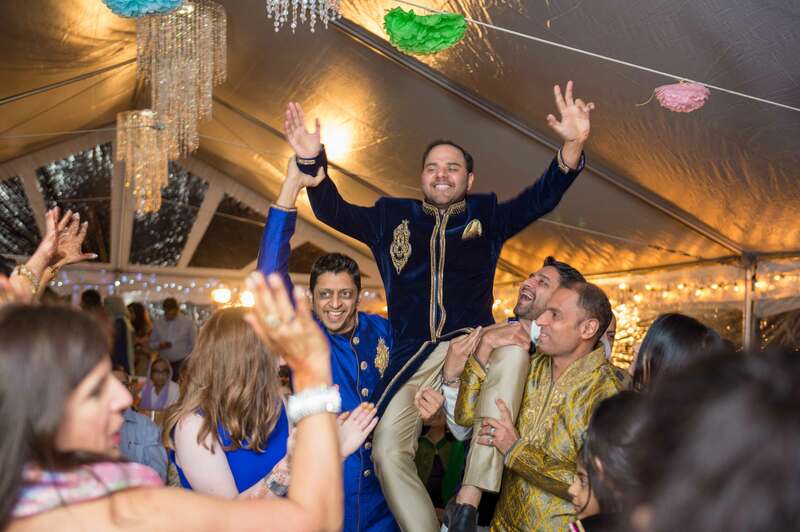 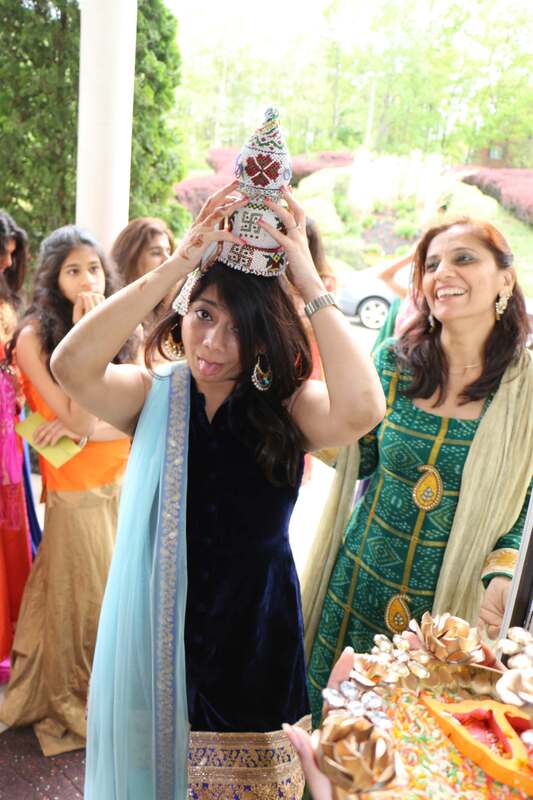 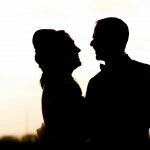 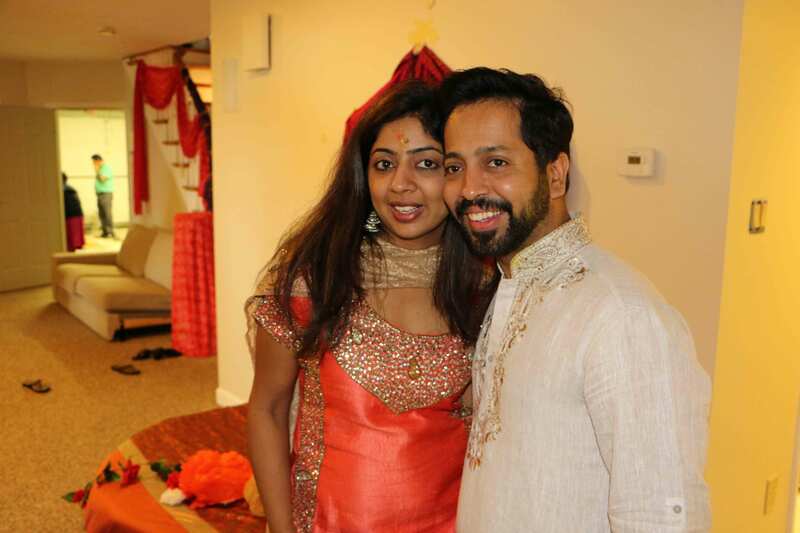 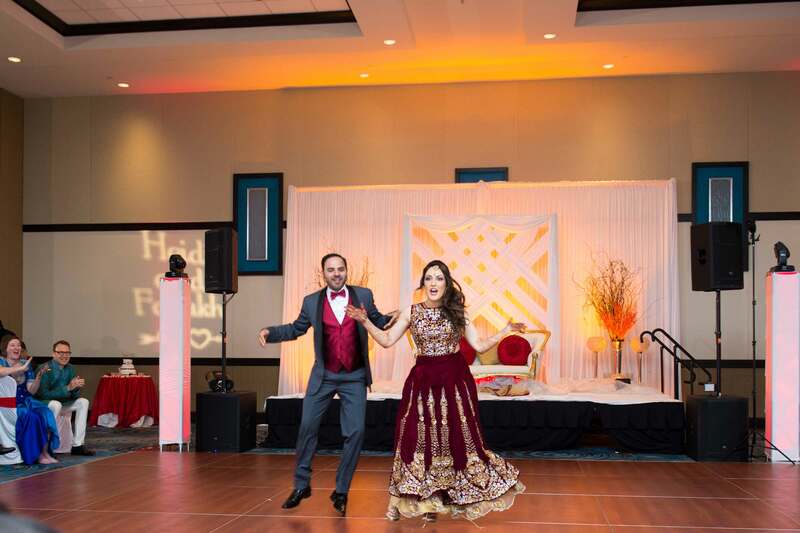 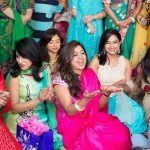 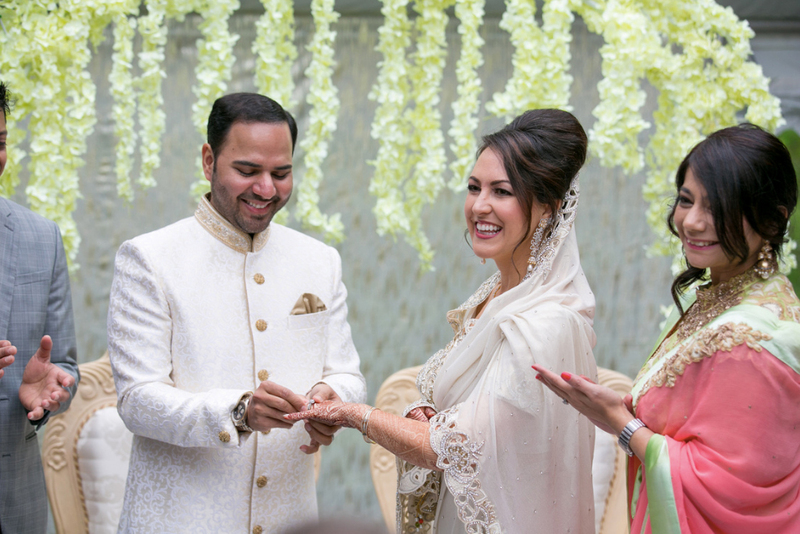 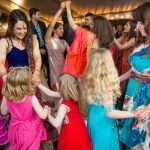 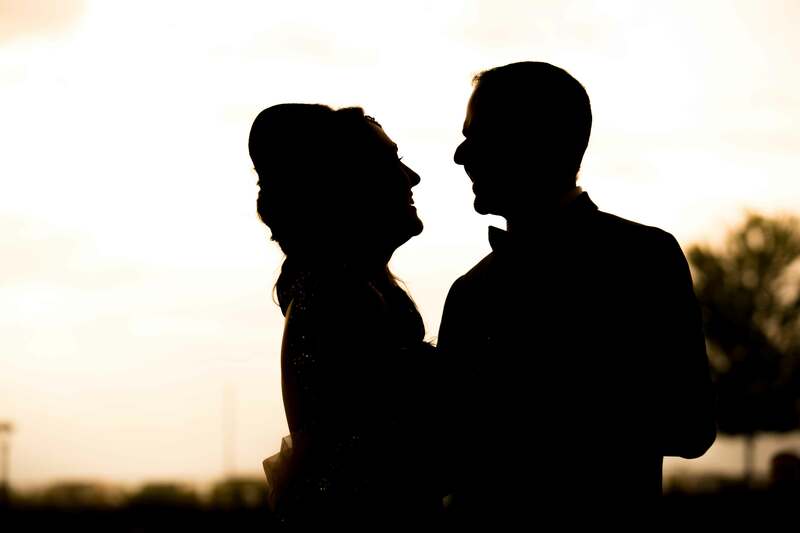 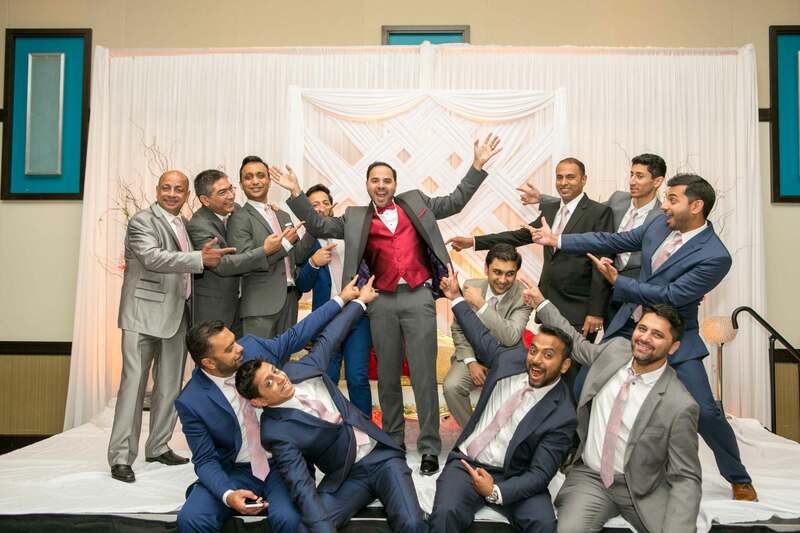 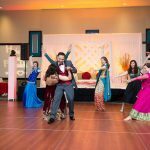 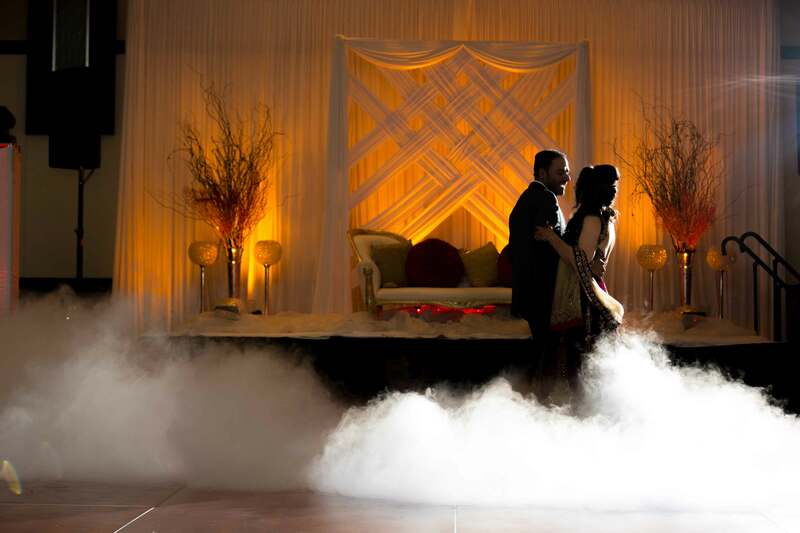 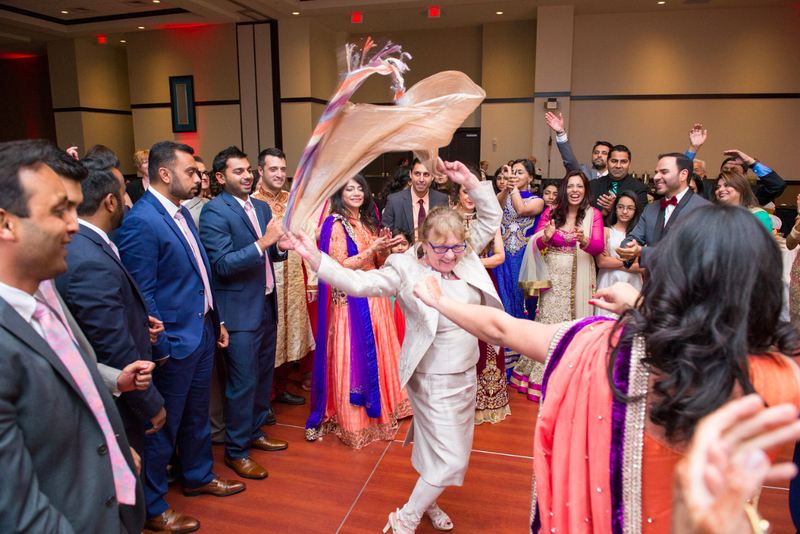 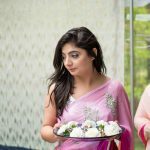 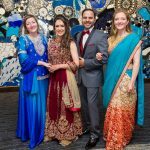 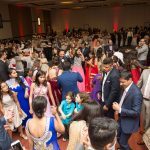 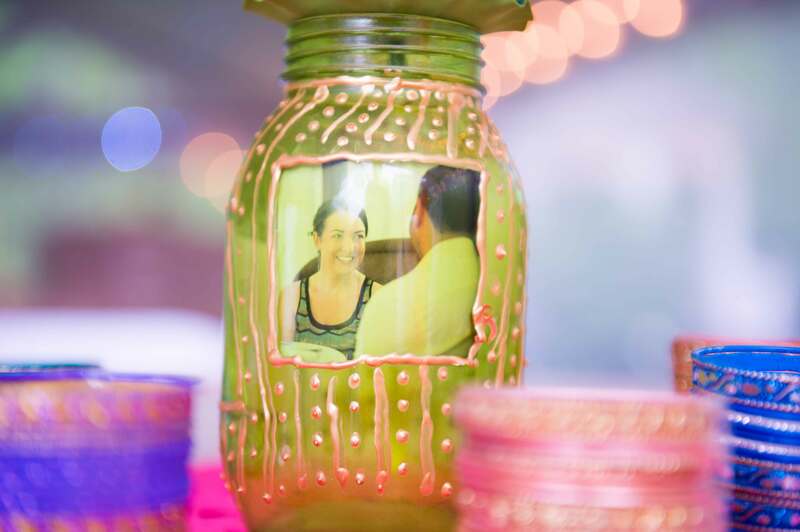 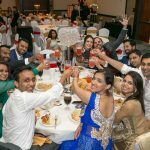 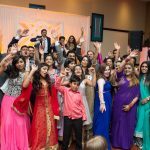 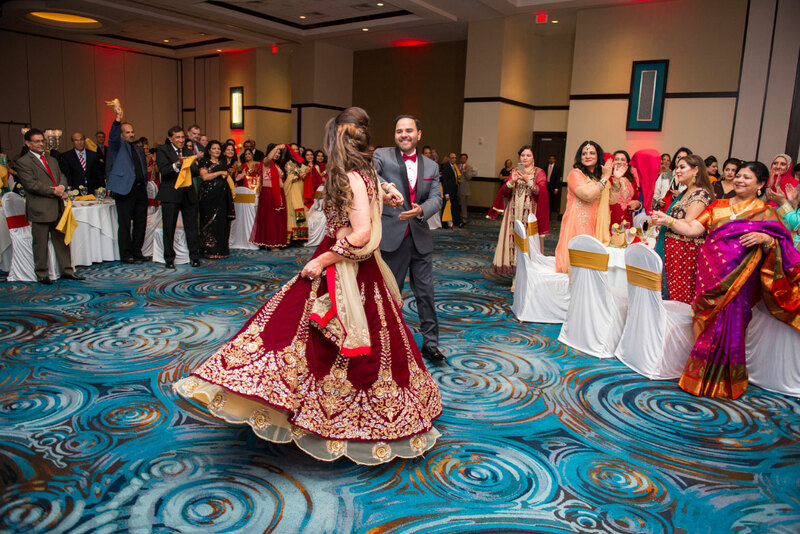 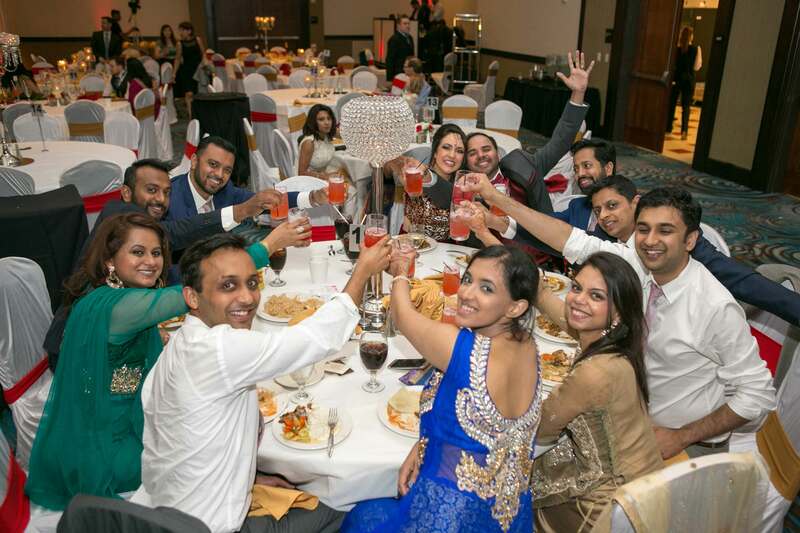 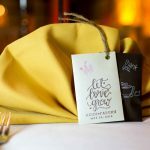 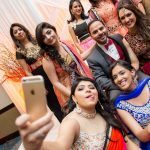 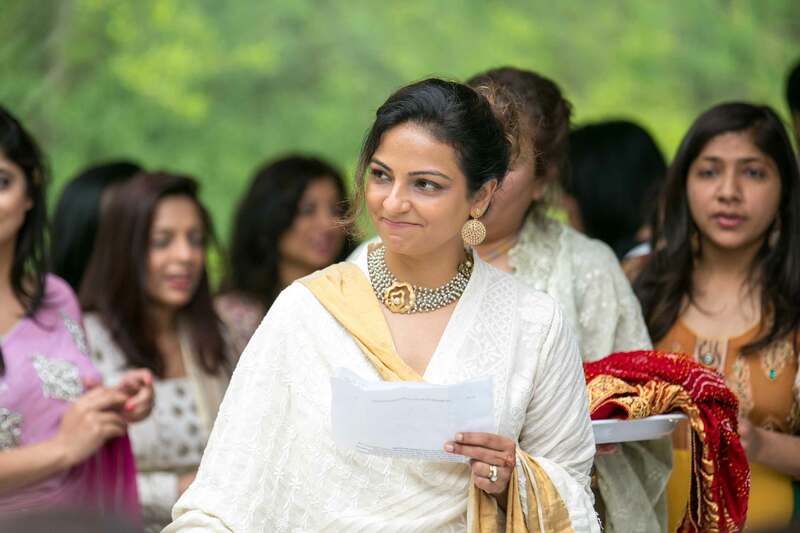 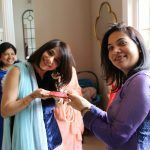 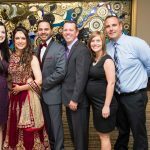 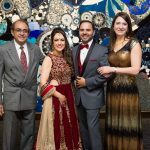 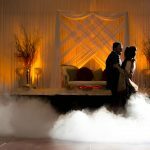 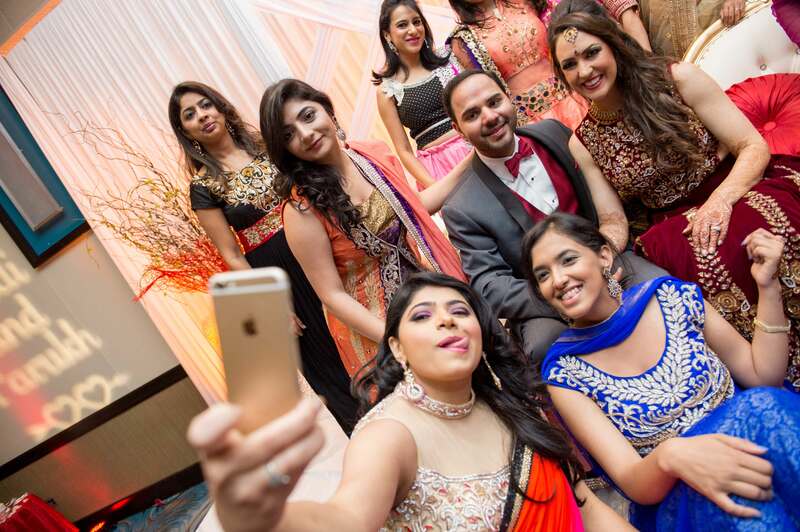 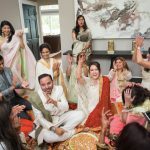 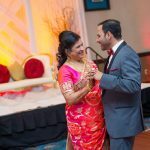 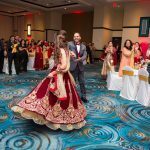 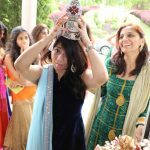 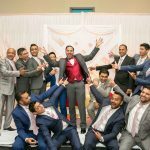 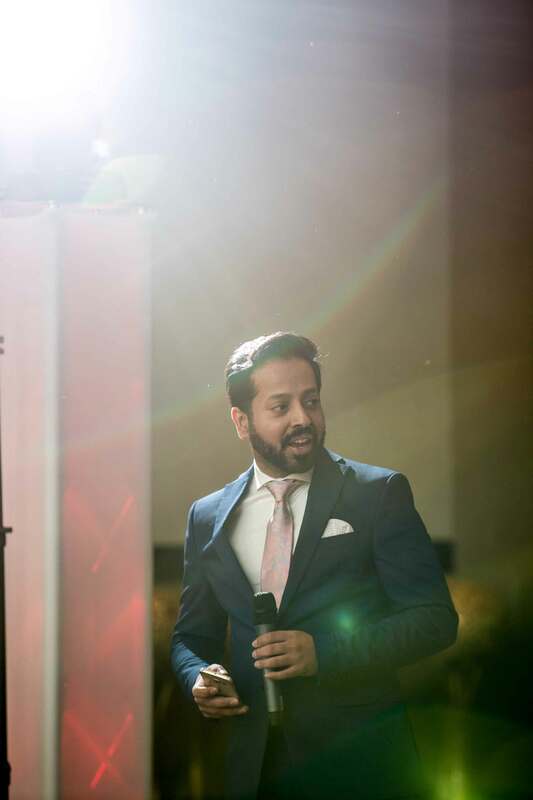 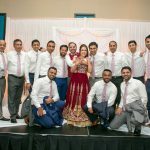 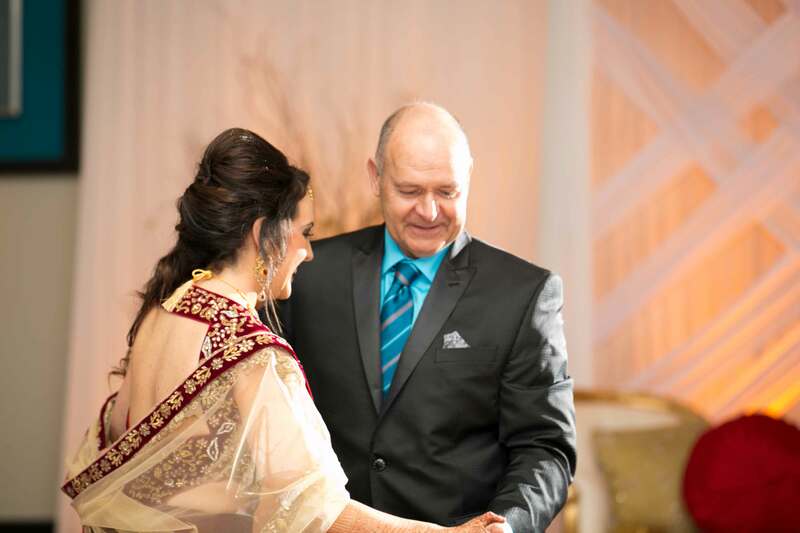 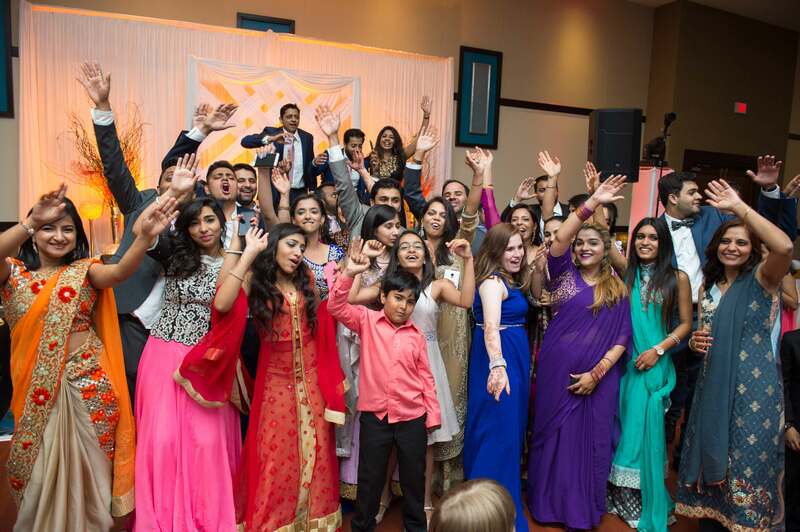 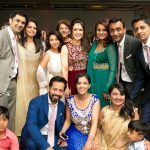 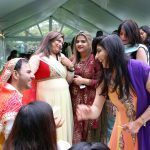 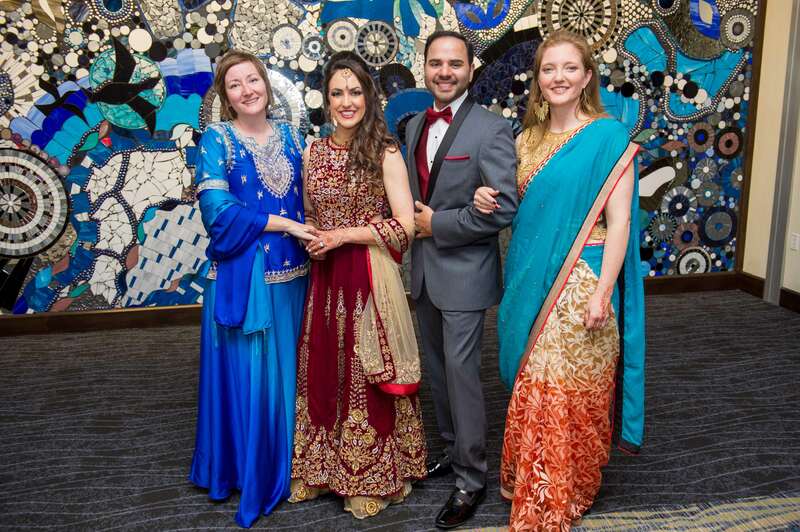 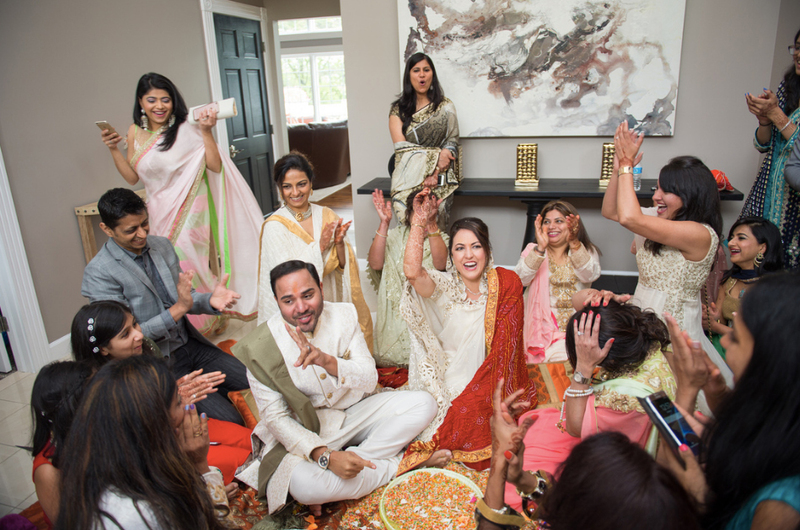 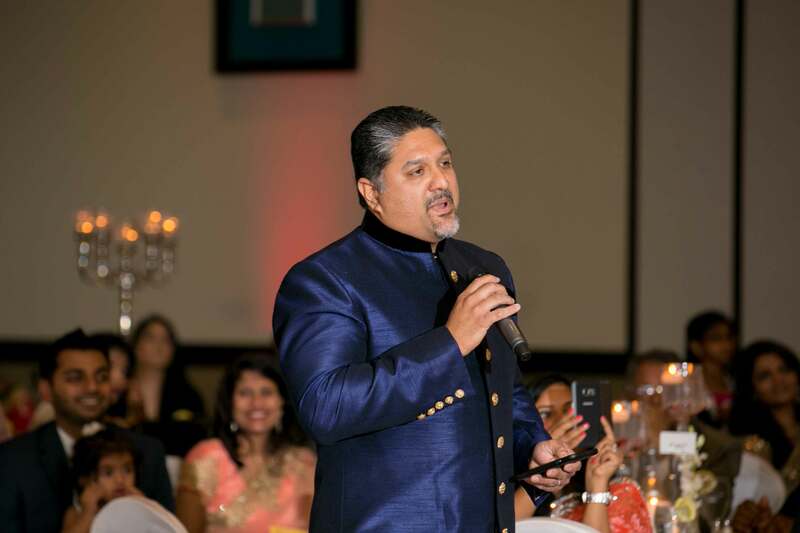 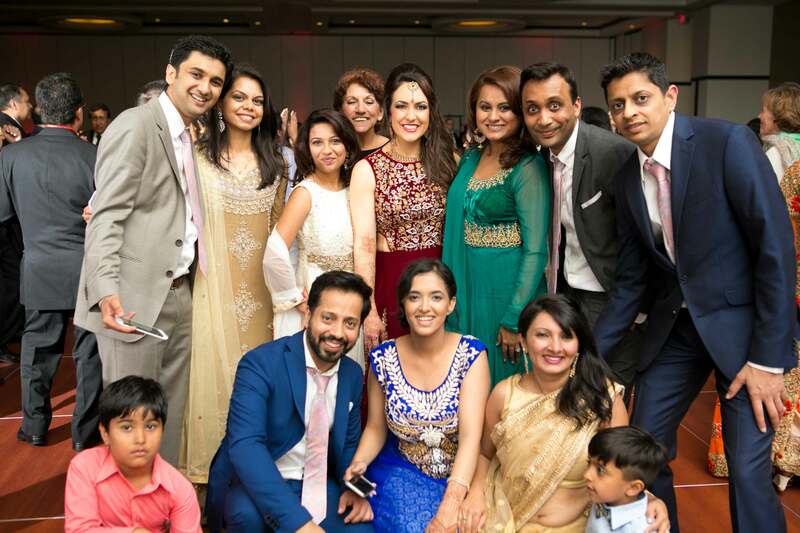 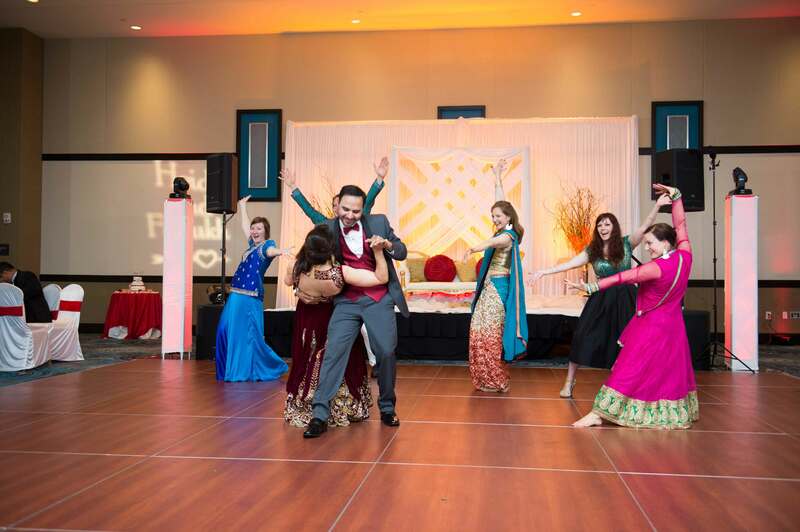 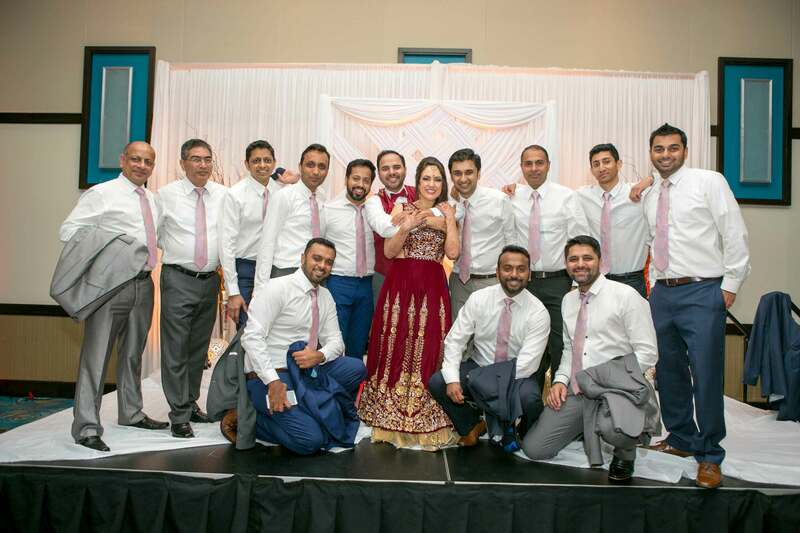 Sangeet is a special pre-wedding celebration. 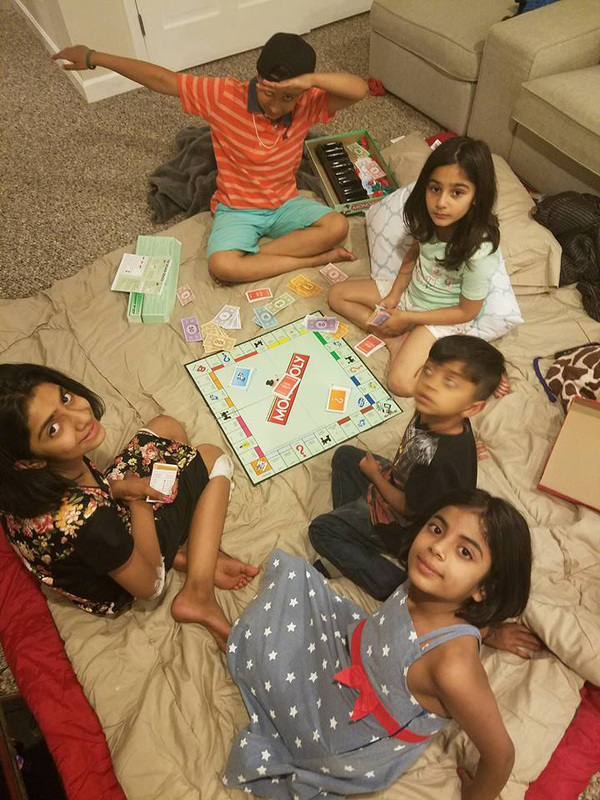 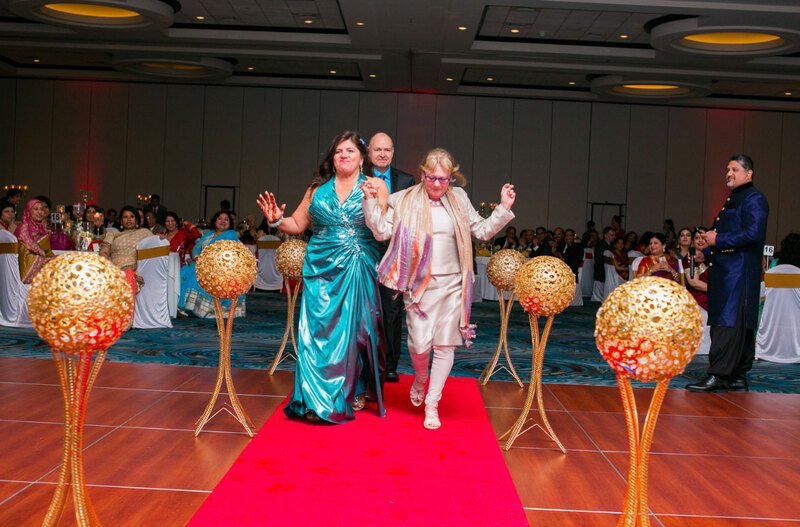 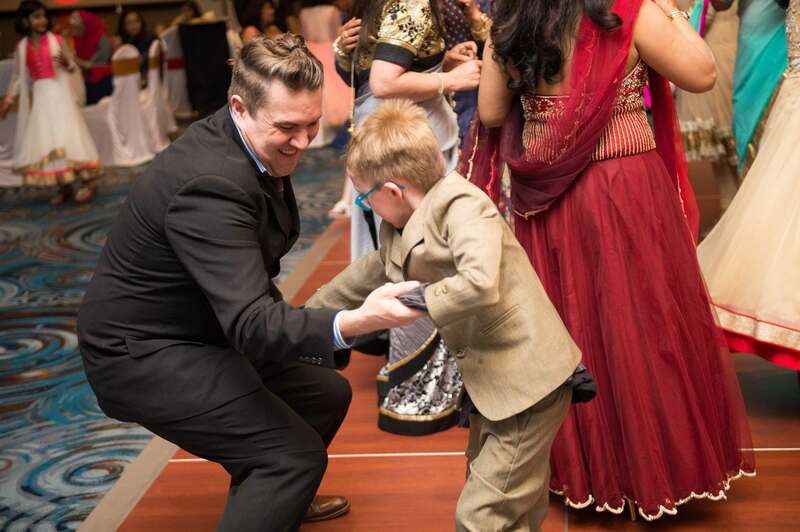 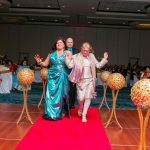 We had about 350 guests come celebrate with us – we ate, danced, sang, and played games late into the night. 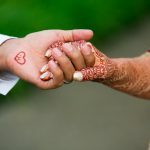 Our legal ceremony was a very small intimate ceremony performed by my loving stepmom, Dorothy (aka Mama D), in the hotel on Sunday morning May 22nd. 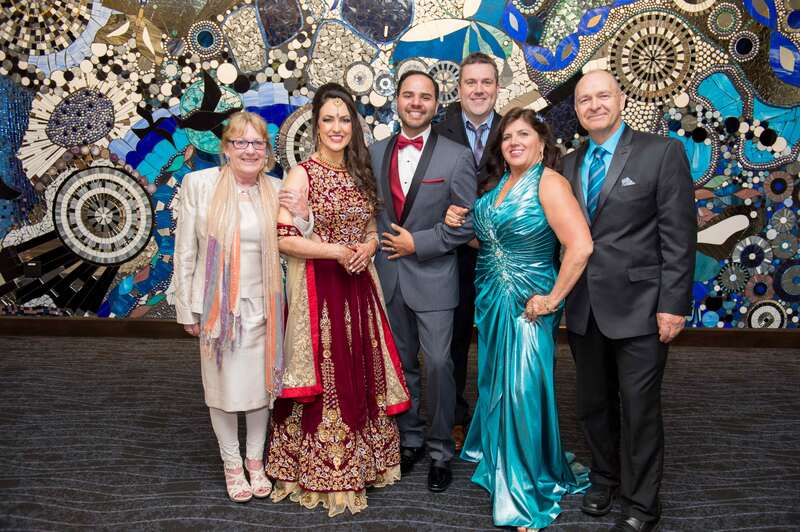 We hosted our big reception Sunday night May 22nd in a ballroom at Mohegan Sun’s Casino (located near our home). 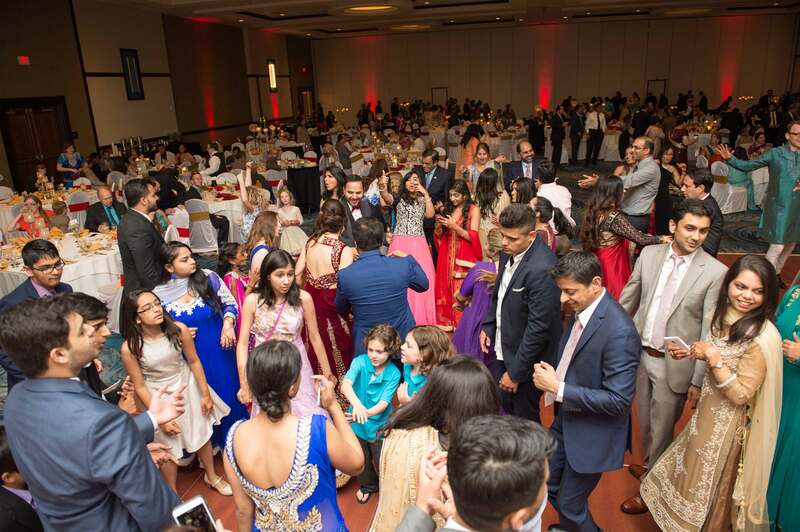 Approximately 425 people came to celebrate with us. 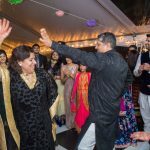 The D.J. 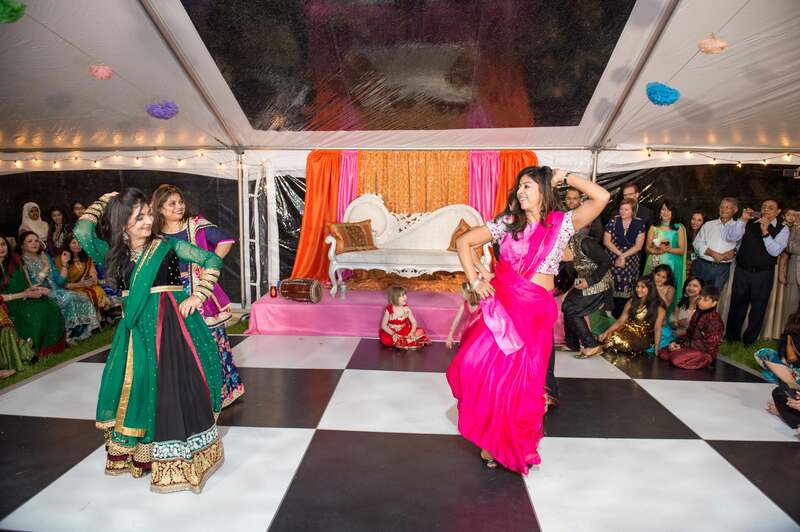 was on point and the dance floor was FULL until well after midnight. 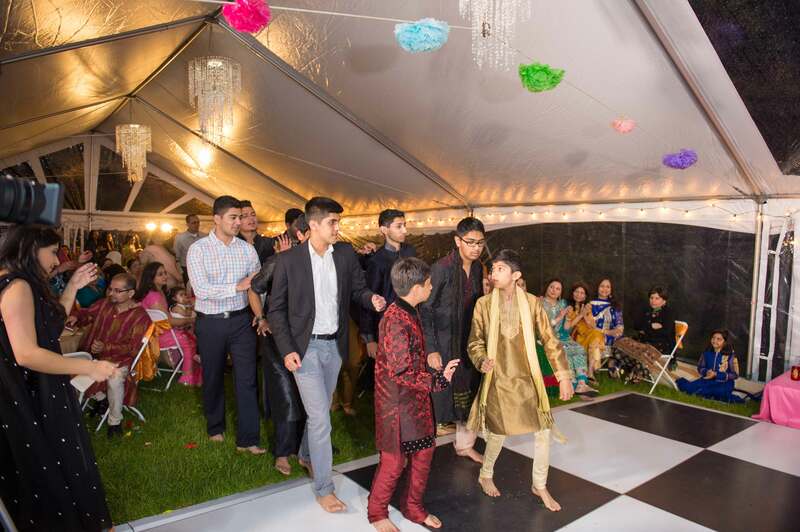 None of this would’ve been possible without this amazing crew, mostly made up of Farukh’s cousins. 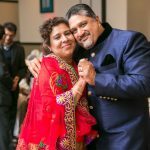 Every time I think about everything they did for us, my heart swells with gratitude. 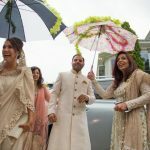 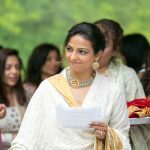 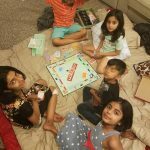 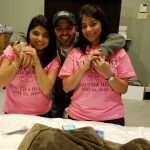 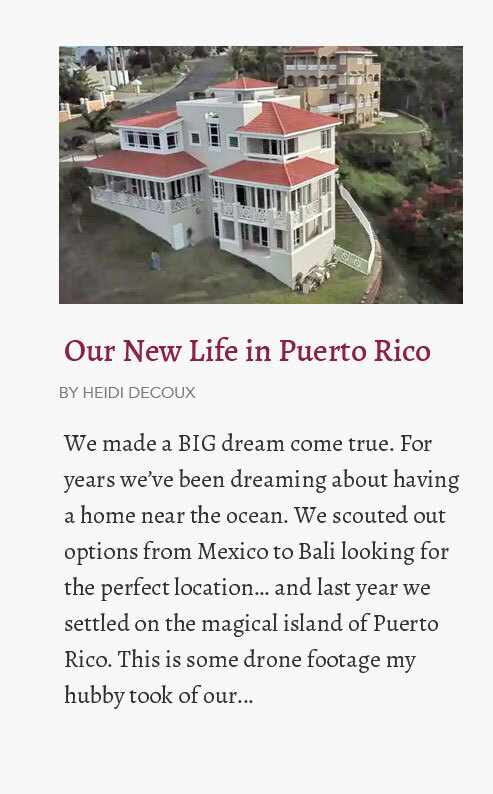 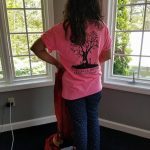 Many of them used up all of their vacation days at their jobs to come 1-2 weeks before the wedding festivities began in order to slave away on wedding prep. 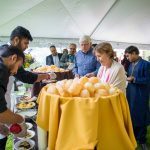 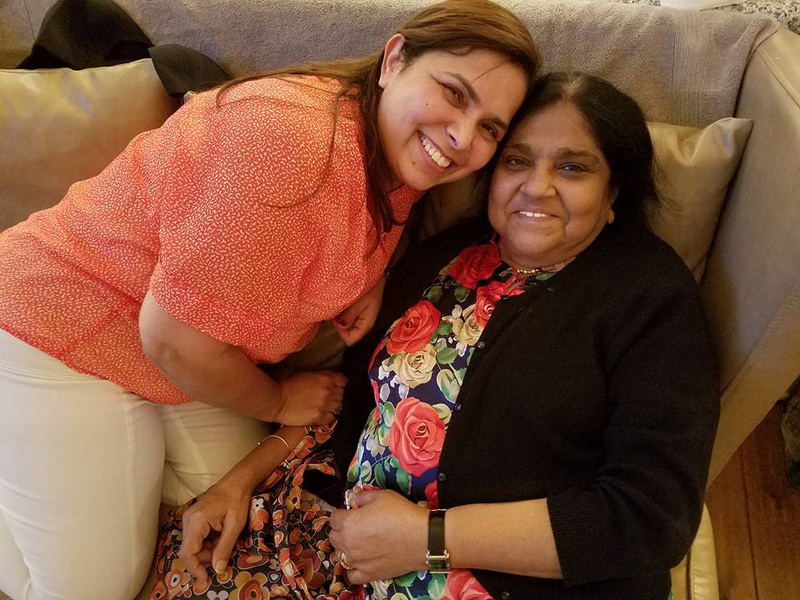 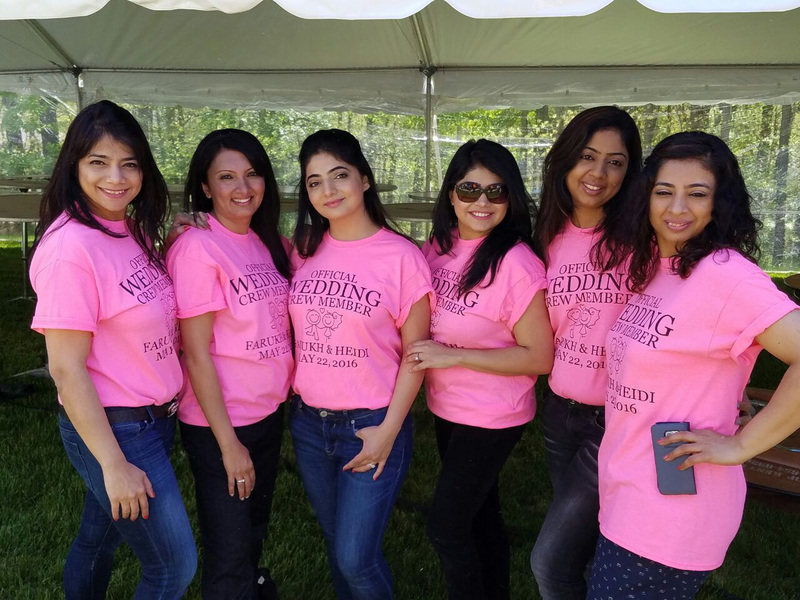 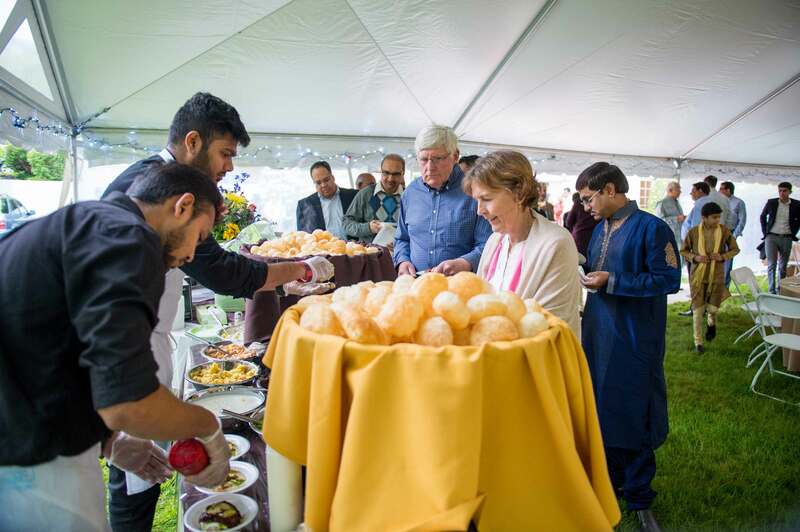 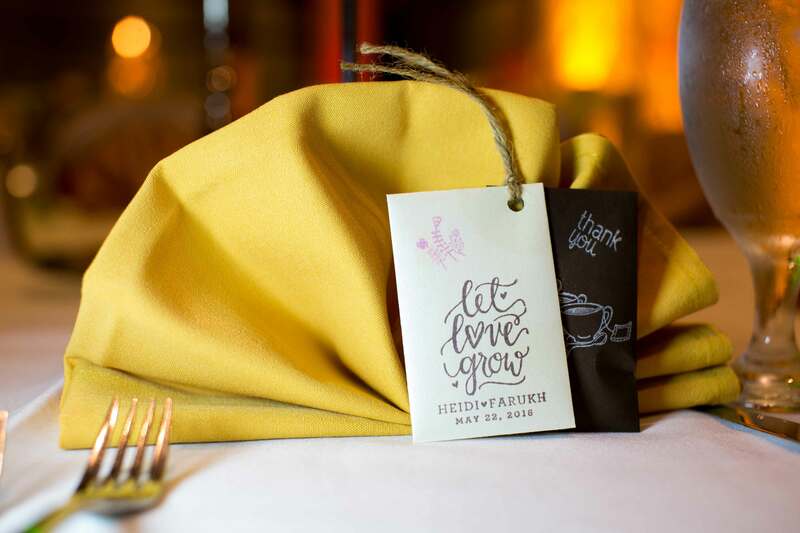 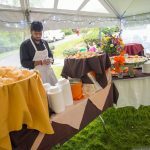 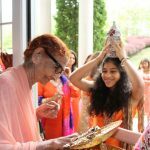 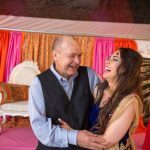 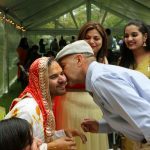 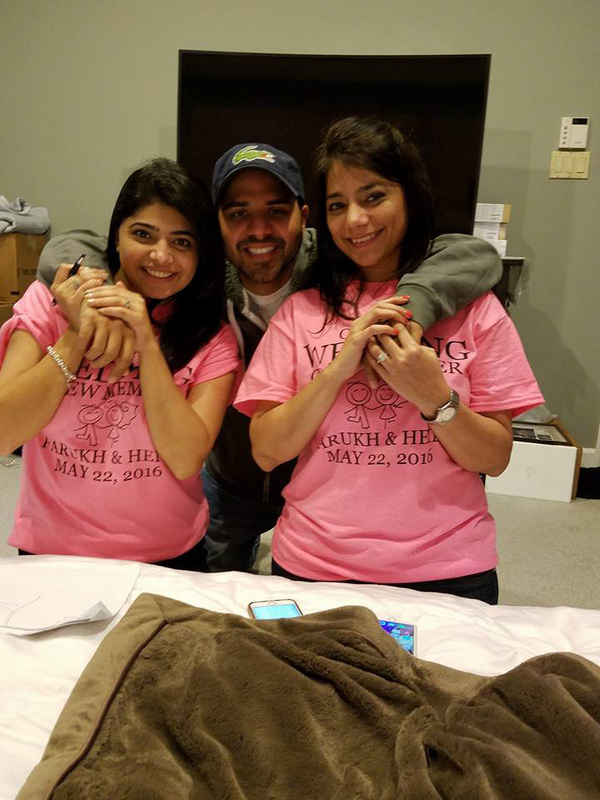 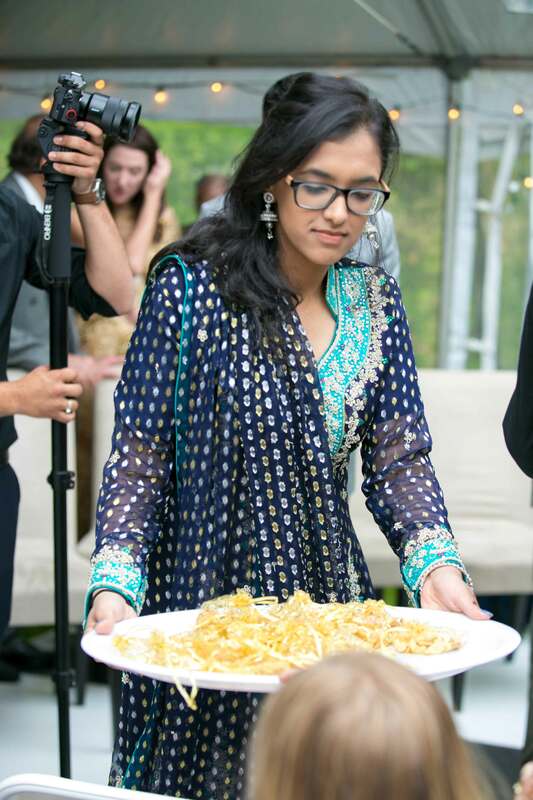 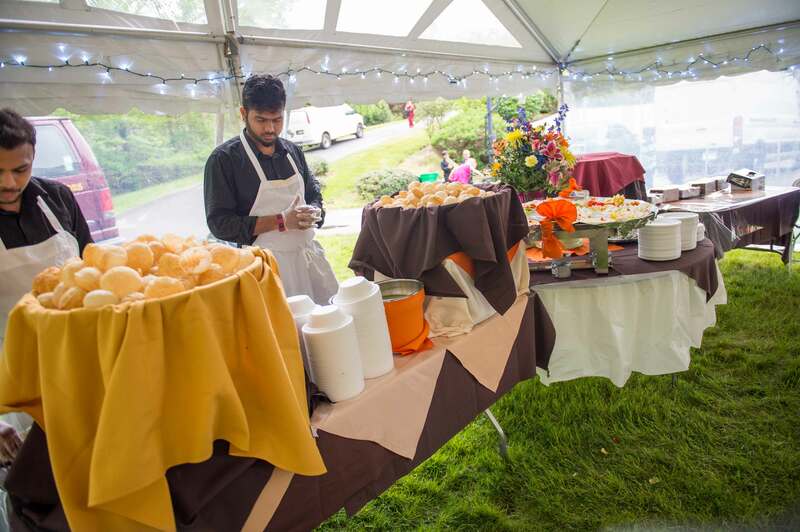 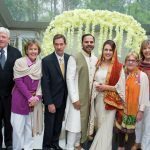 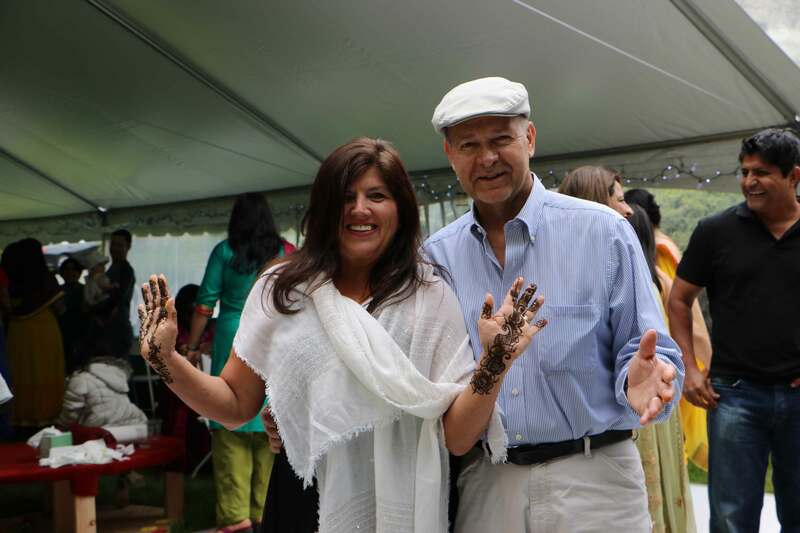 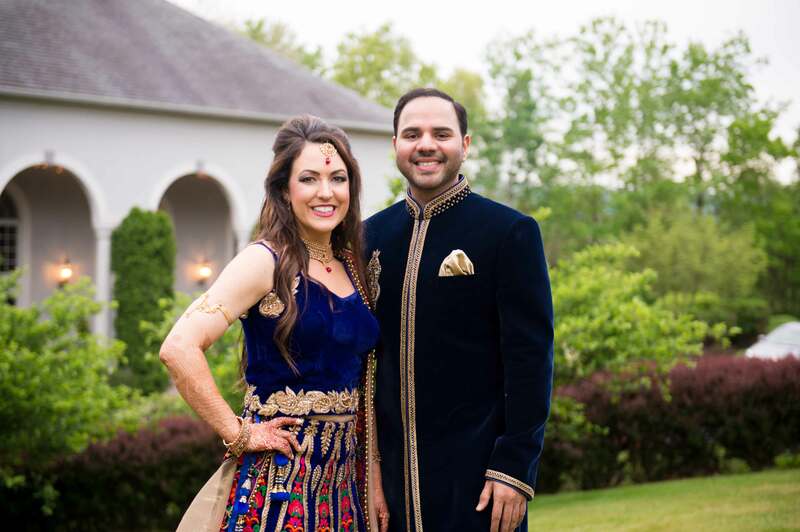 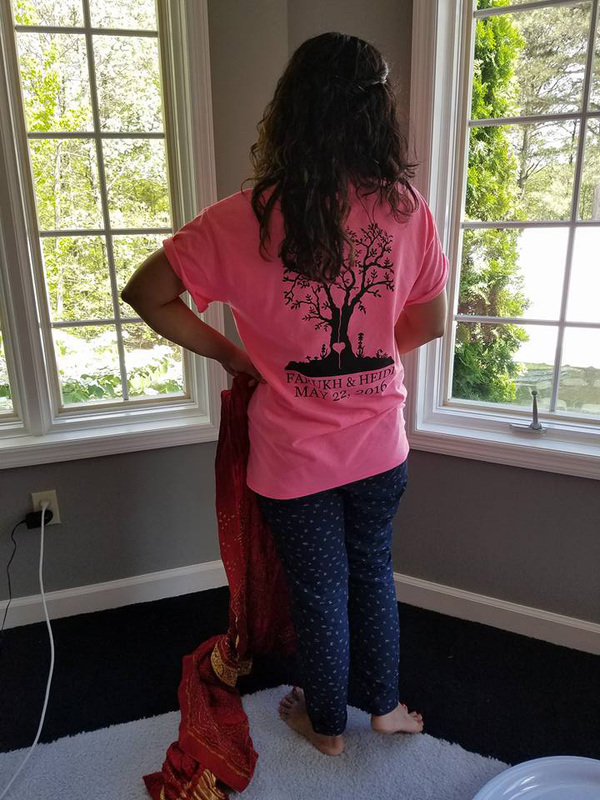 AND, on top of ALL of the wedding prep they helped prepare and serve food to 50+ people every meal of every day at our home – we had a large crew of people working, family helping, and over 150 people fly in from India, Dubai, and Canada several days before festivities began. 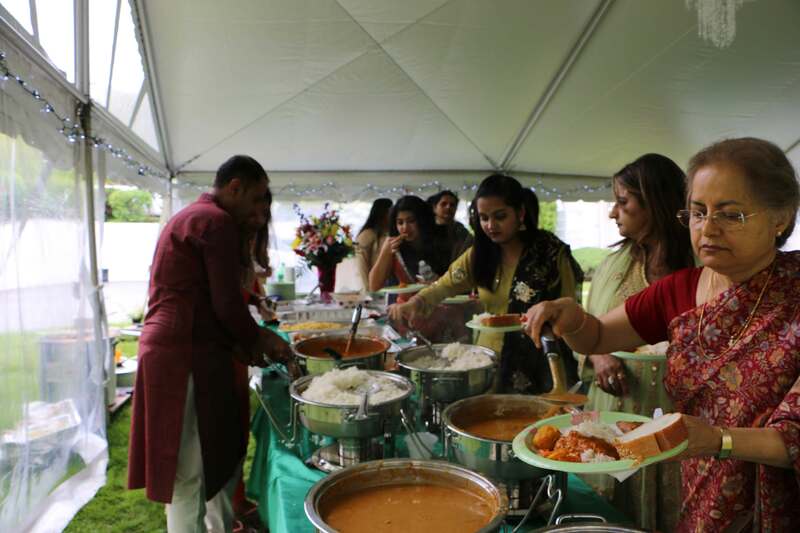 Plus in between each of the wedding events, they served meals to over 100+ people. 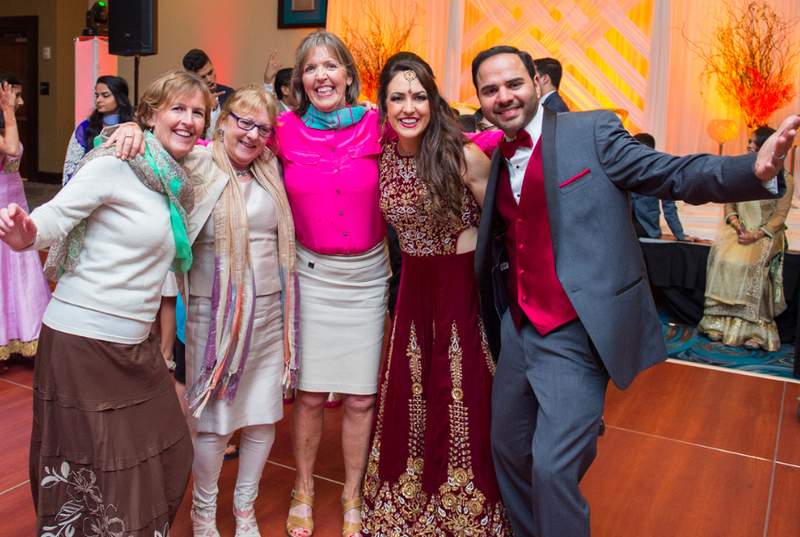 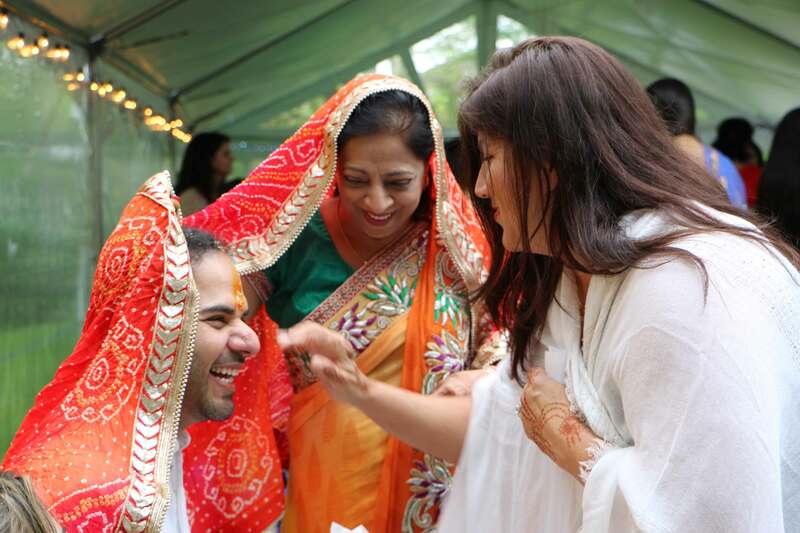 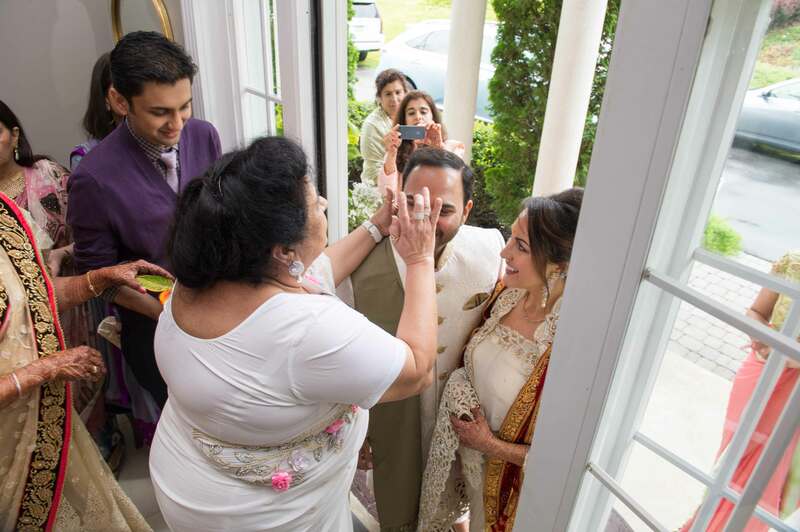 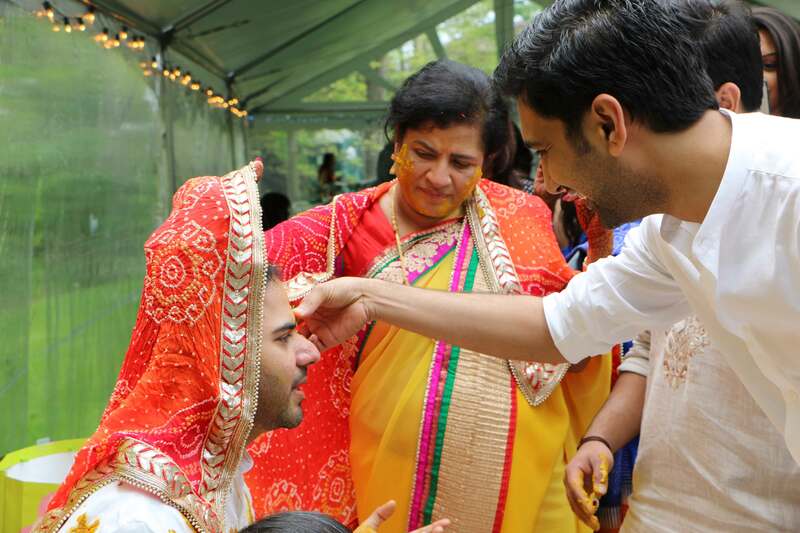 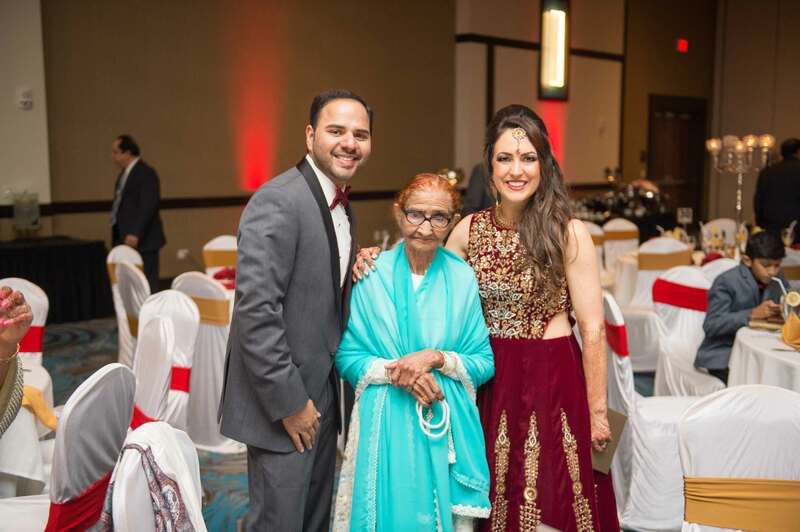 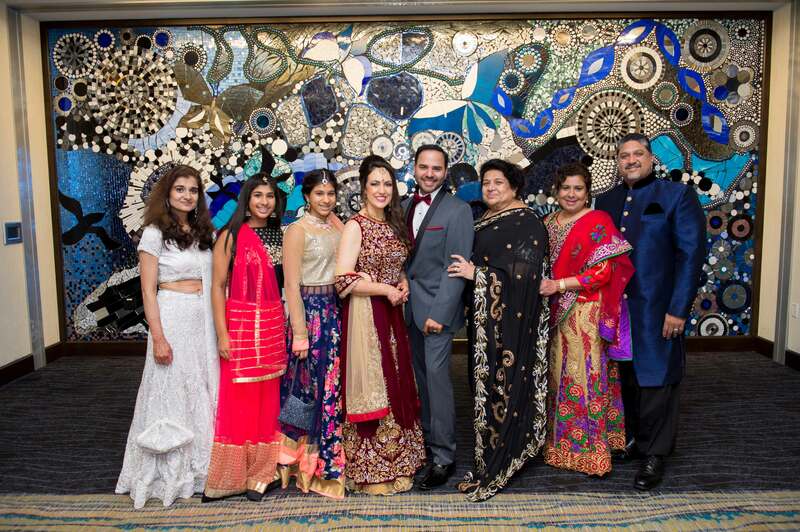 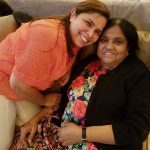 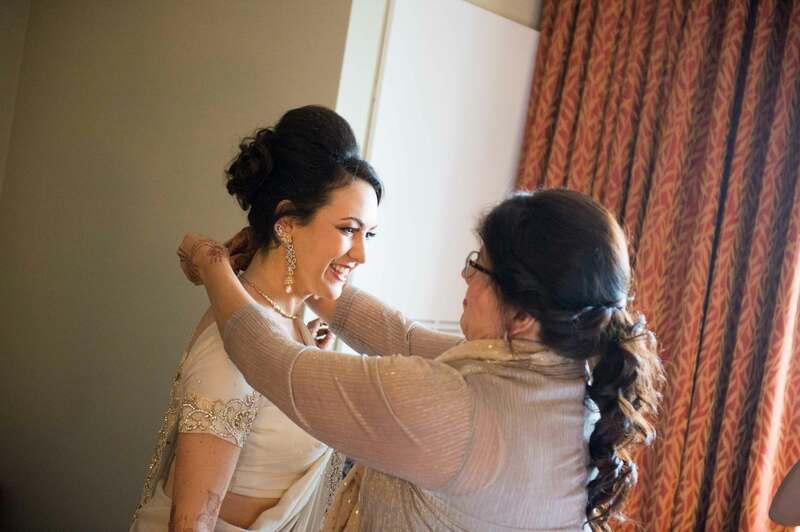 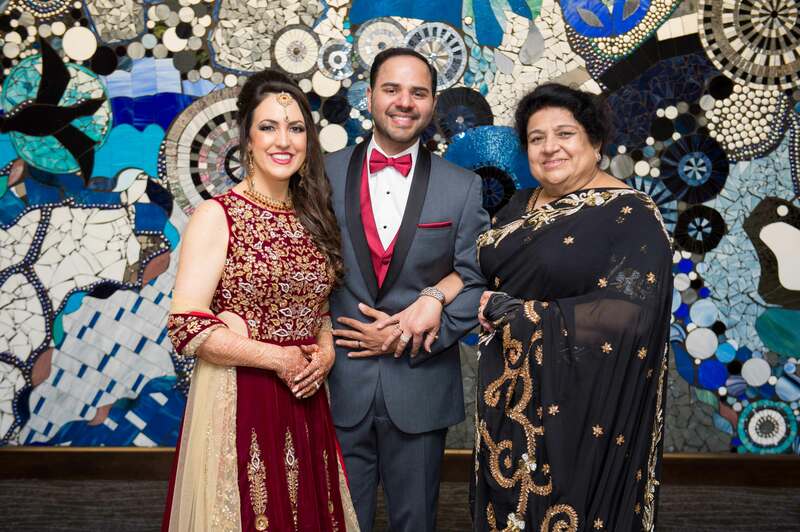 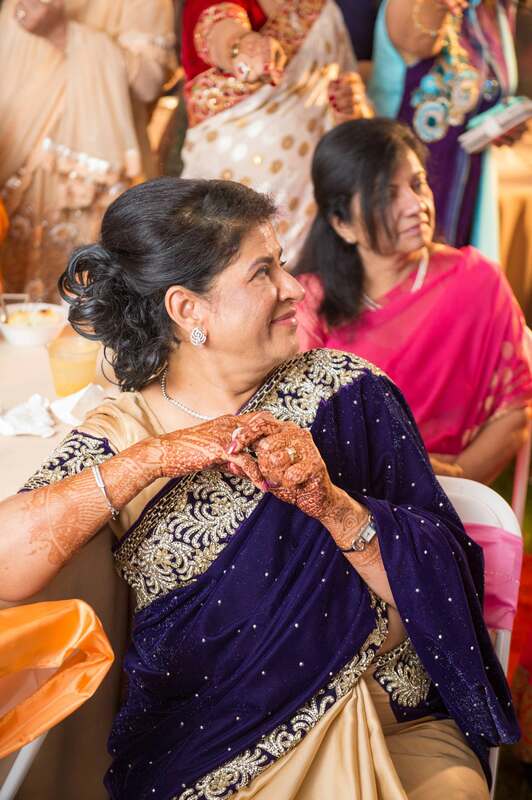 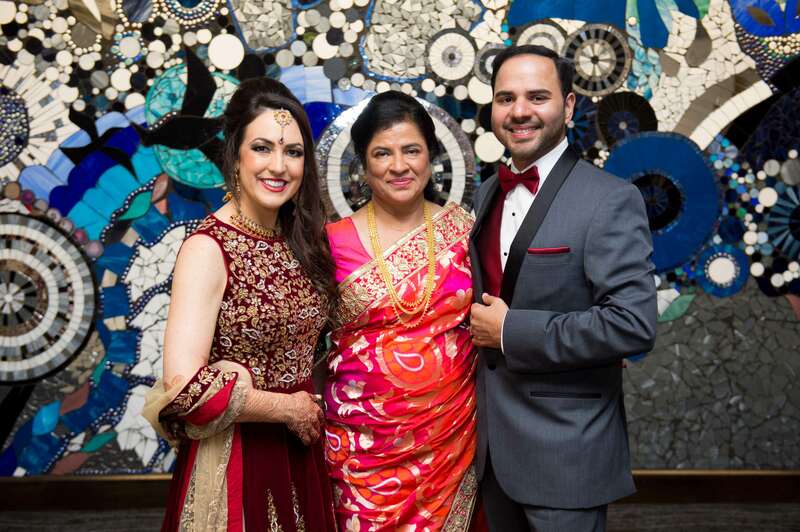 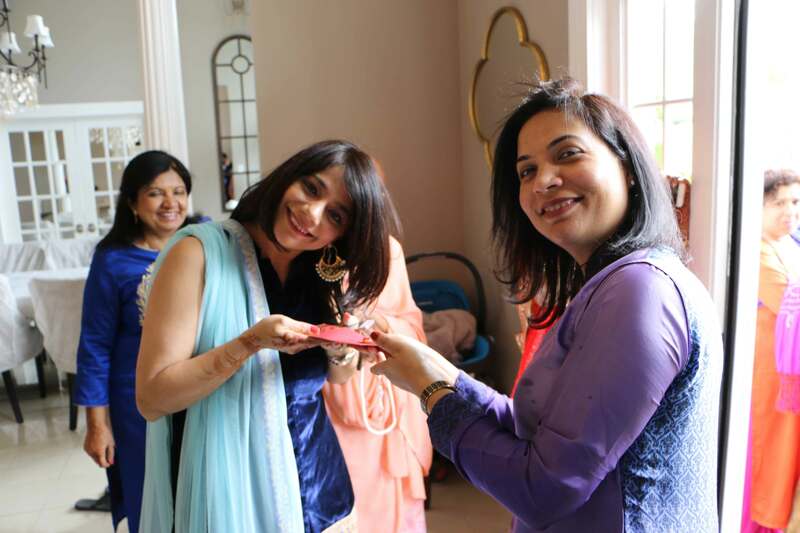 Our wedding was a FULL ON experience that wouldn’t have possible without these smart, savvy, hardworking, generous, supportive women, including my mother-in-law, my Mummyji. 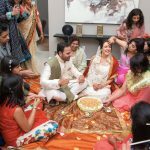 During the 6 months we we’re planning this big fat Indian wedding, we were also doing a major renovation on our new home. 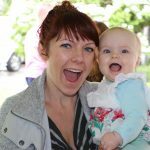 If you’re interested, you can check out the before and after pics of our big home renovation project here.